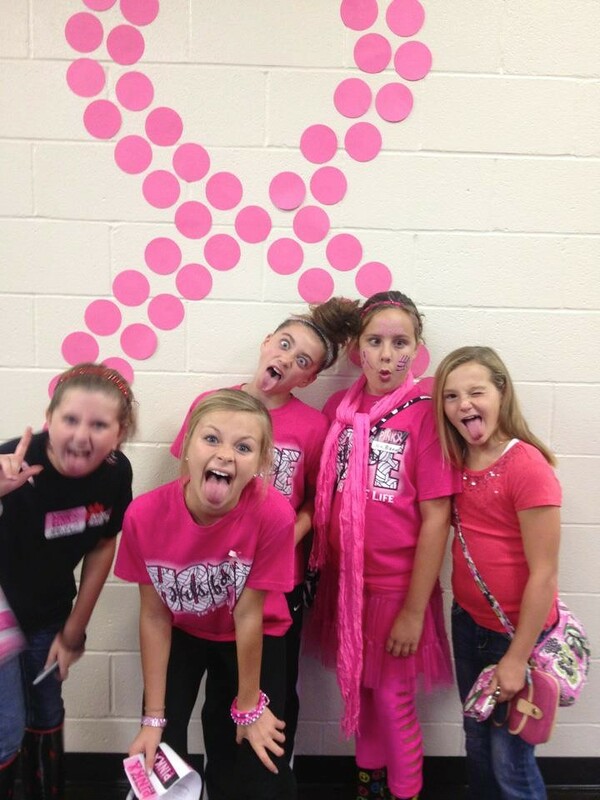 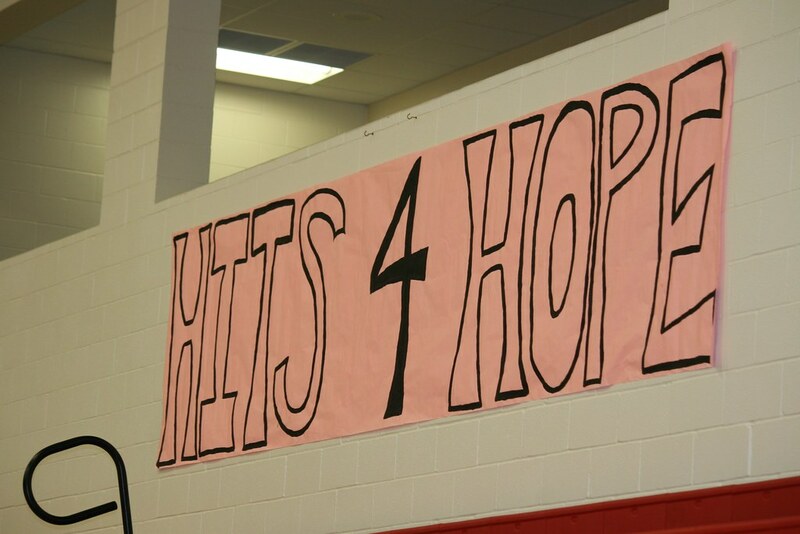 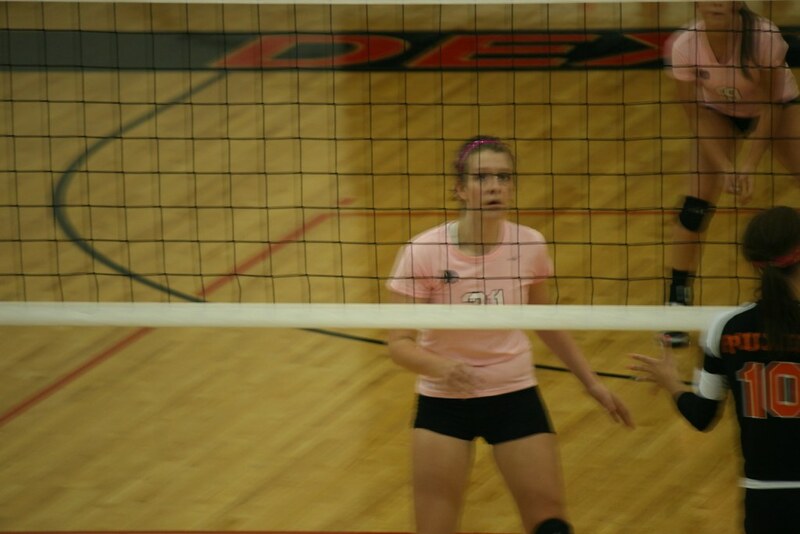 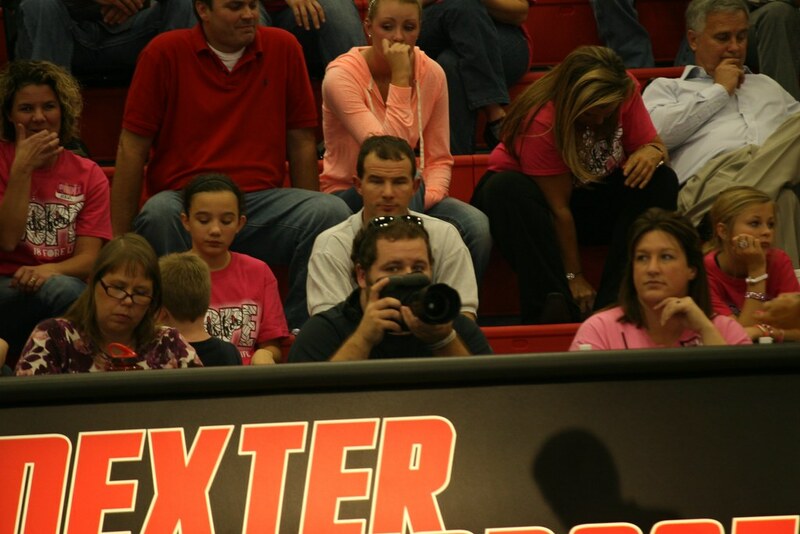 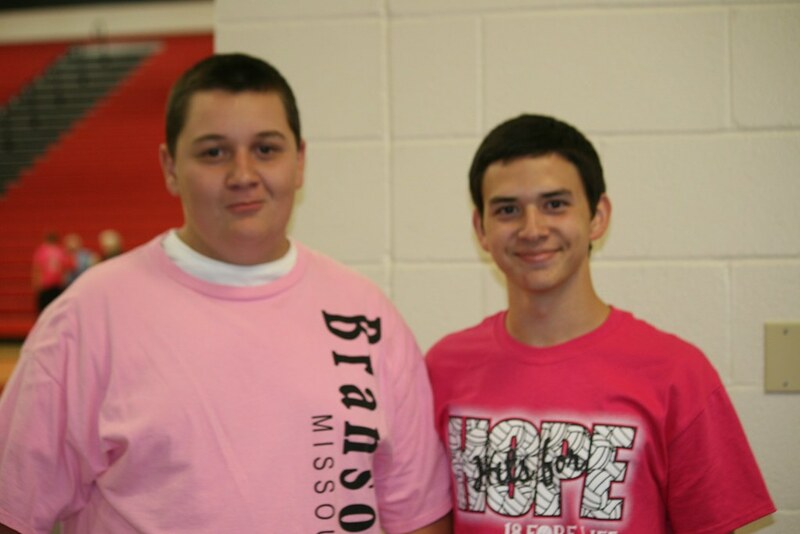 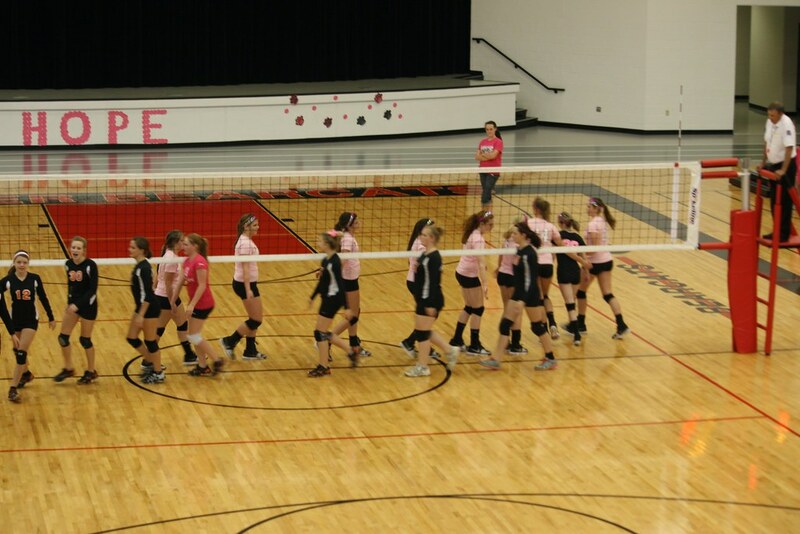 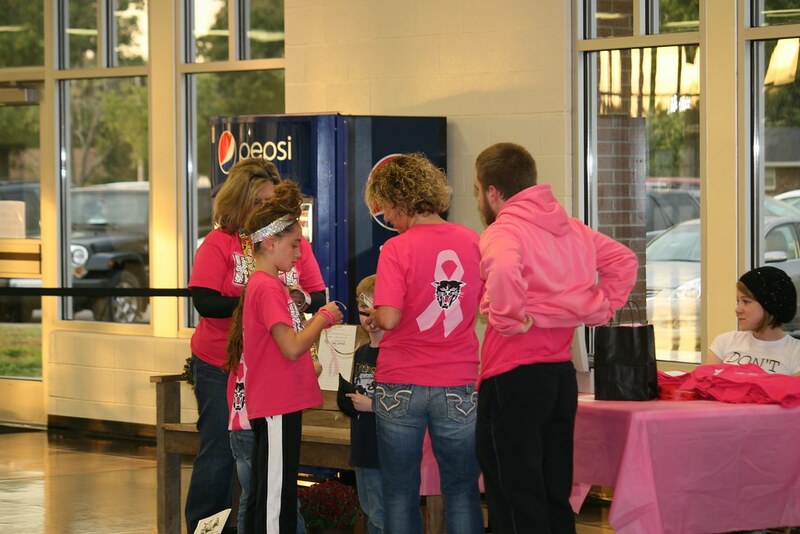 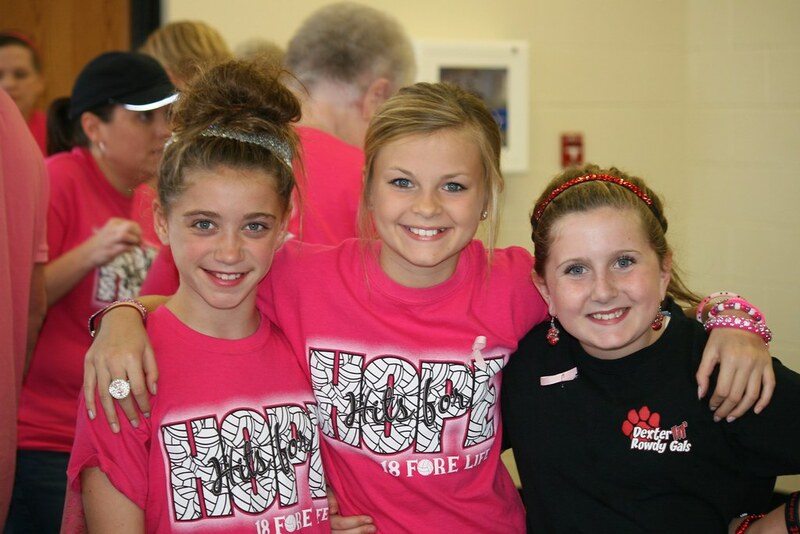 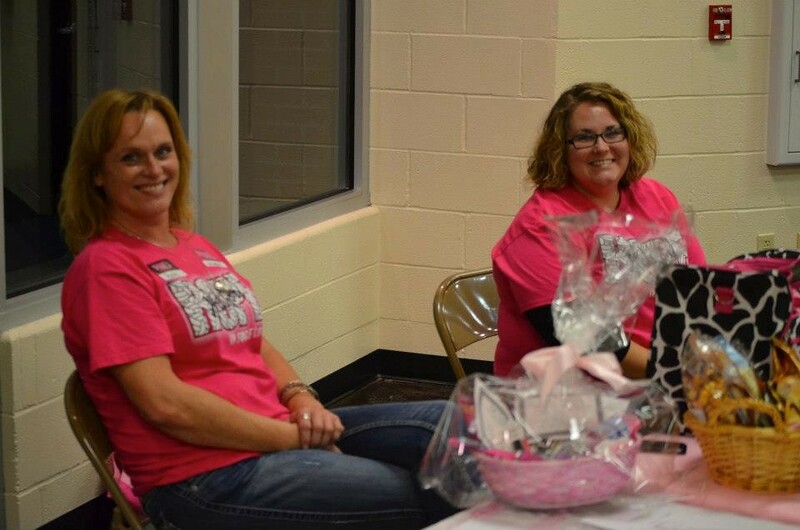 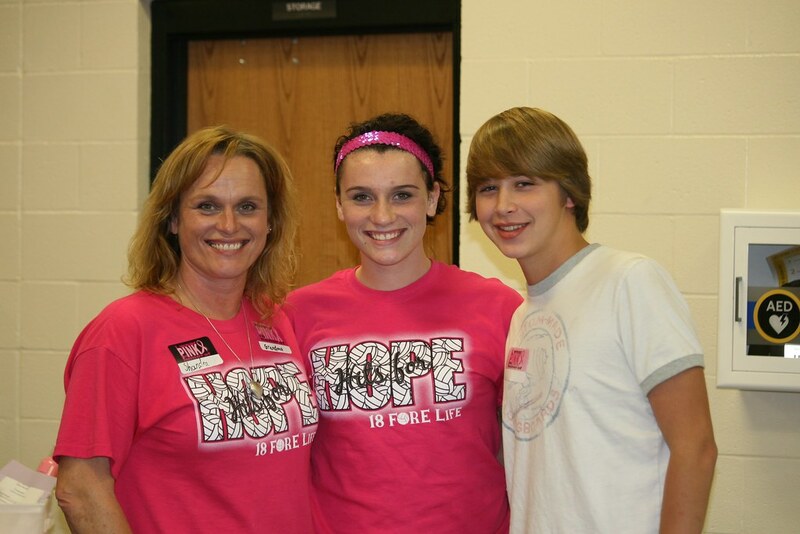 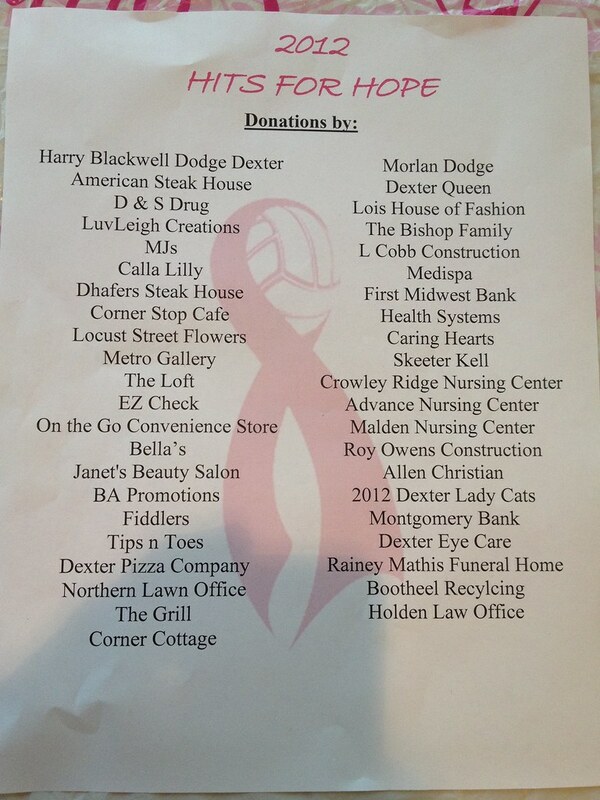 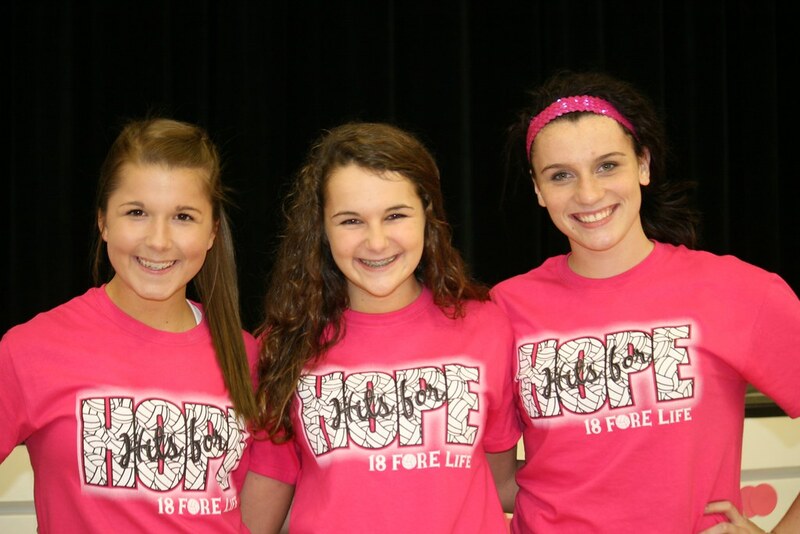 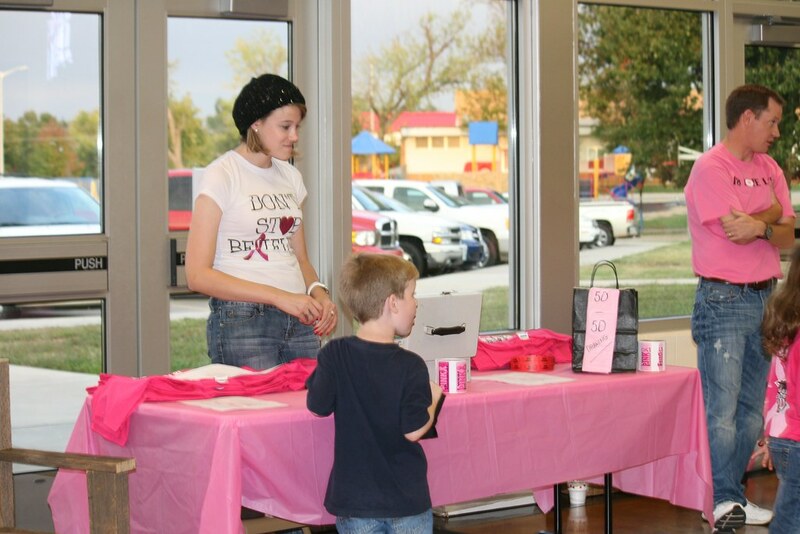 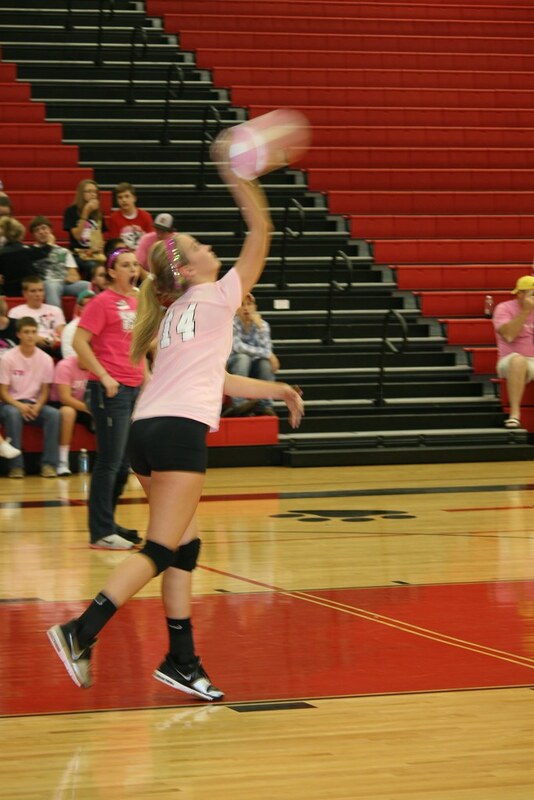 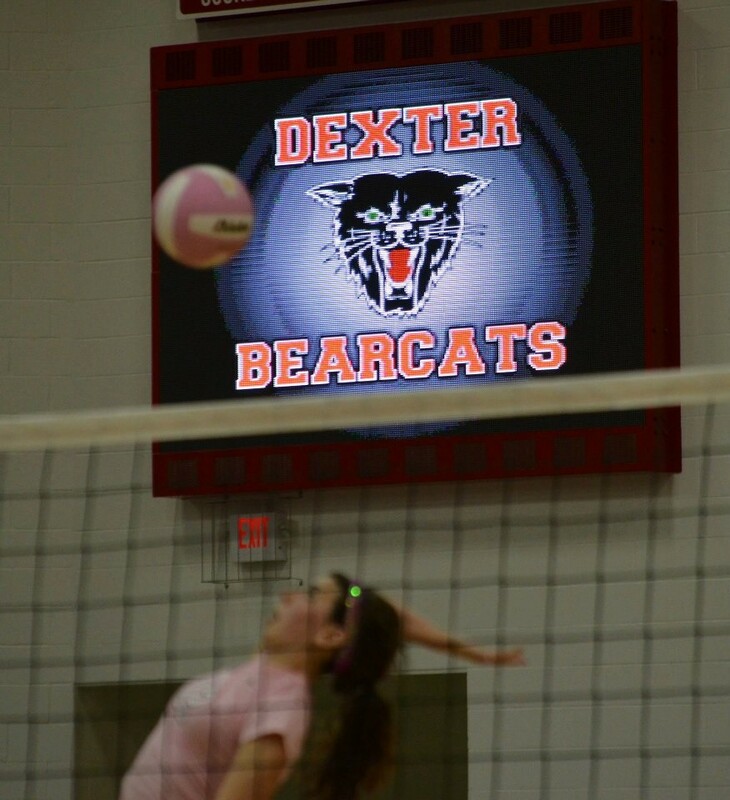 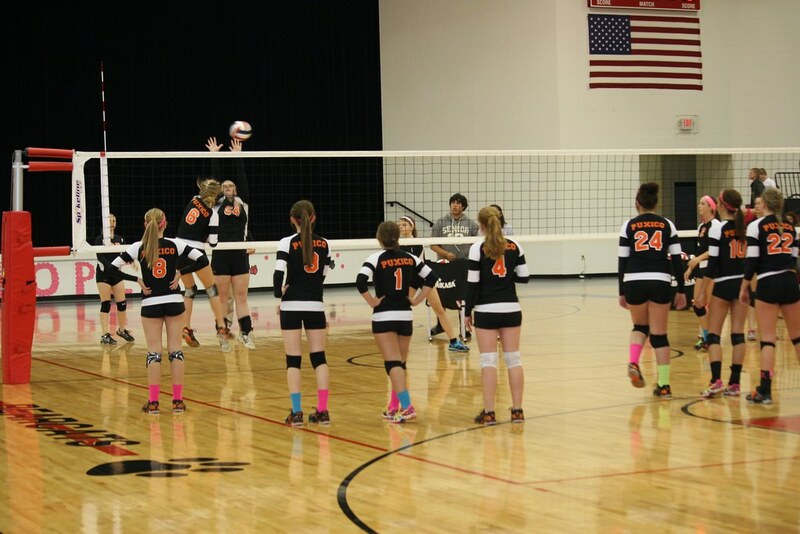 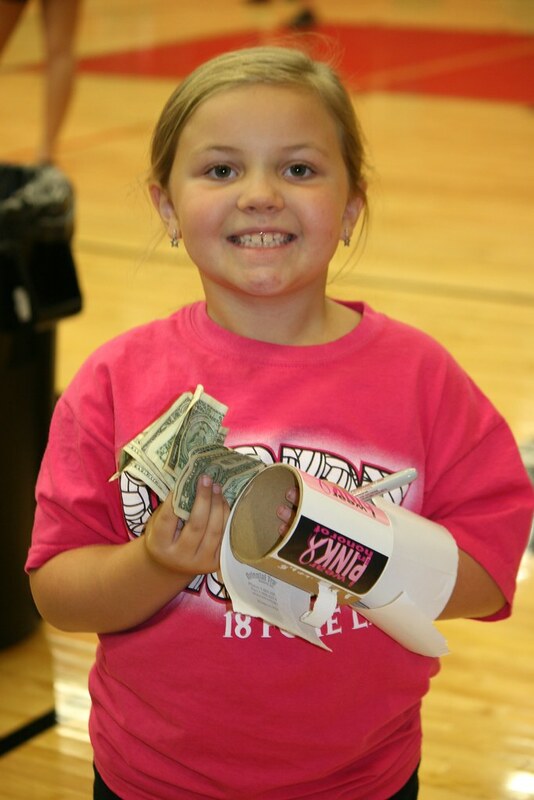 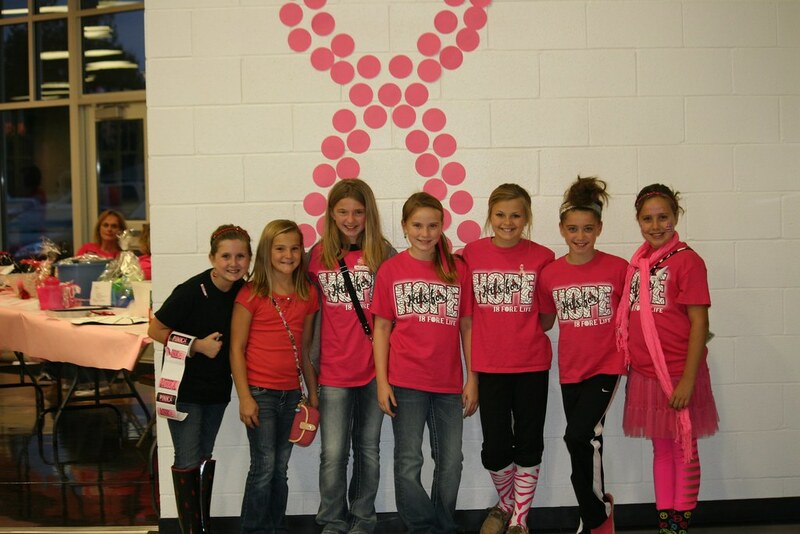 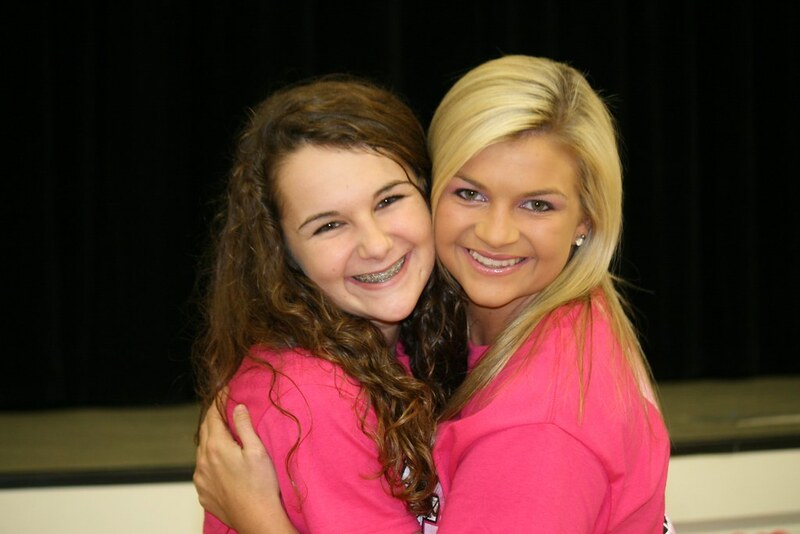 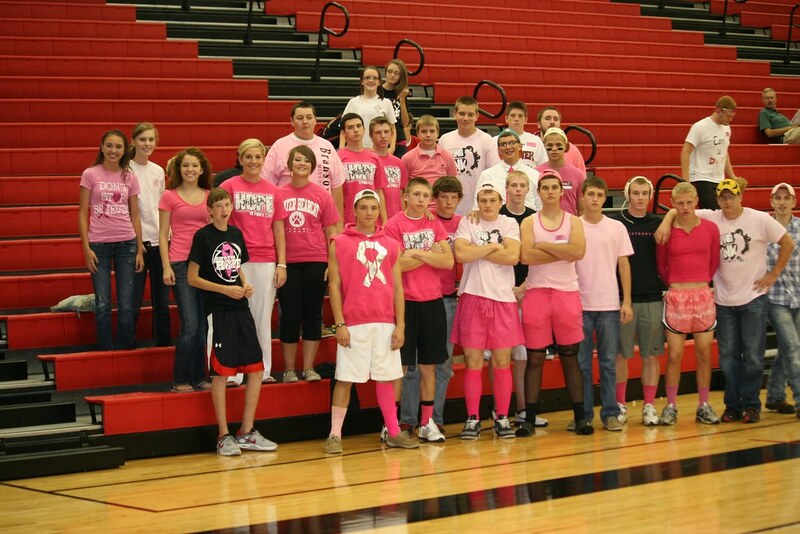 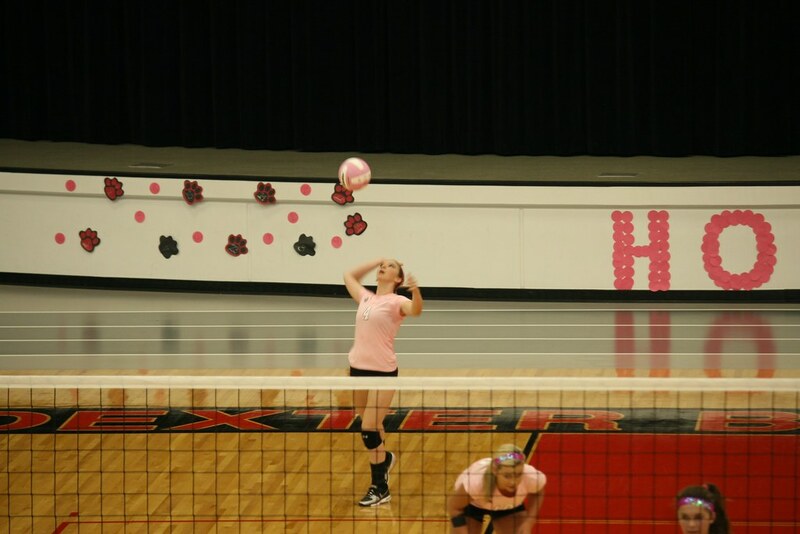 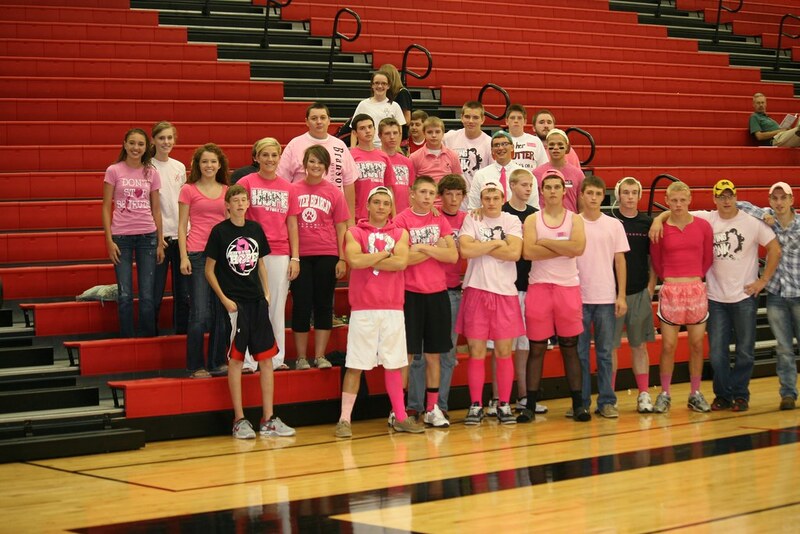 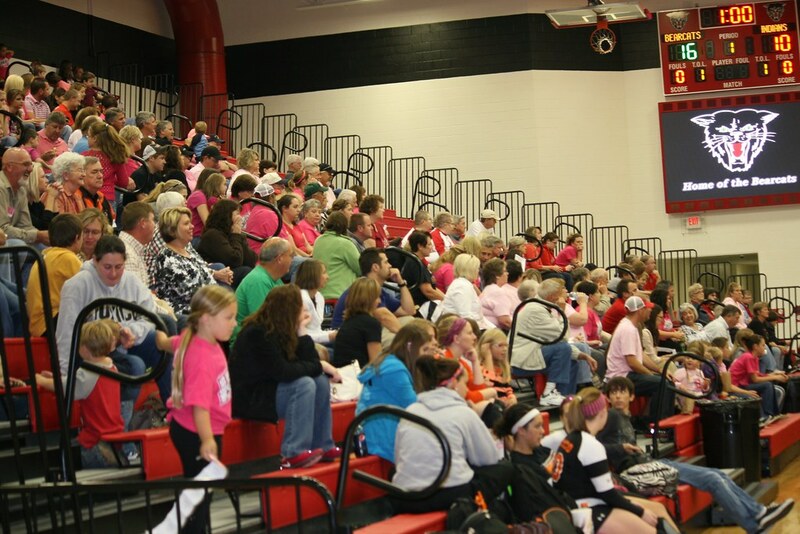 TS Hill Middle School in Dexter hosted the first volleyball fundraiser in 2011. 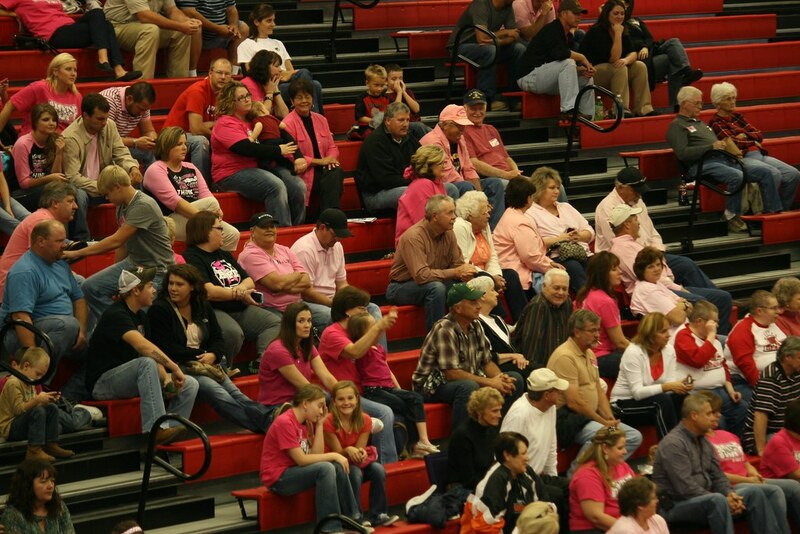 The atmosphere was electric, special. 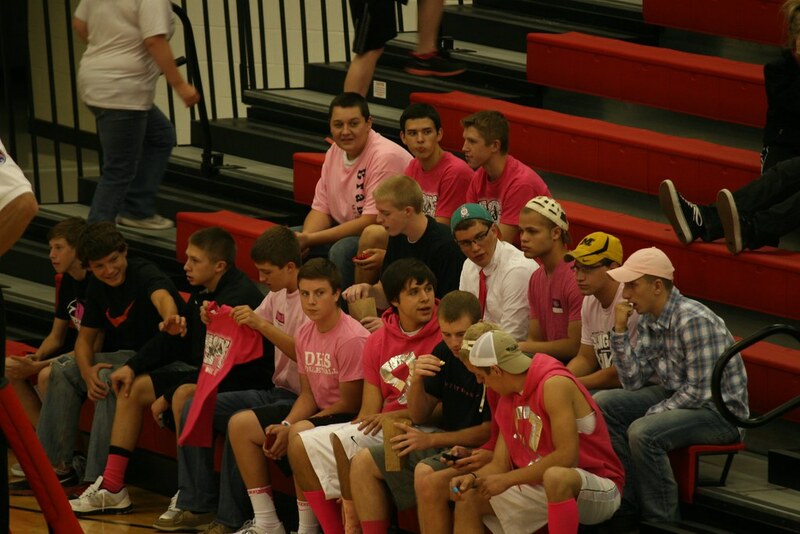 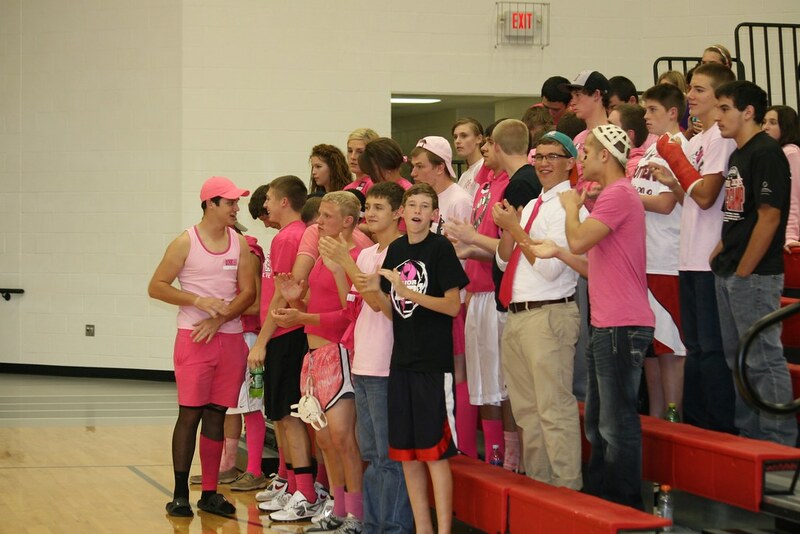 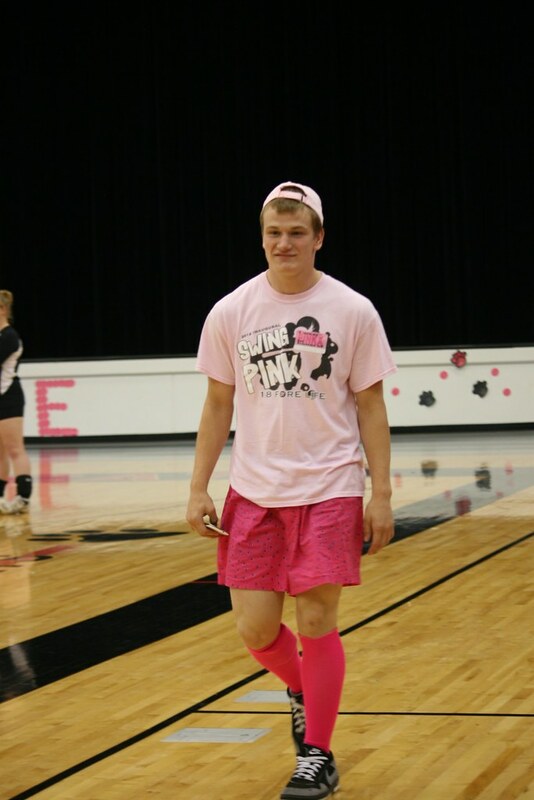 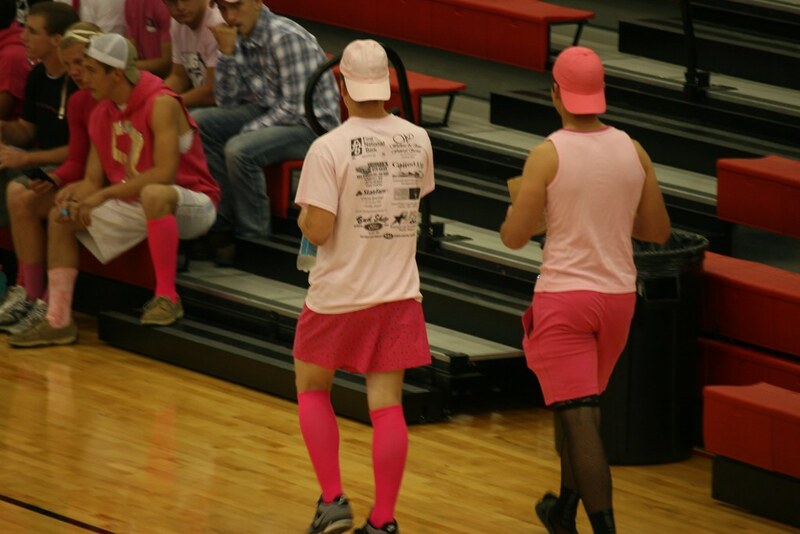 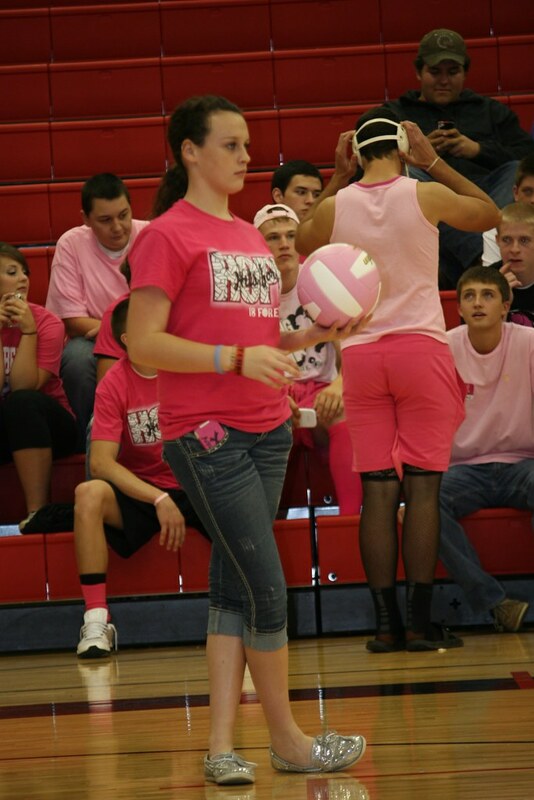 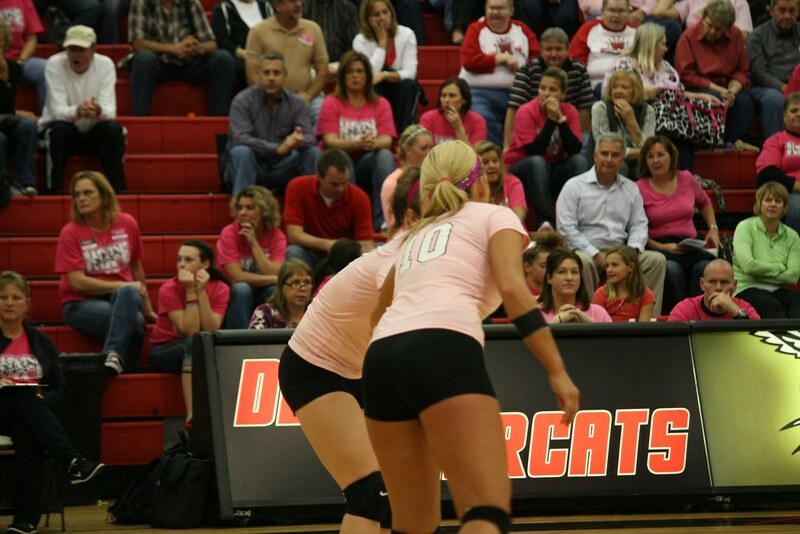 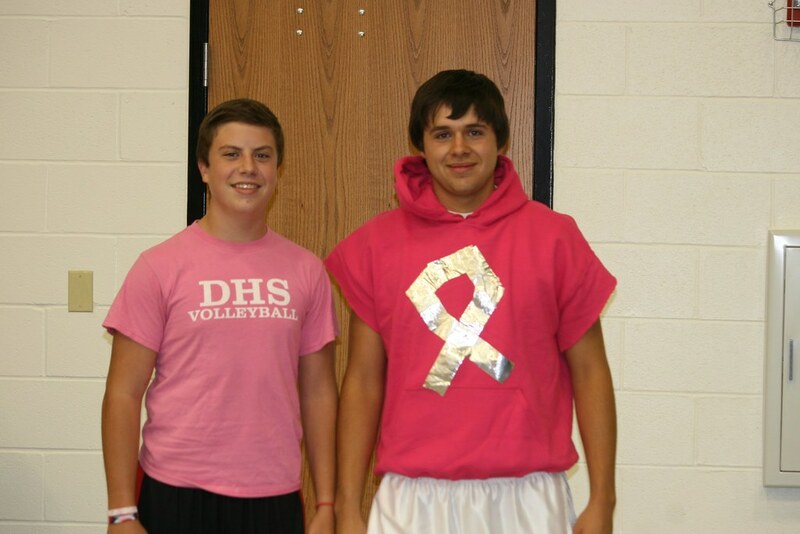 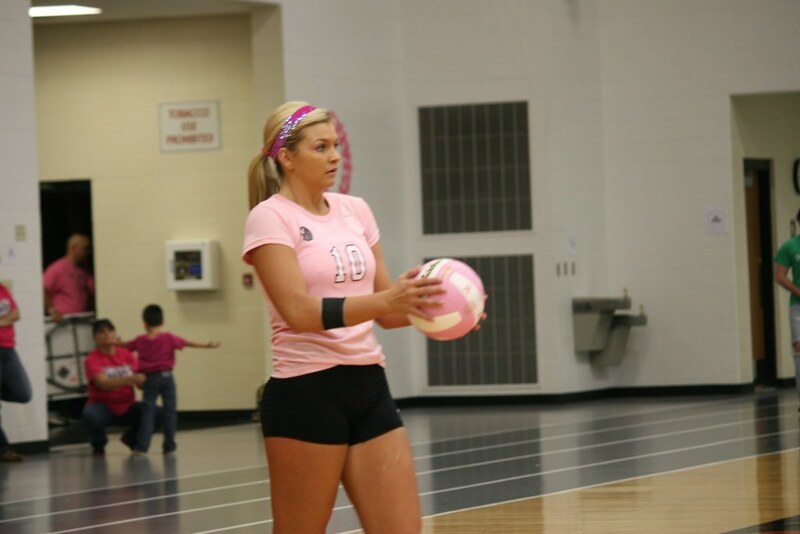 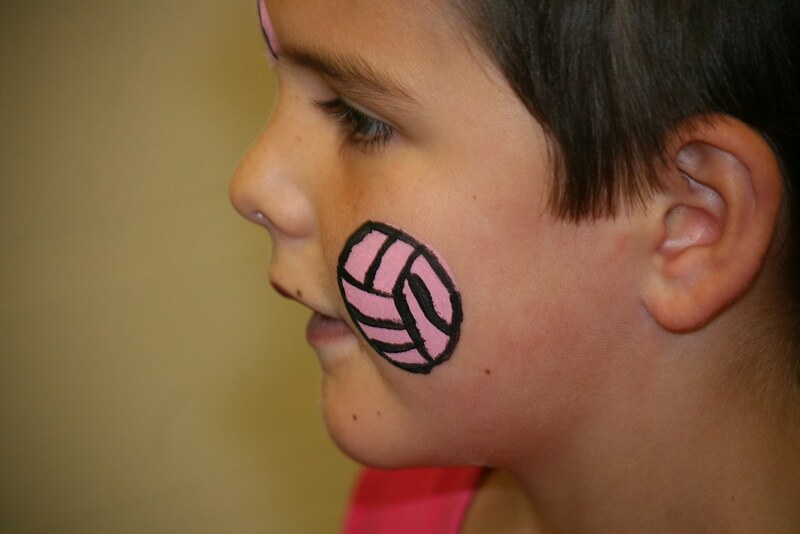 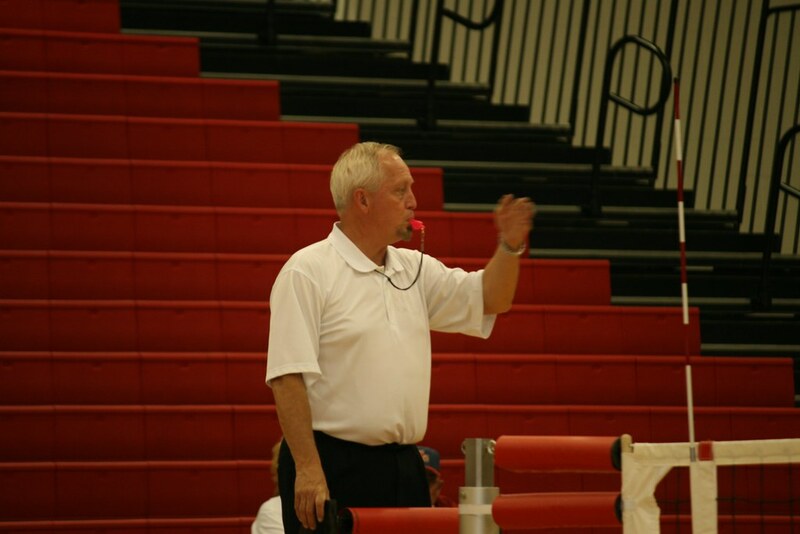 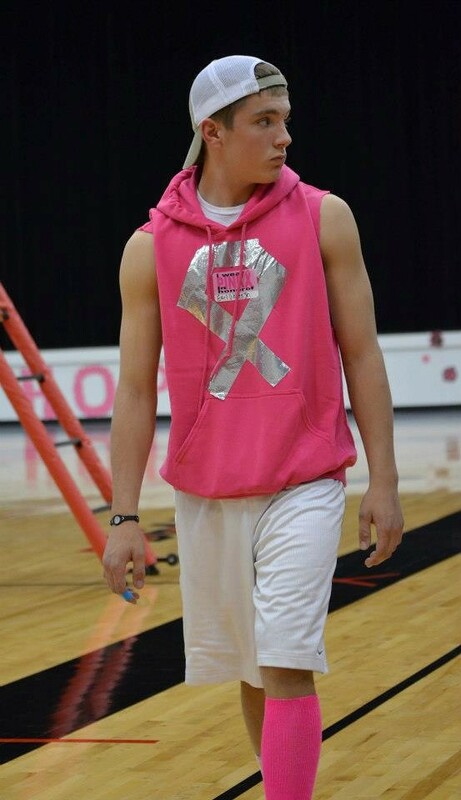 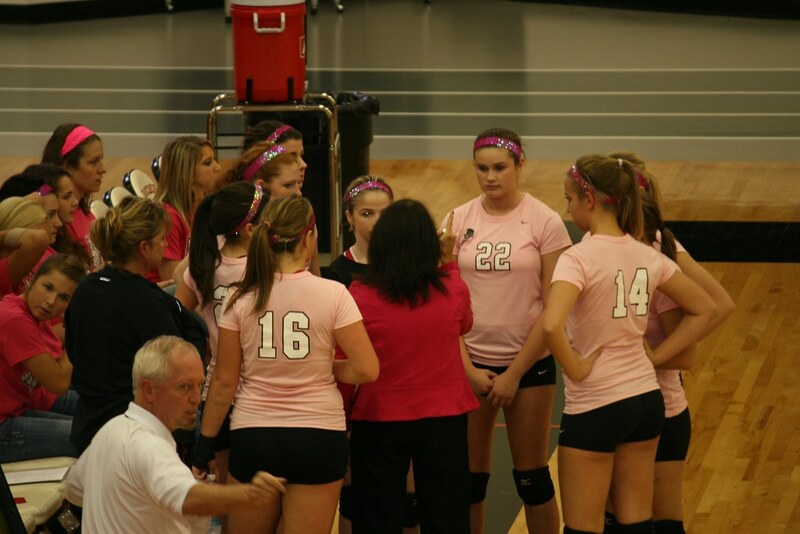 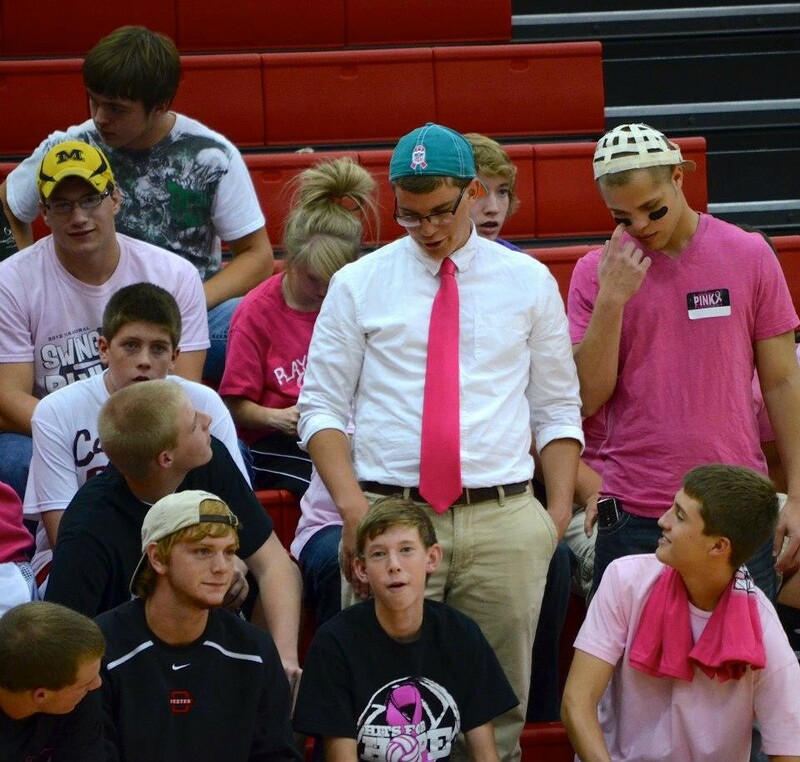 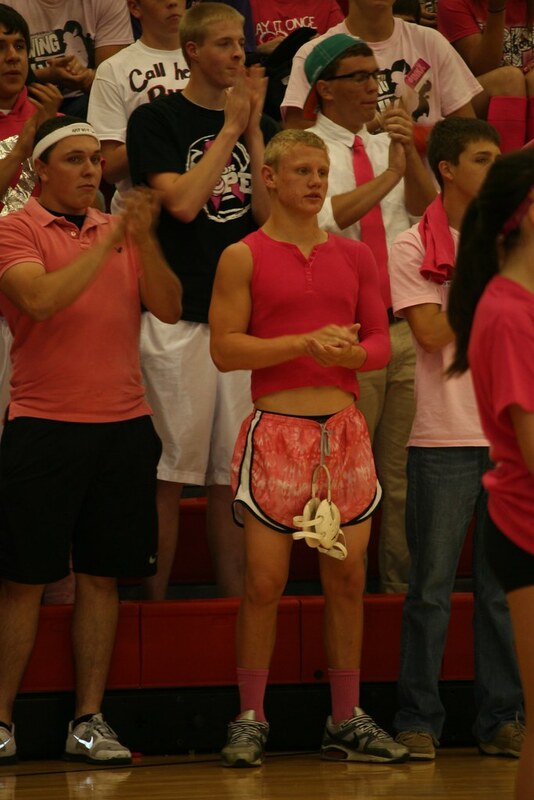 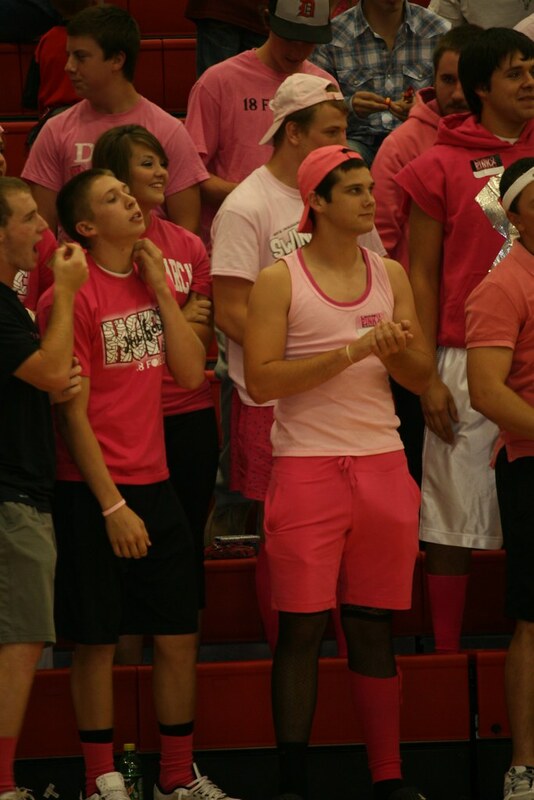 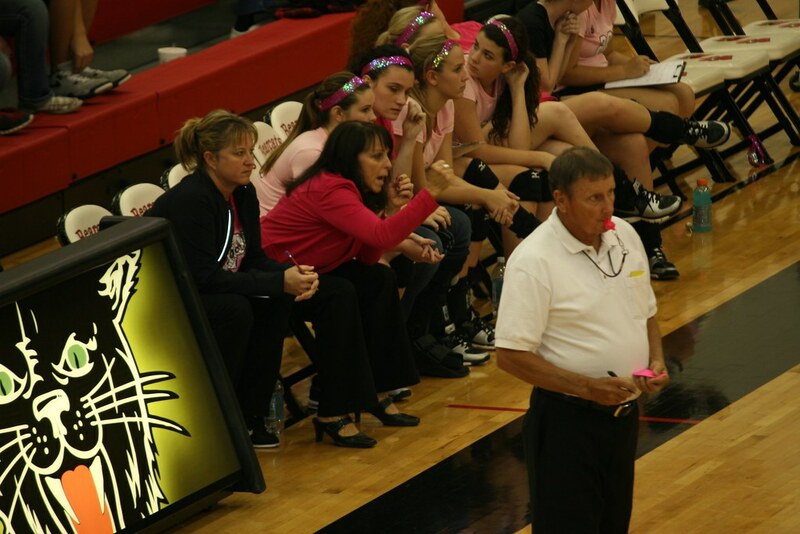 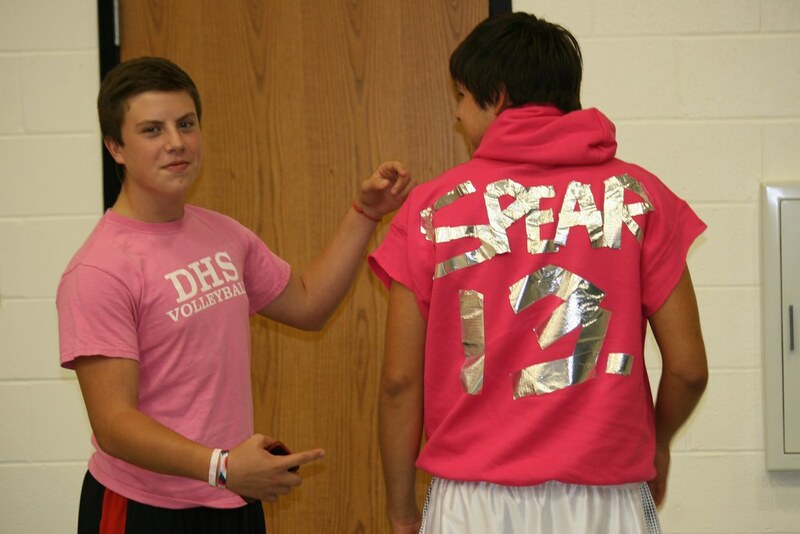 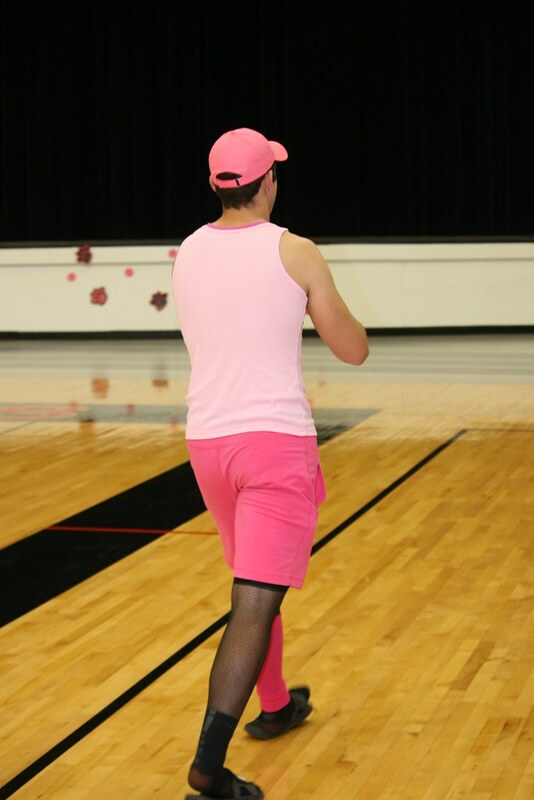 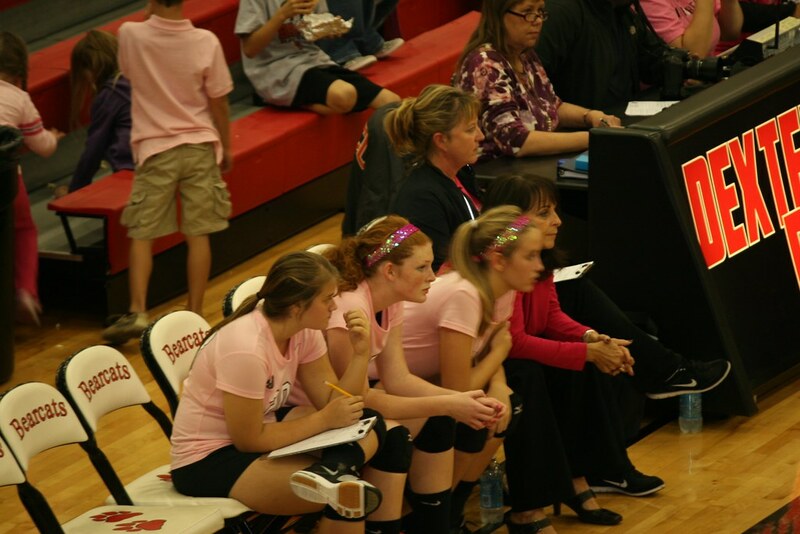 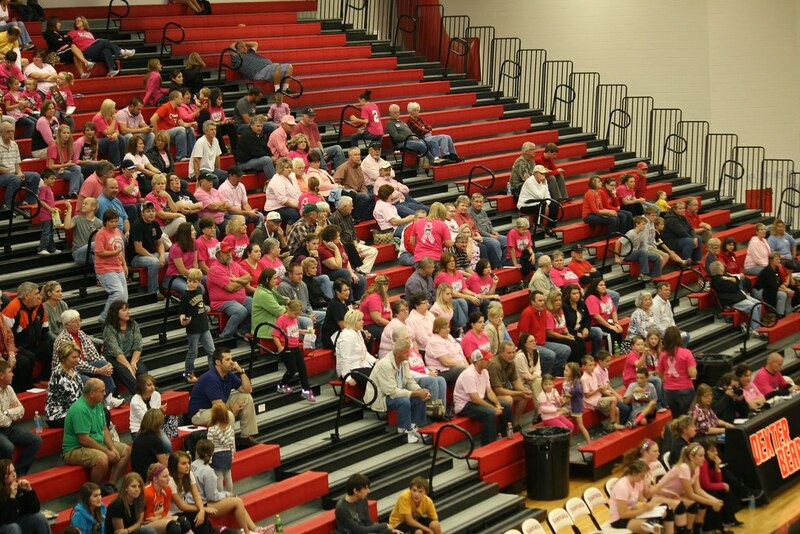 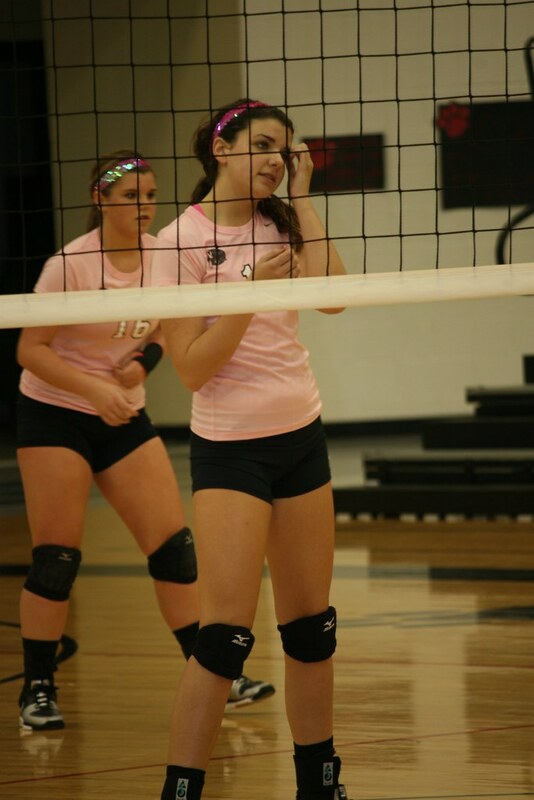 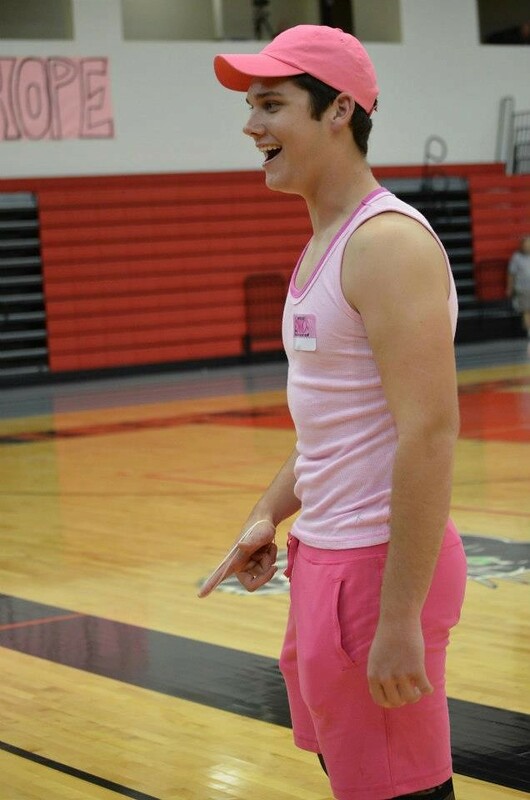 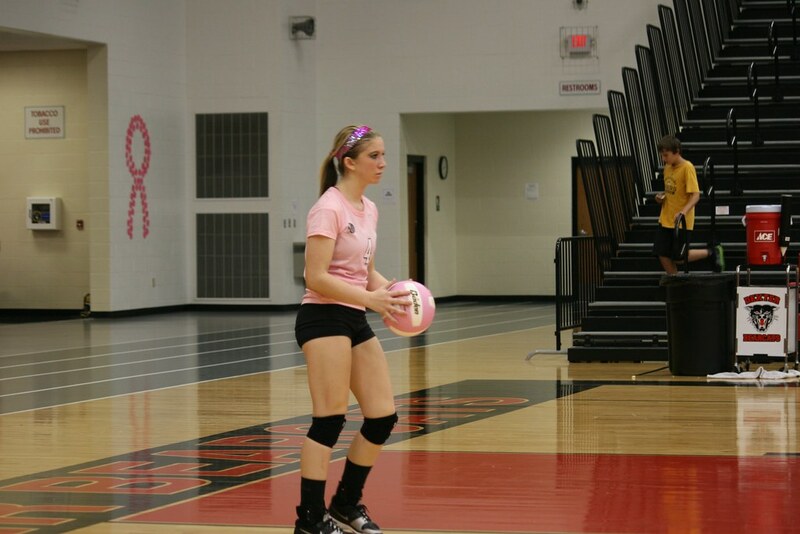 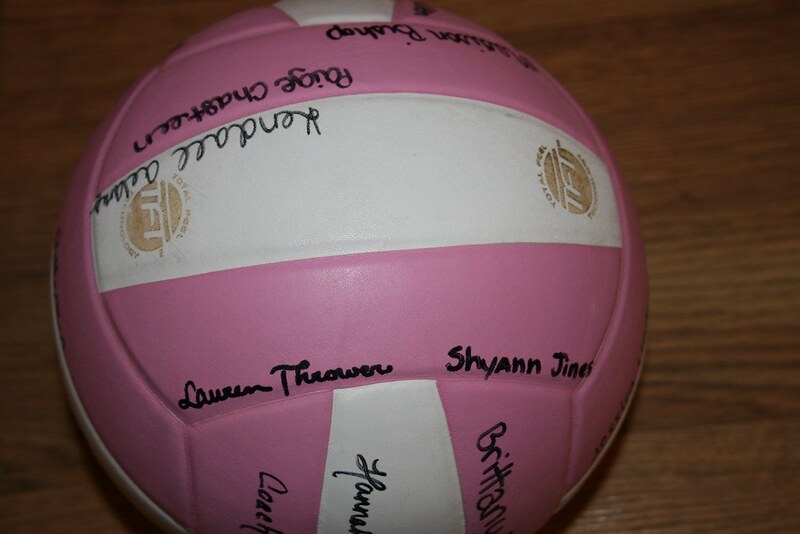 The players and coaches decorated the gym in PINK signs, wore PINK socks and headbands, a PINK volleyball was used, PINK whistles were used by the referees. 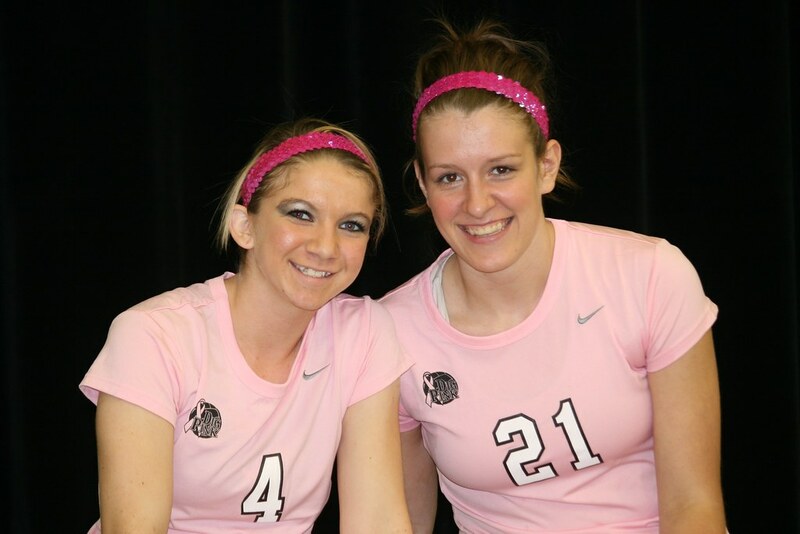 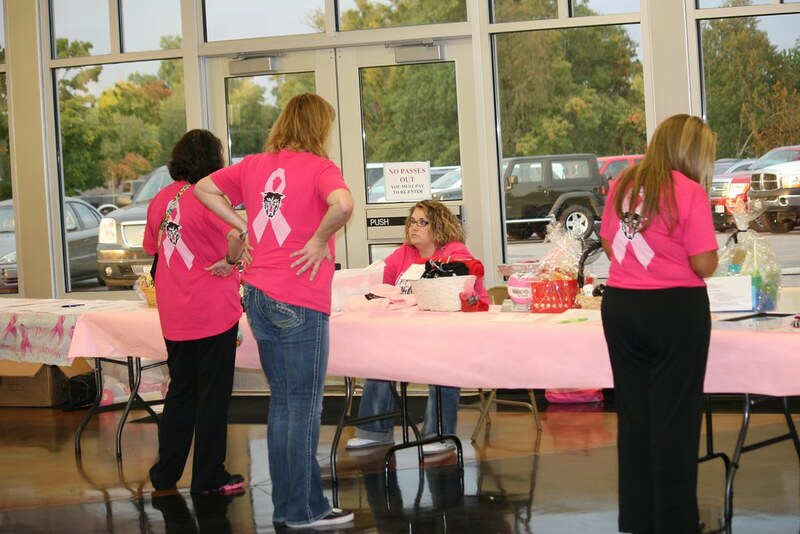 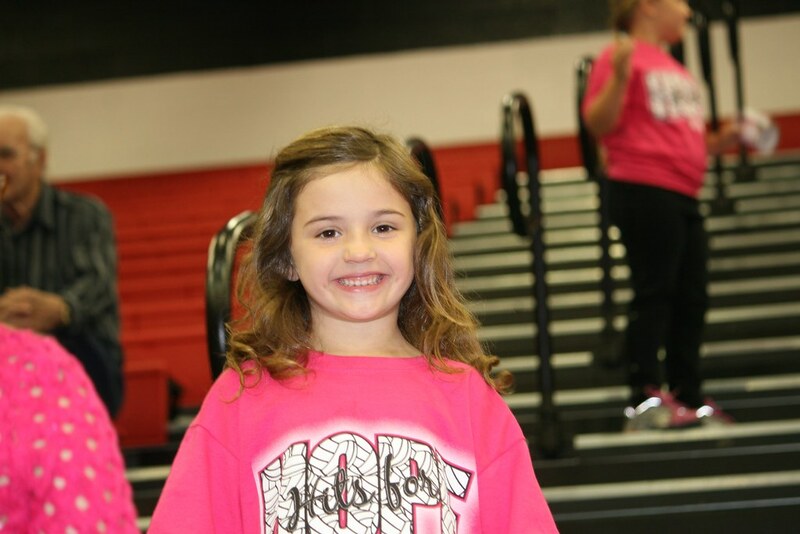 The success of the event led organizers to expand on the idea, purchasing special PINK uniforms for the home team to wear. 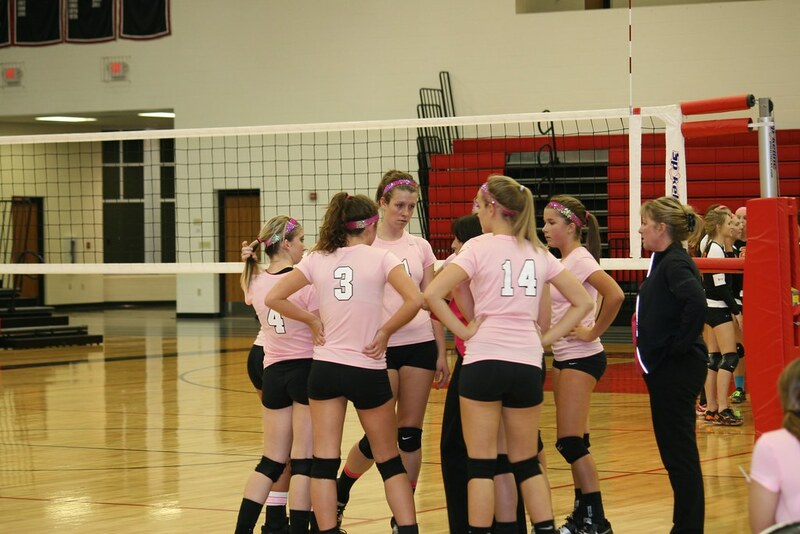 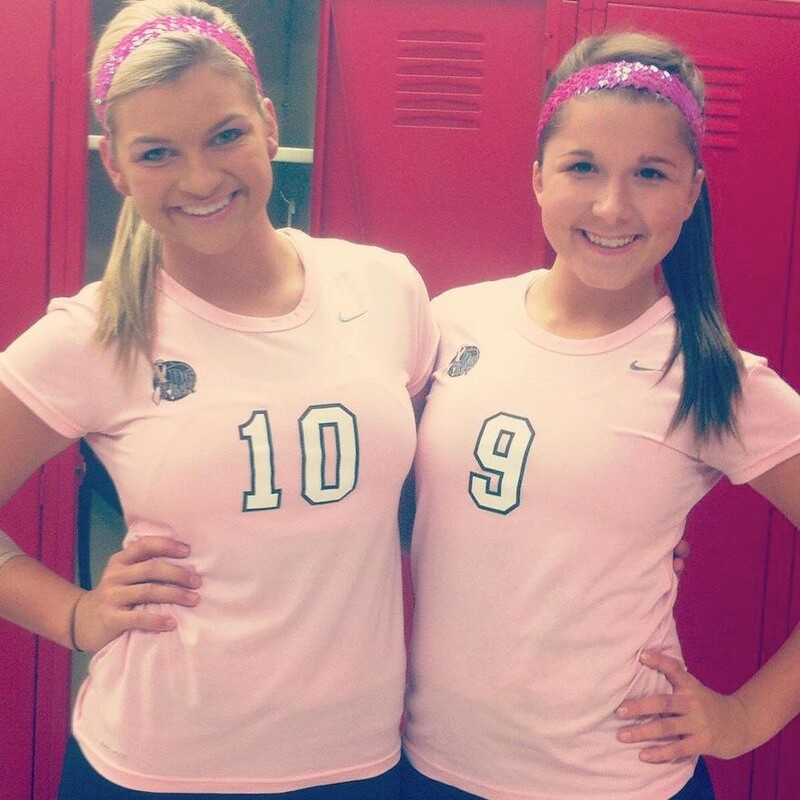 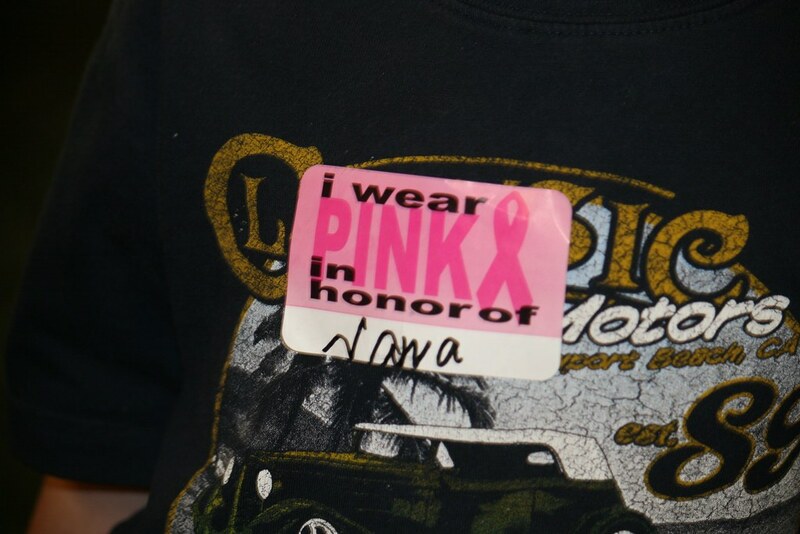 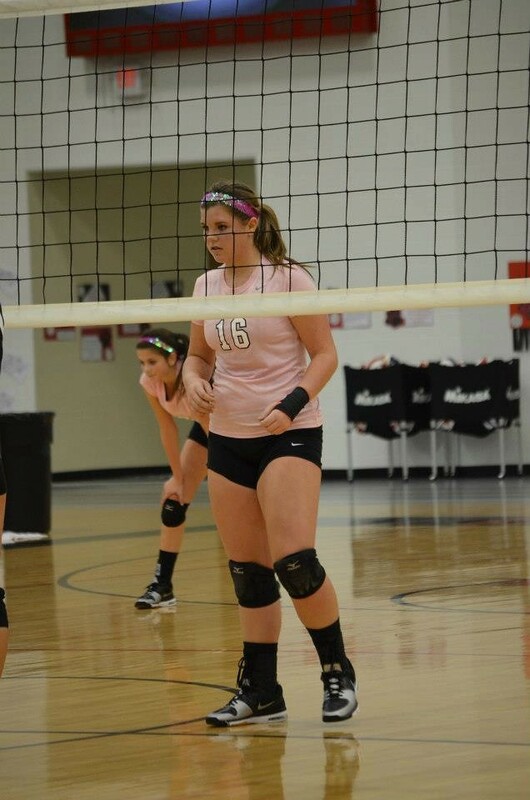 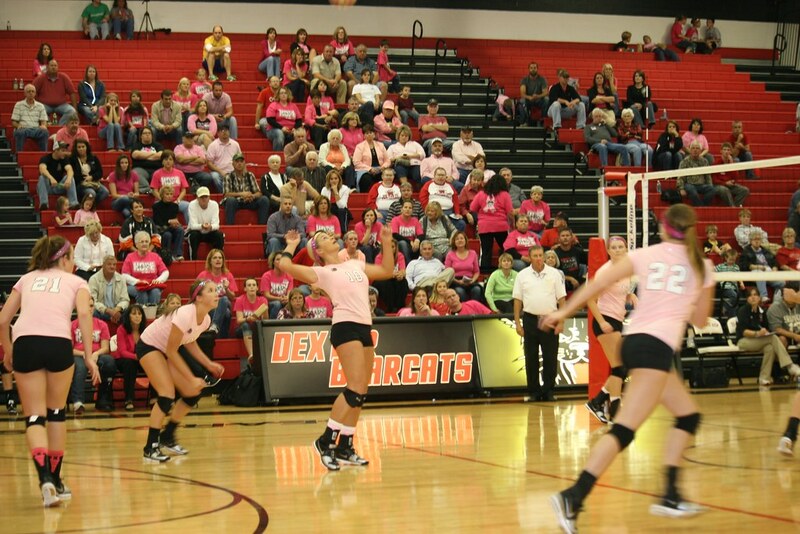 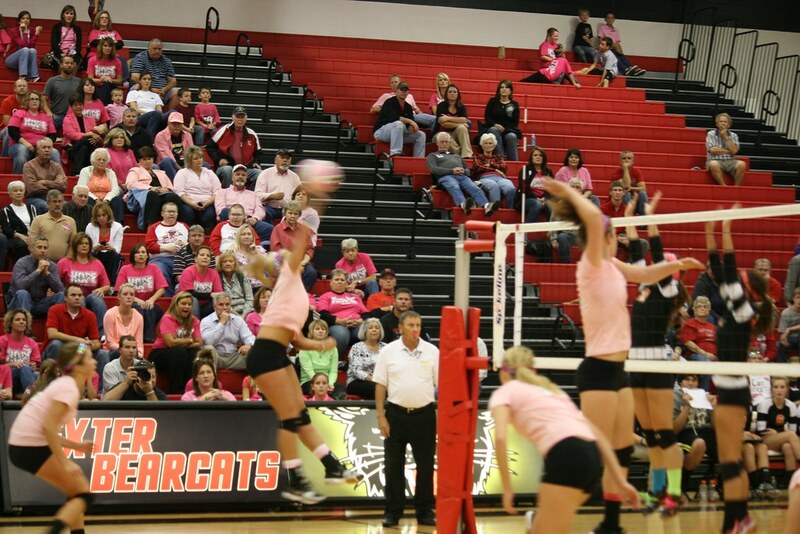 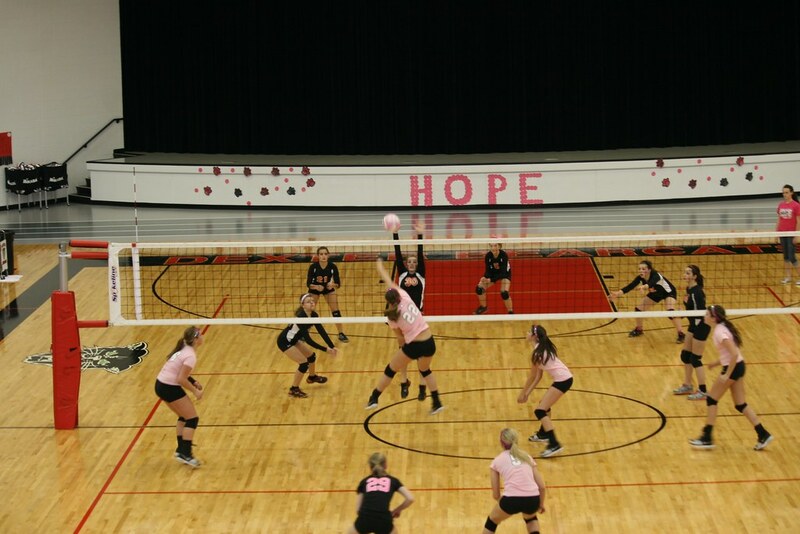 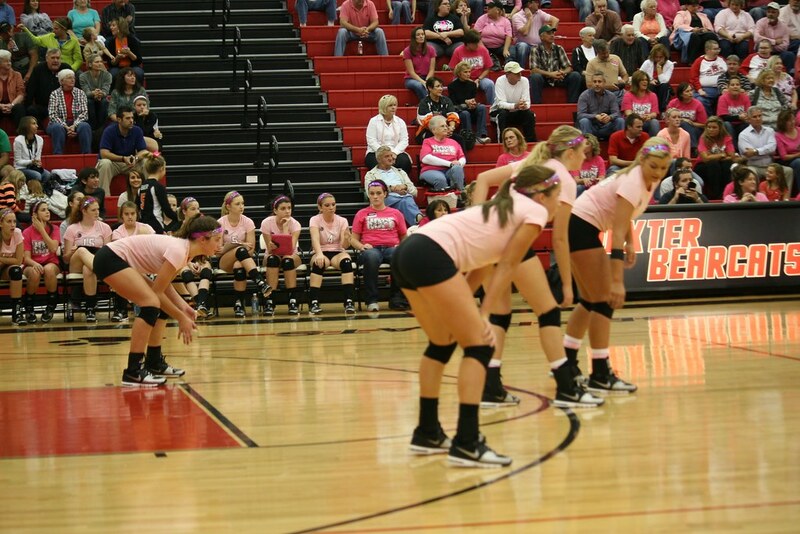 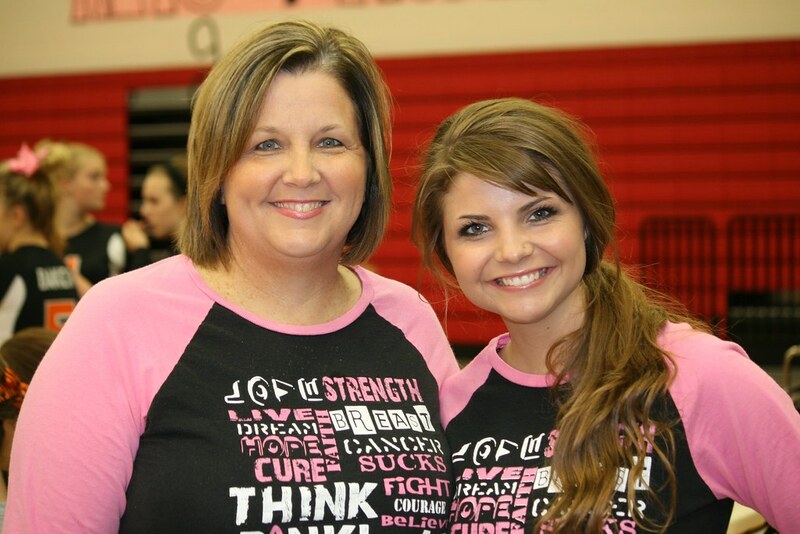 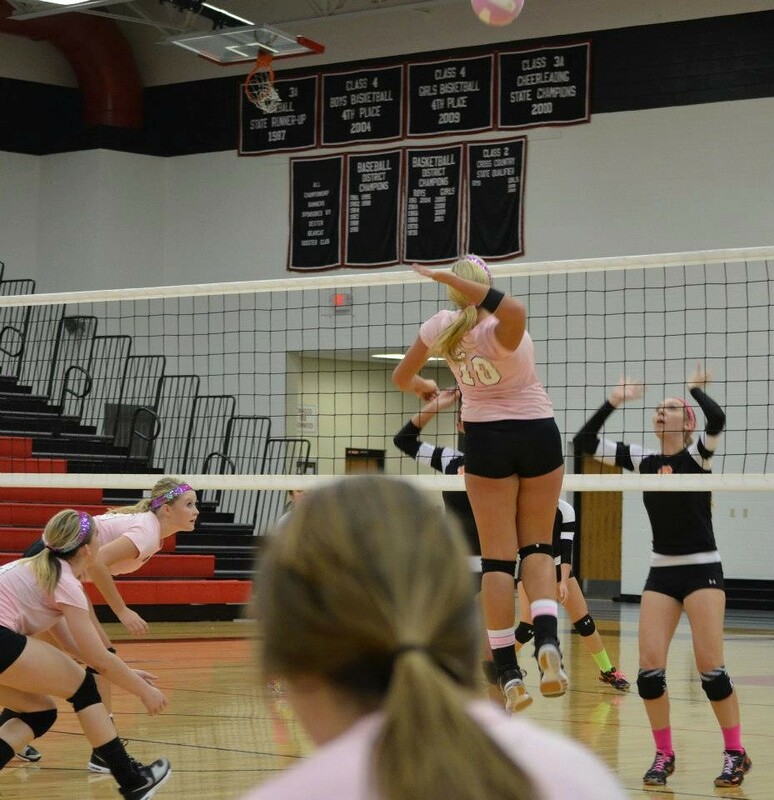 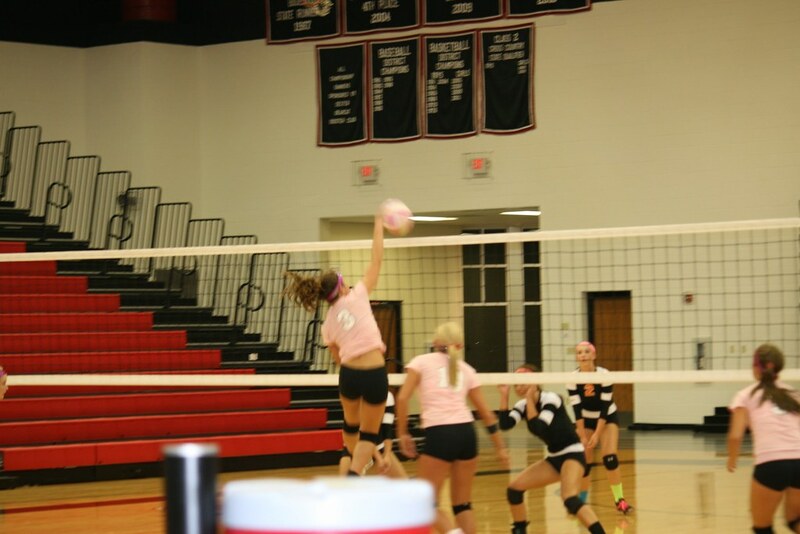 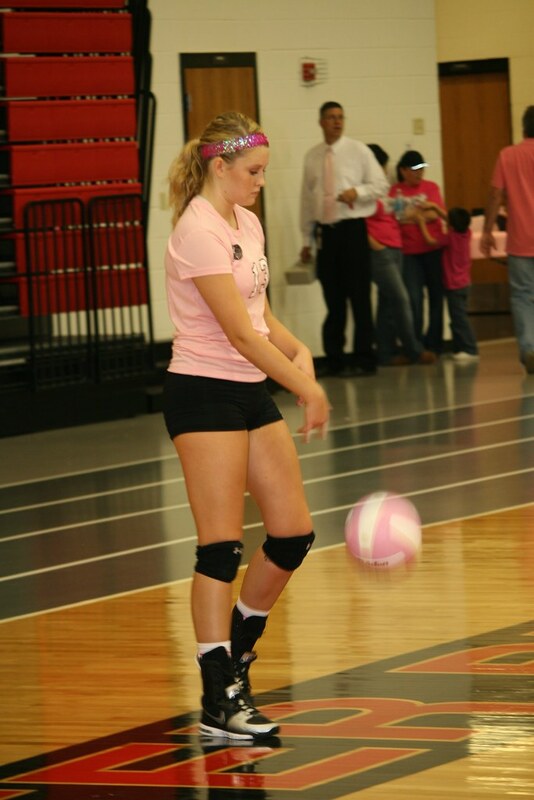 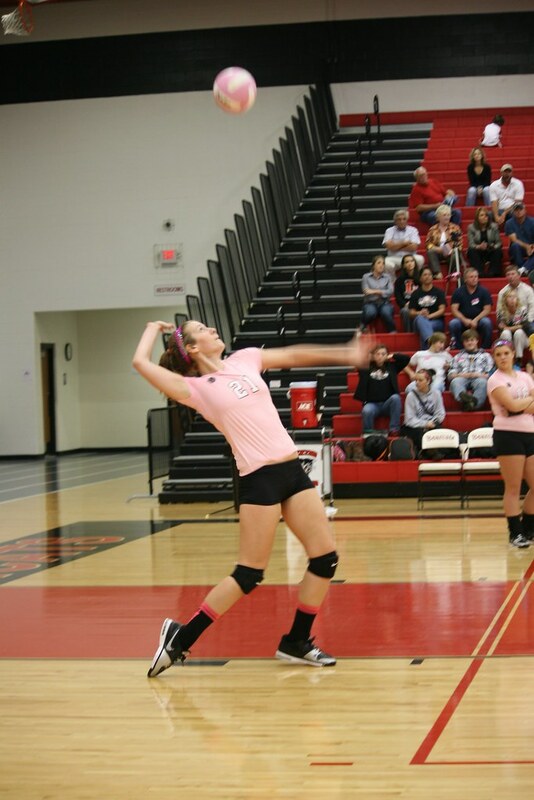 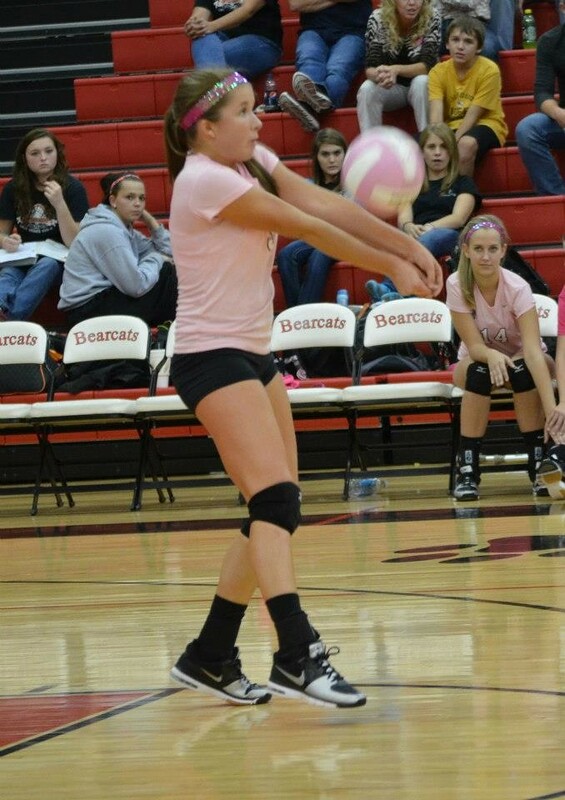 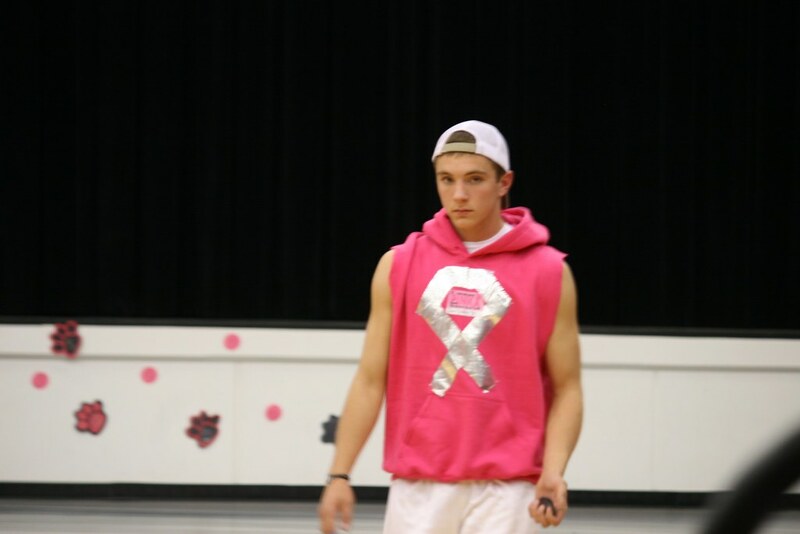 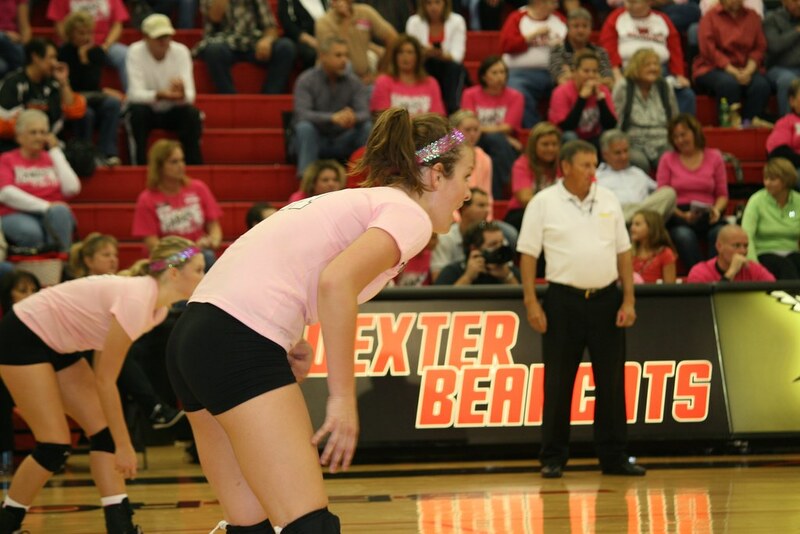 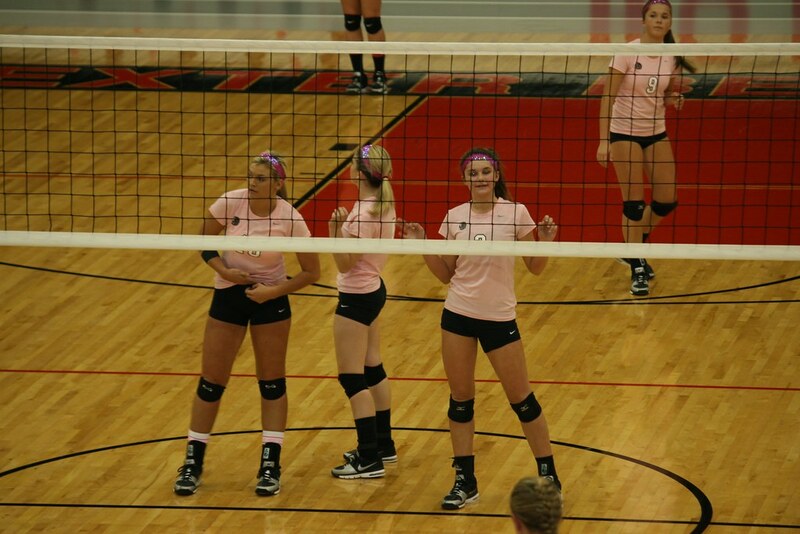 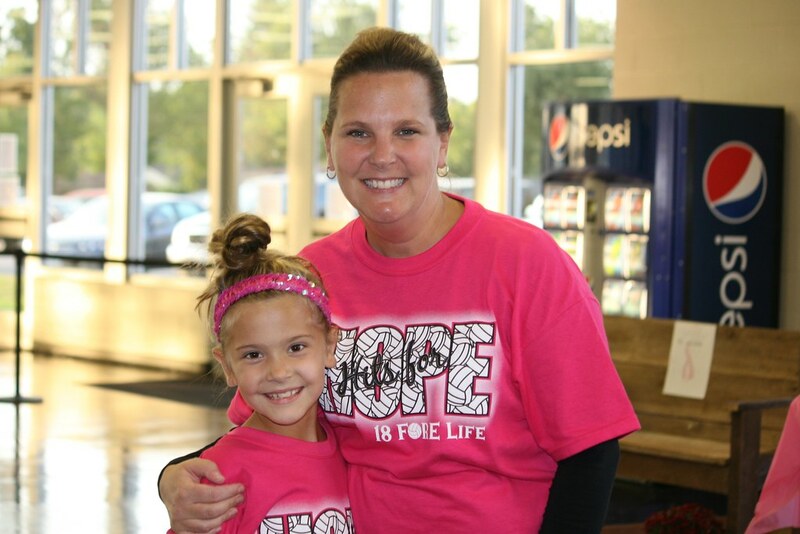 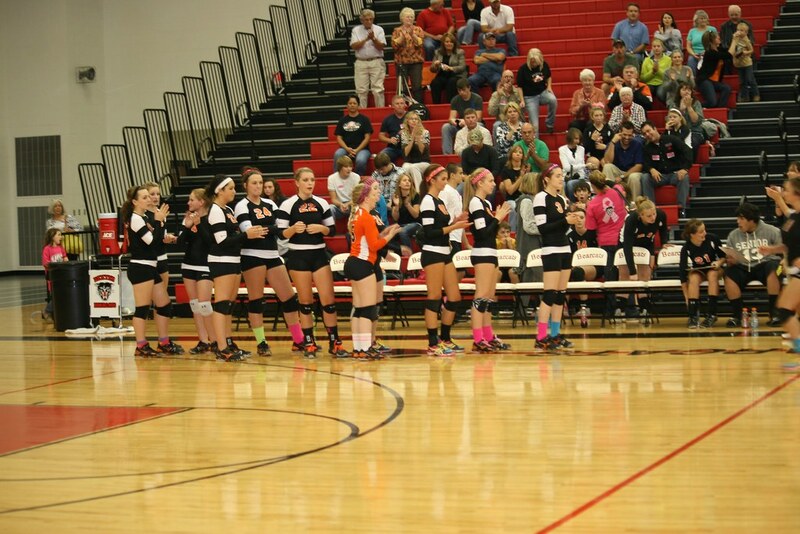 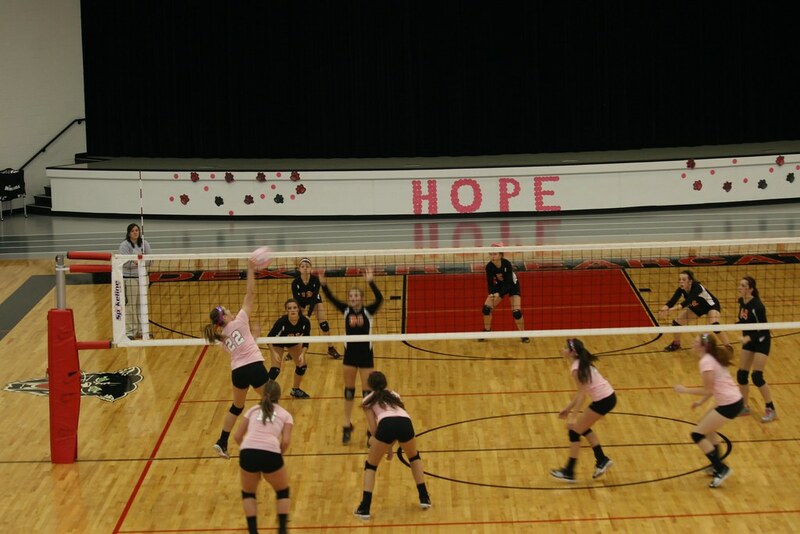 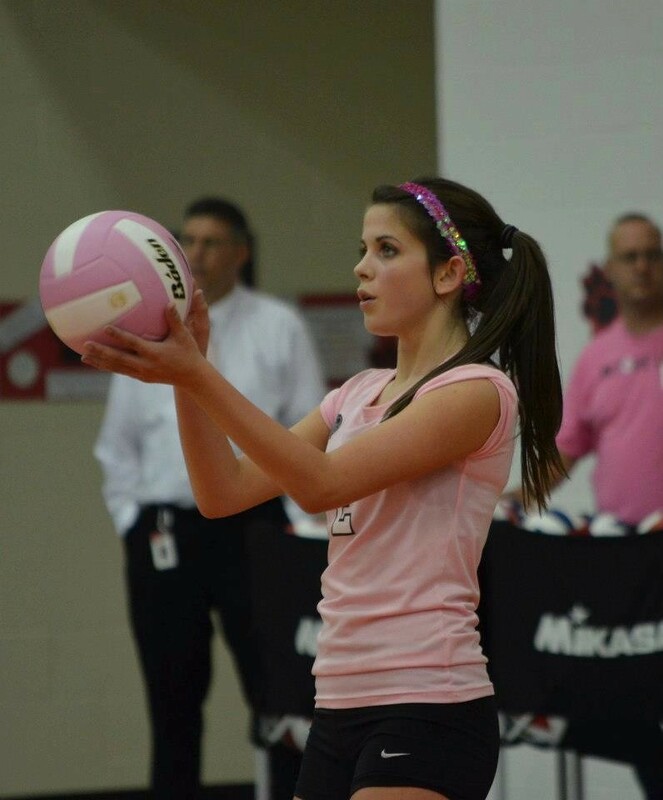 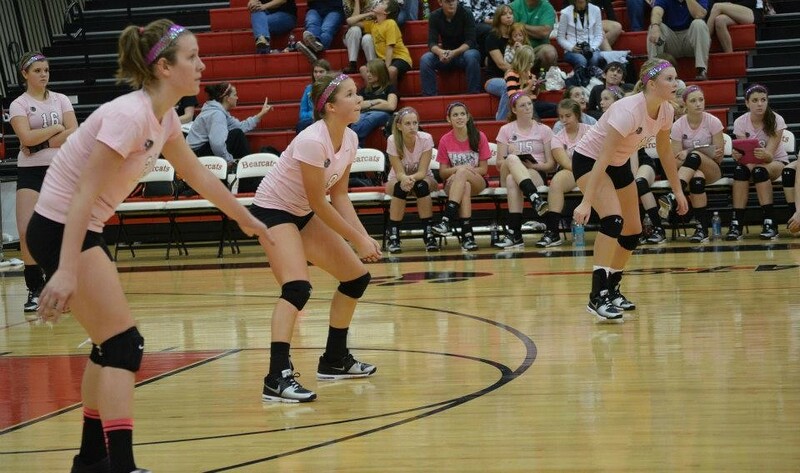 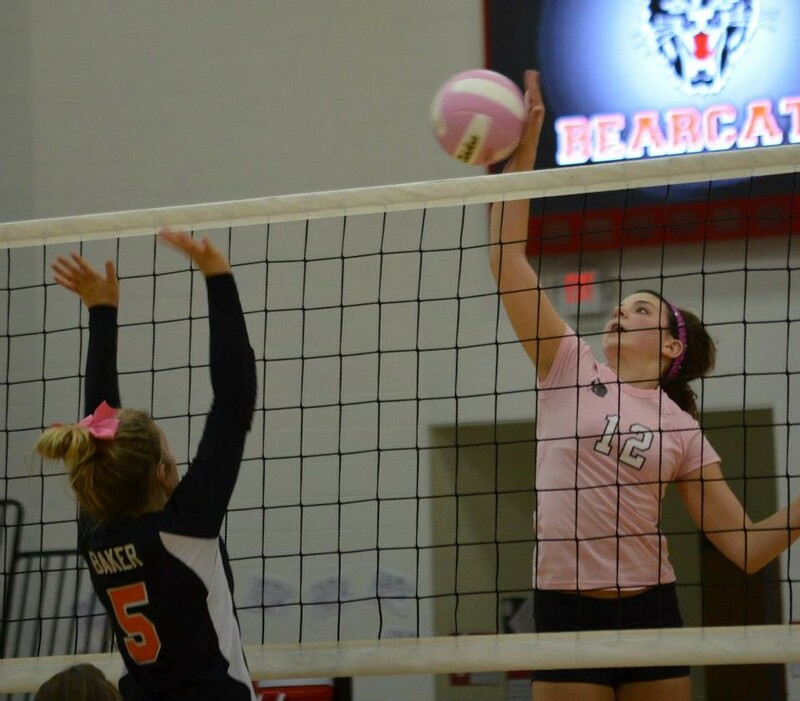 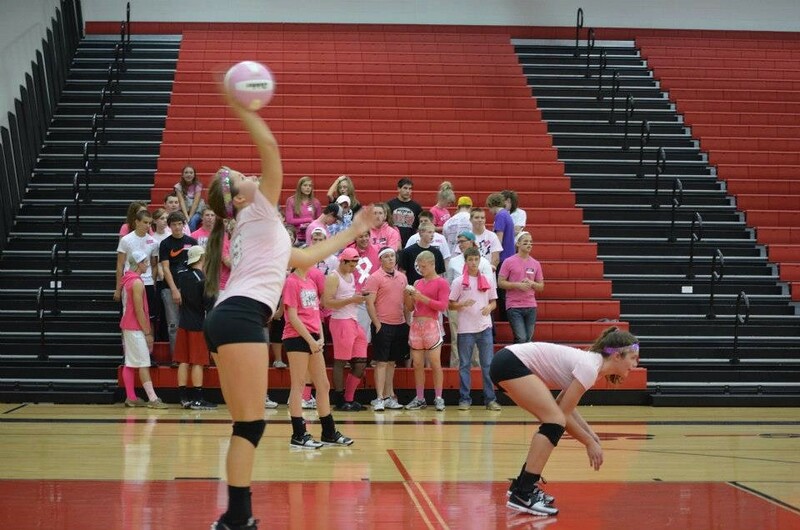 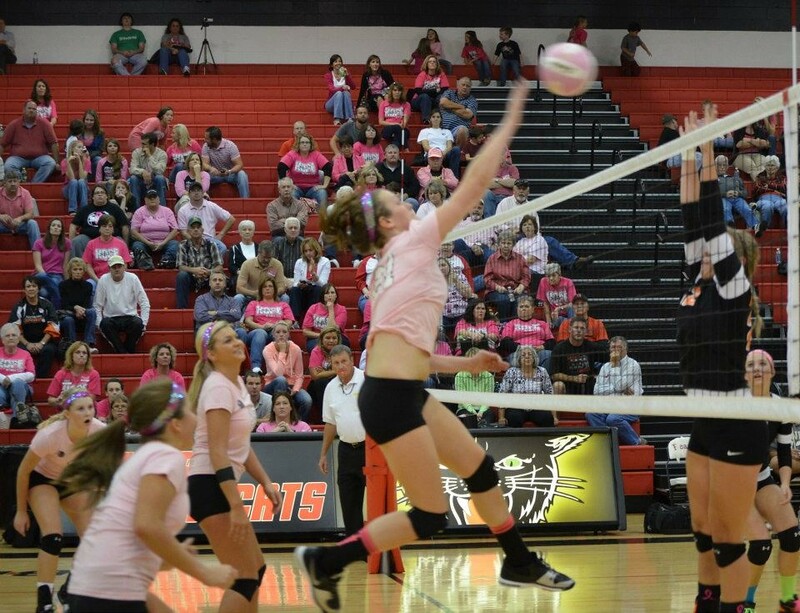 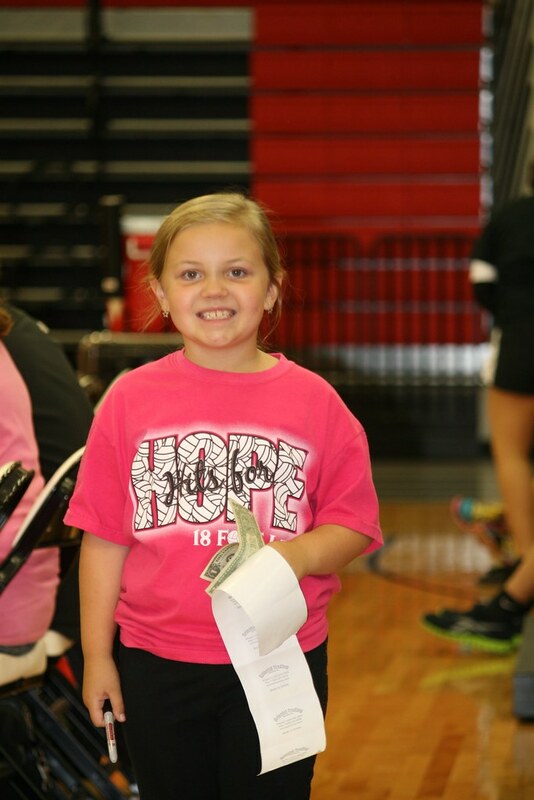 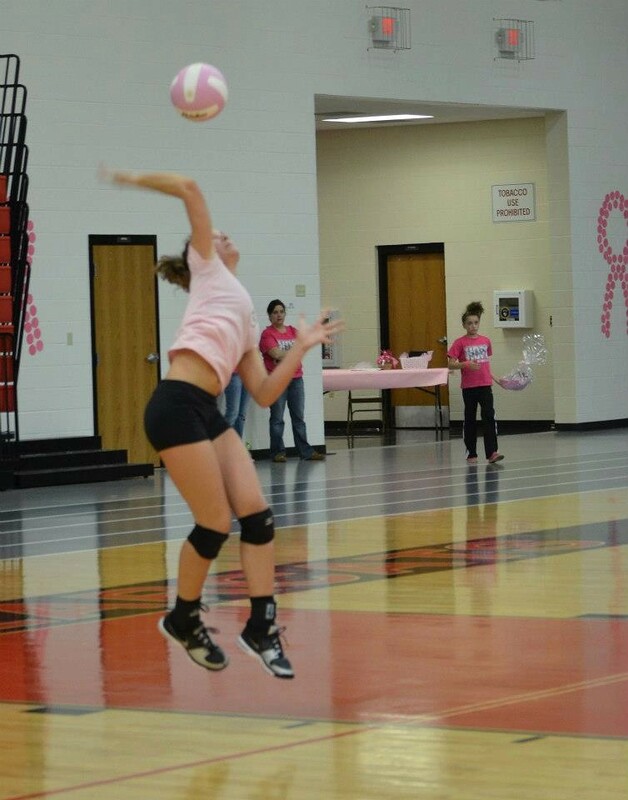 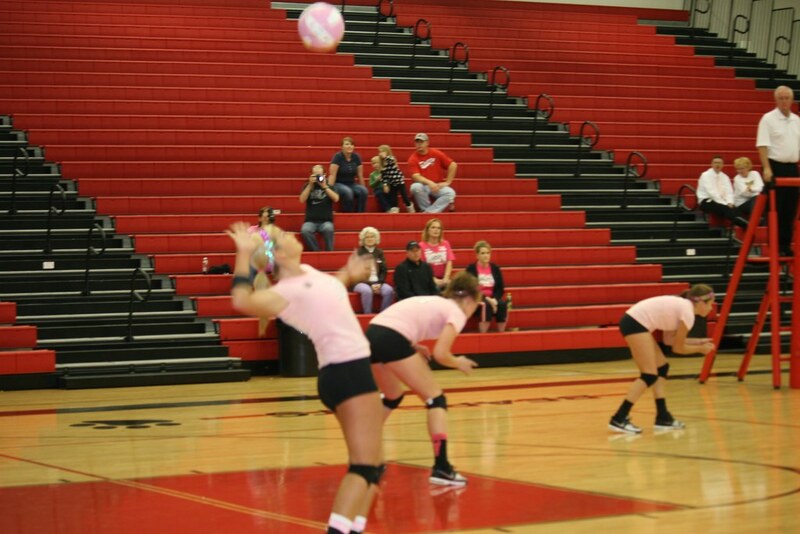 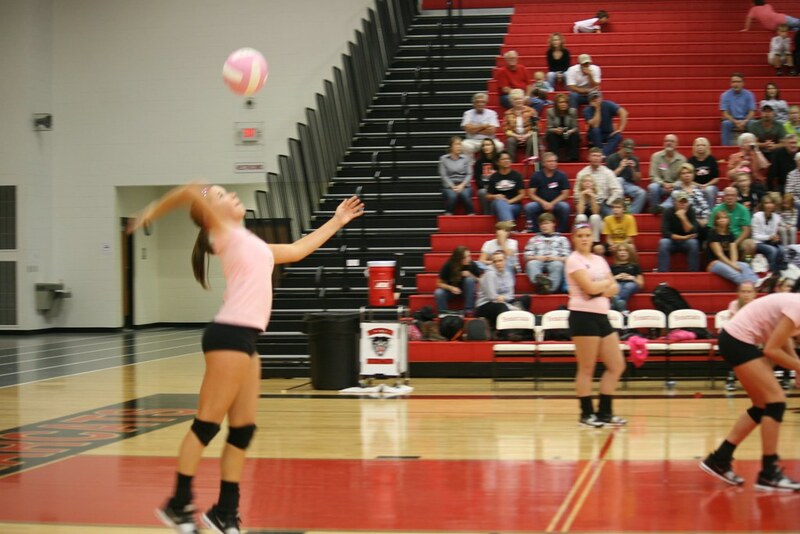 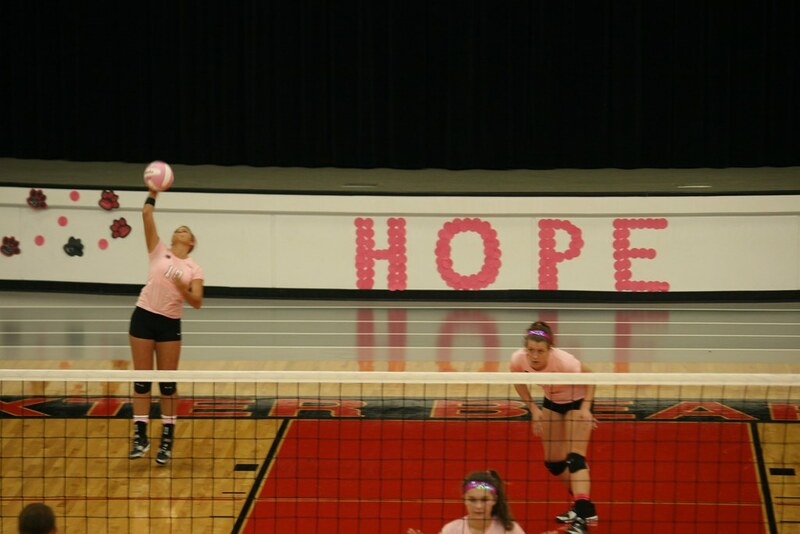 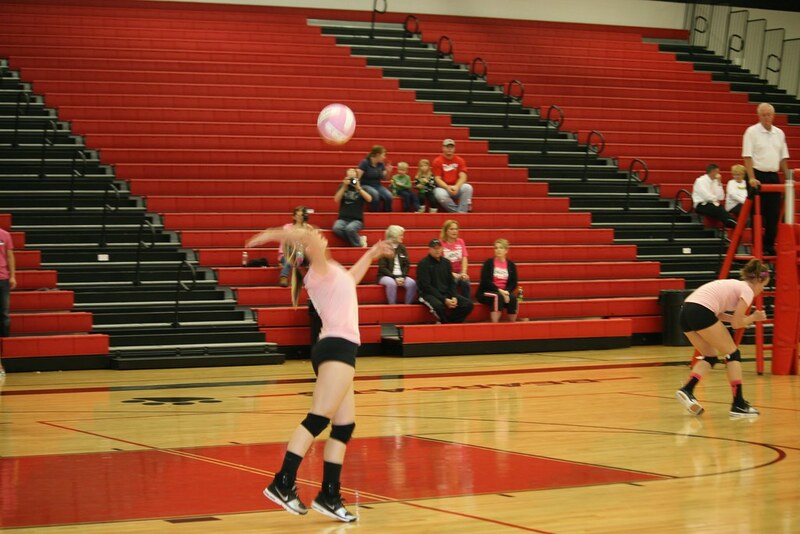 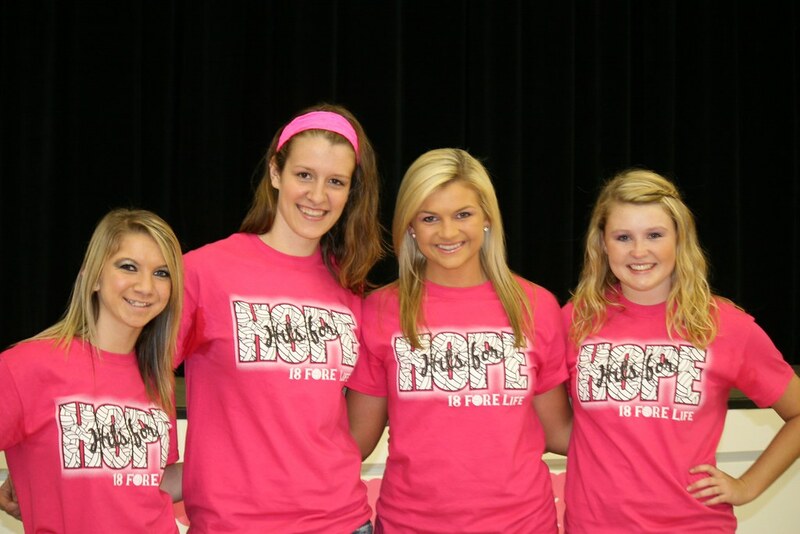 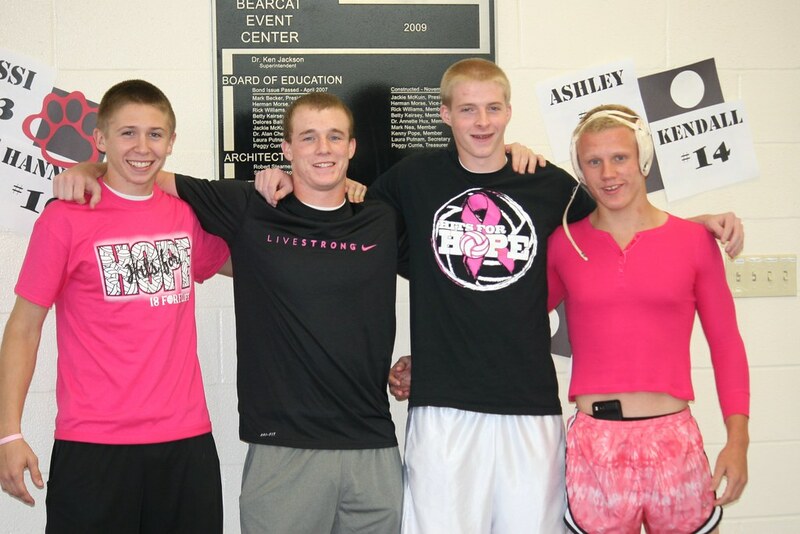 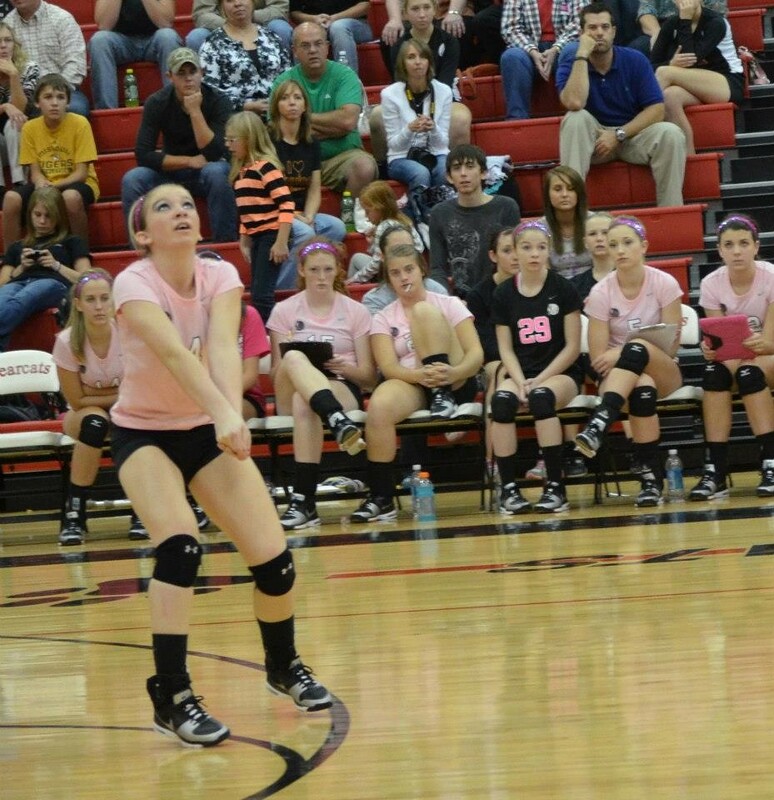 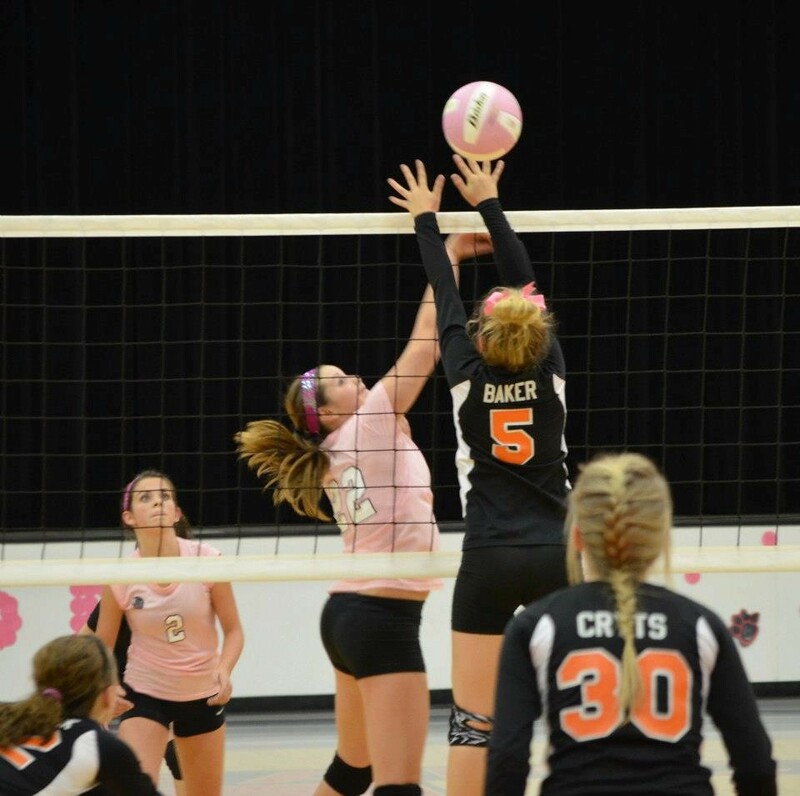 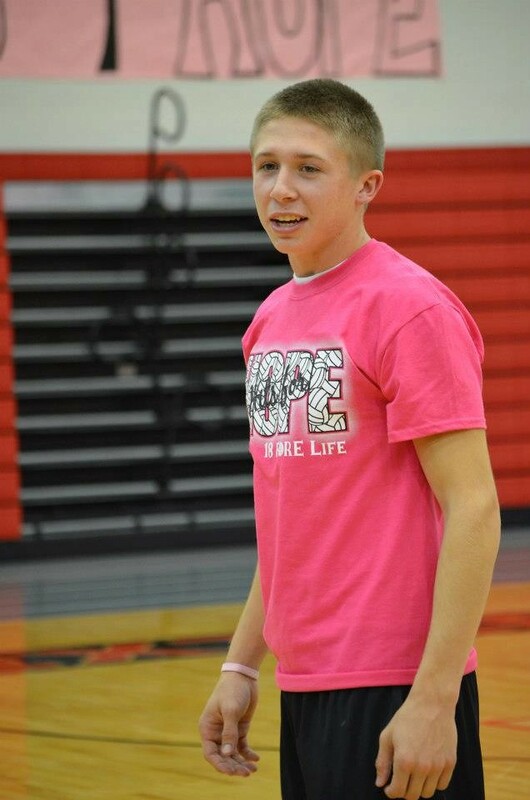 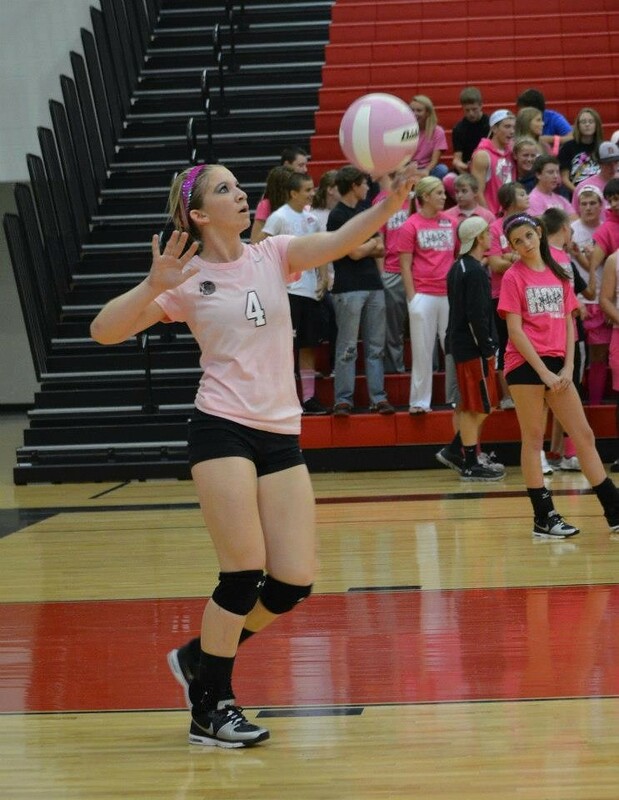 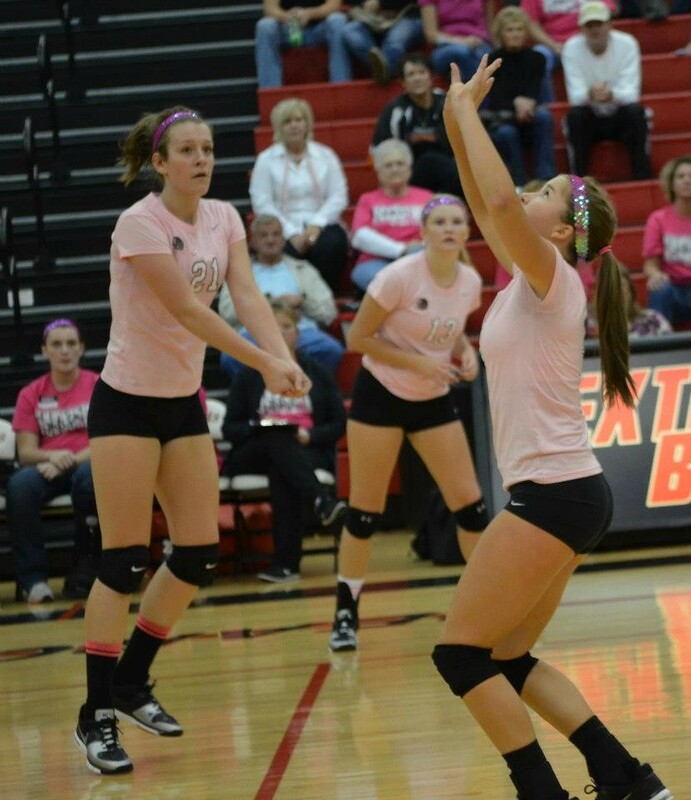 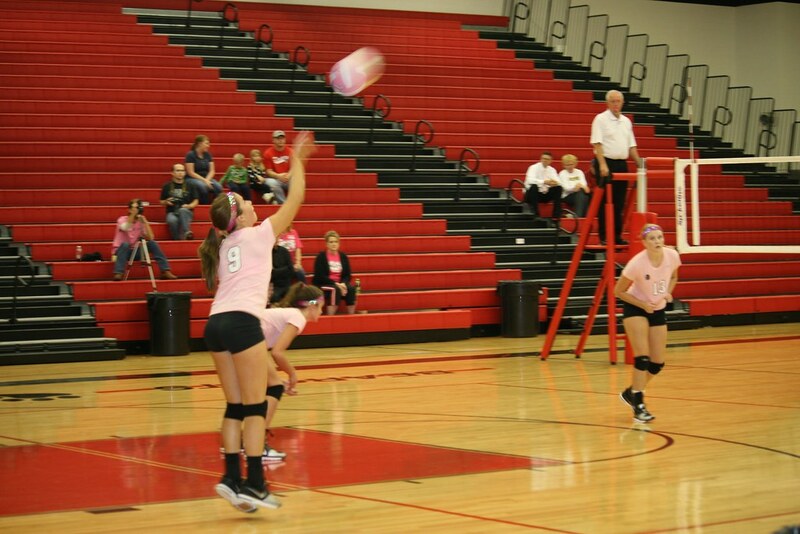 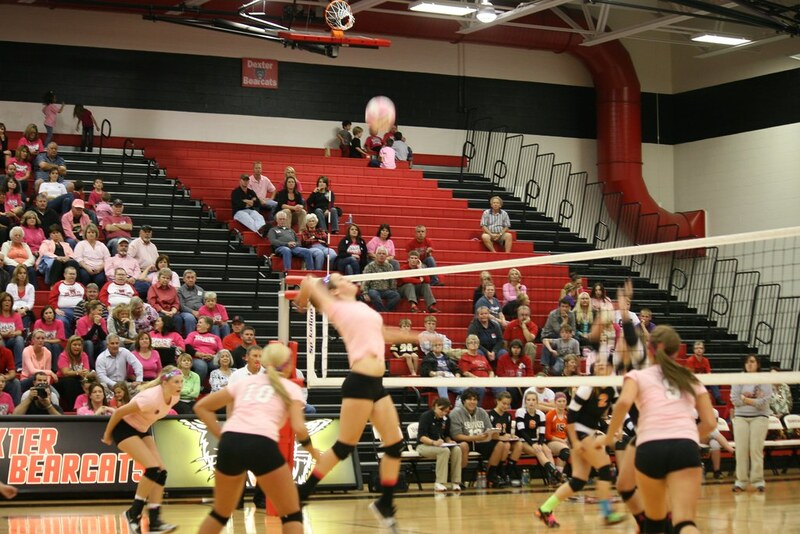 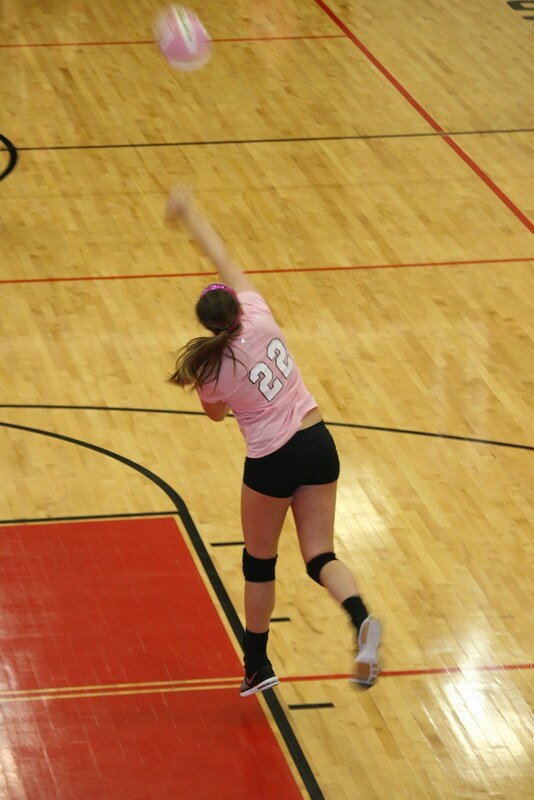 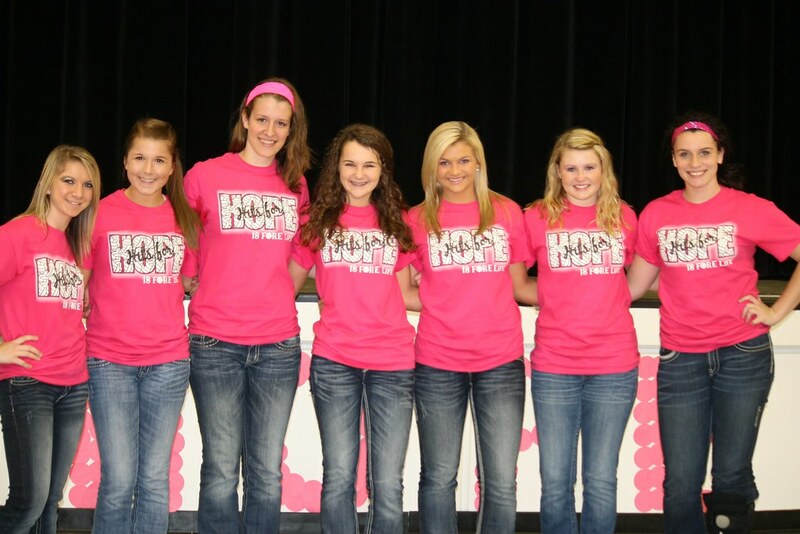 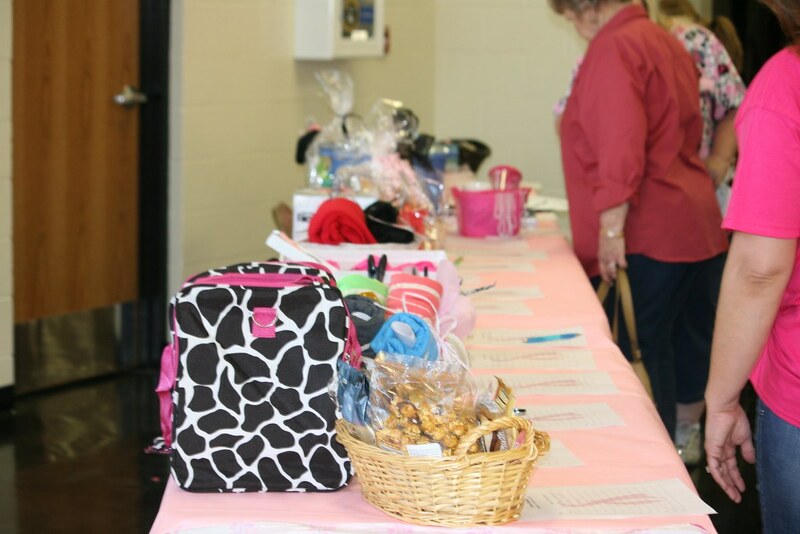 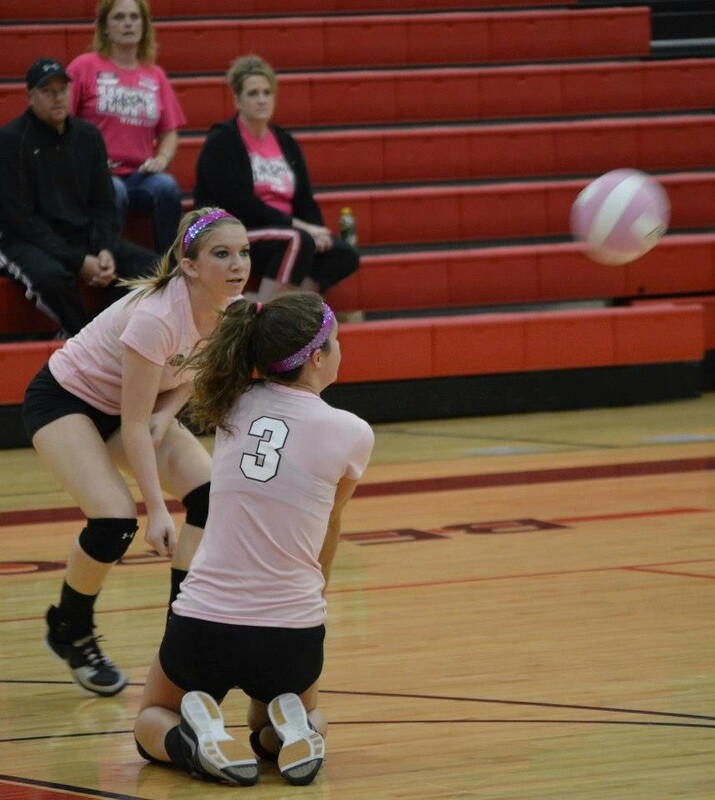 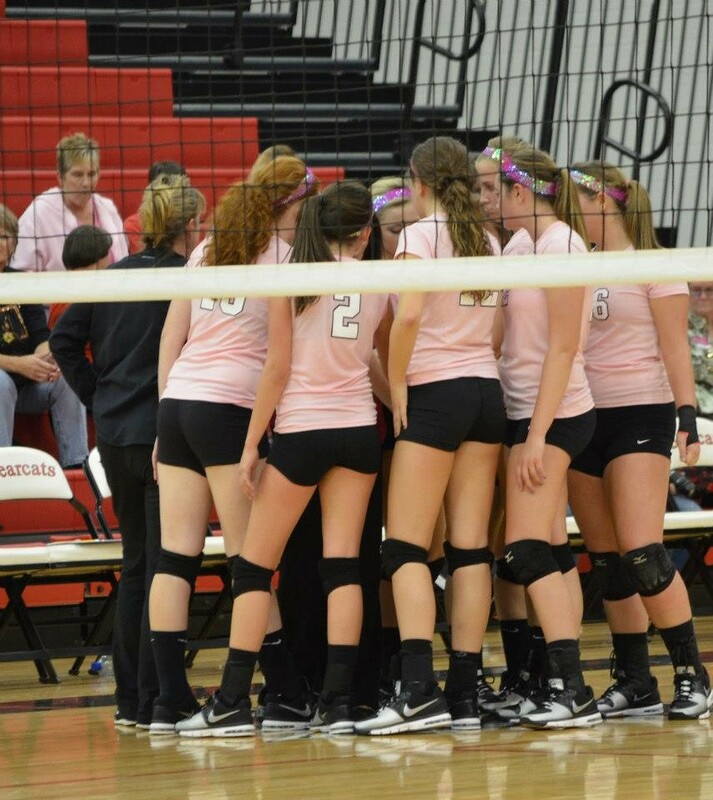 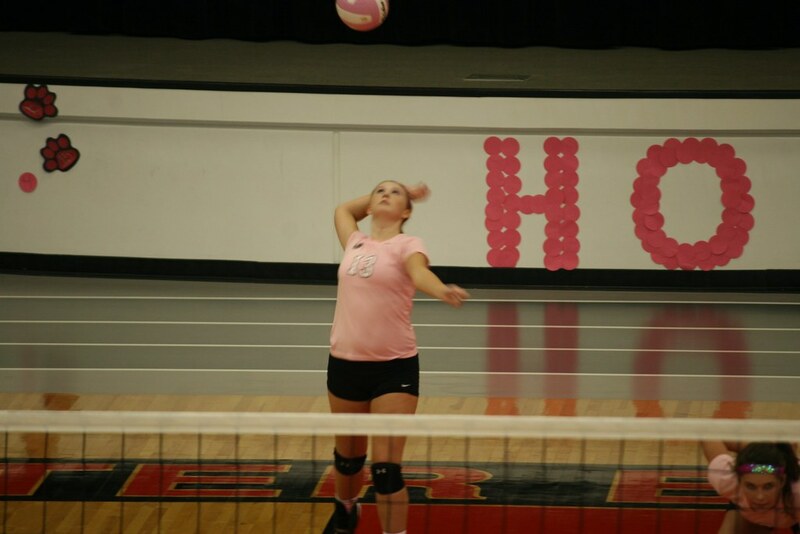 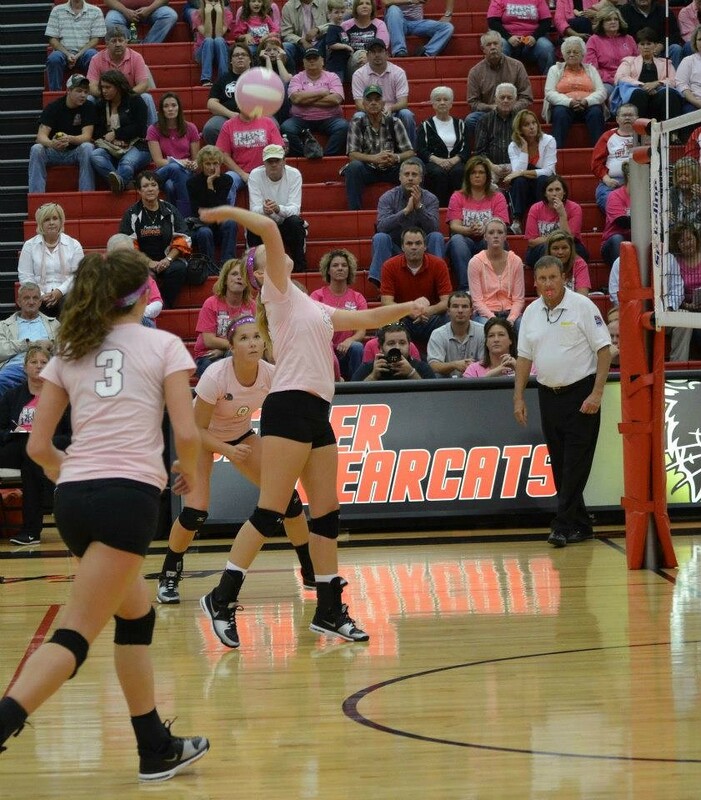 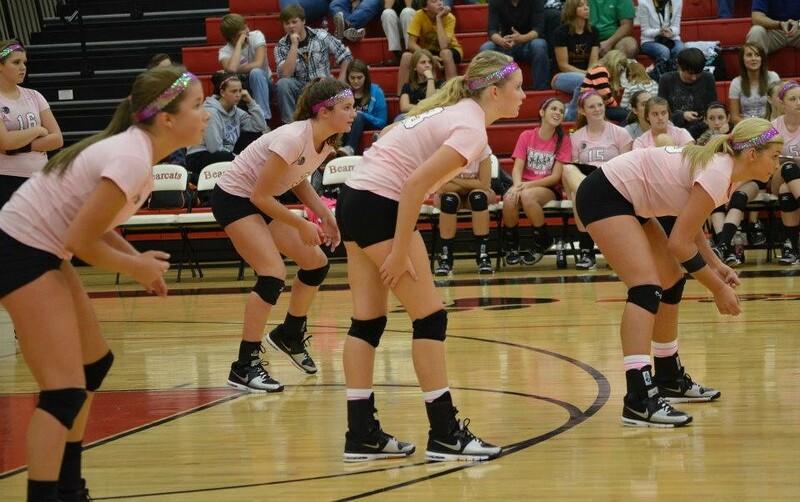 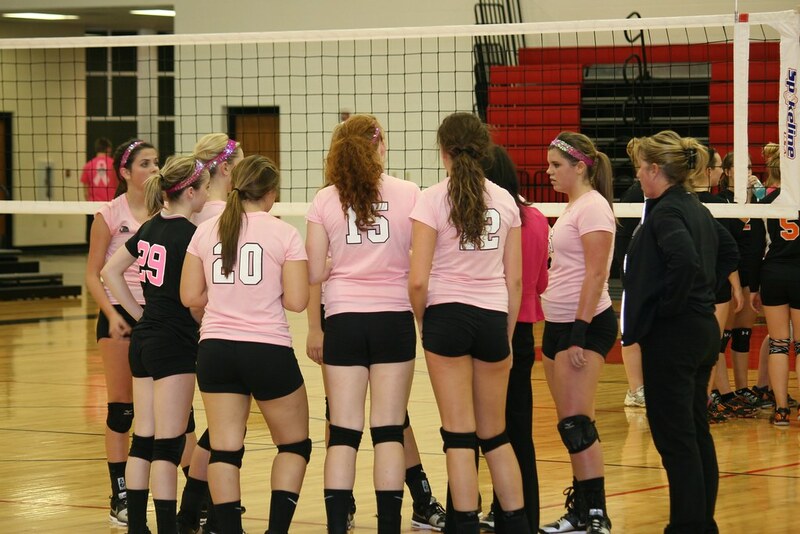 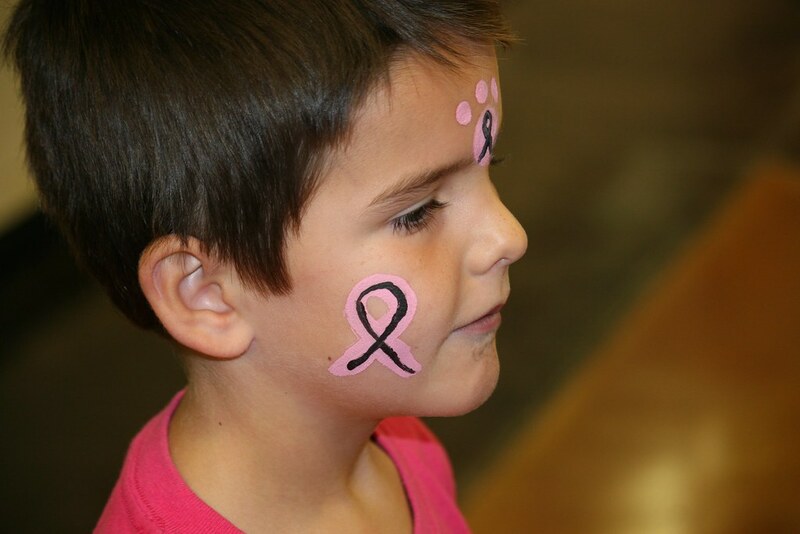 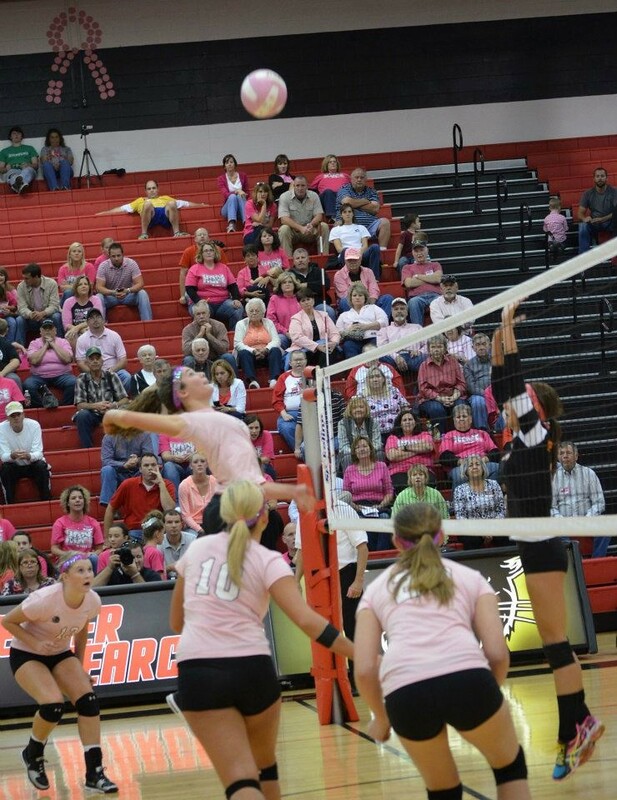 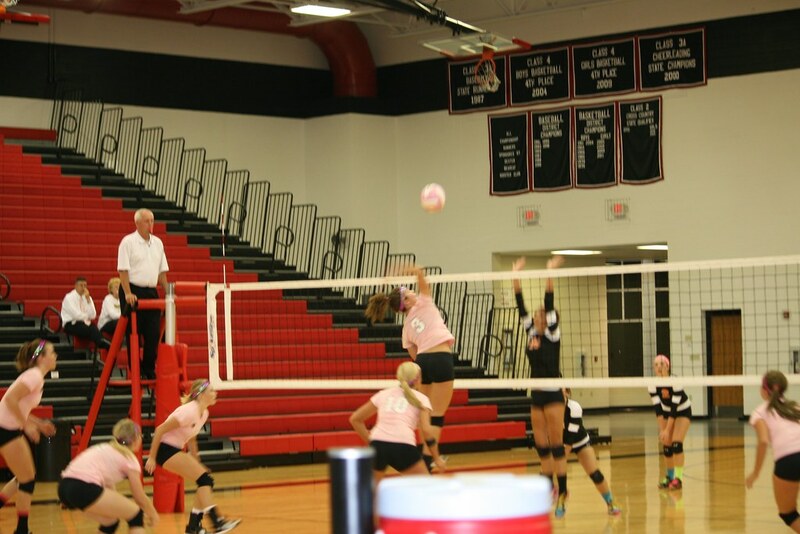 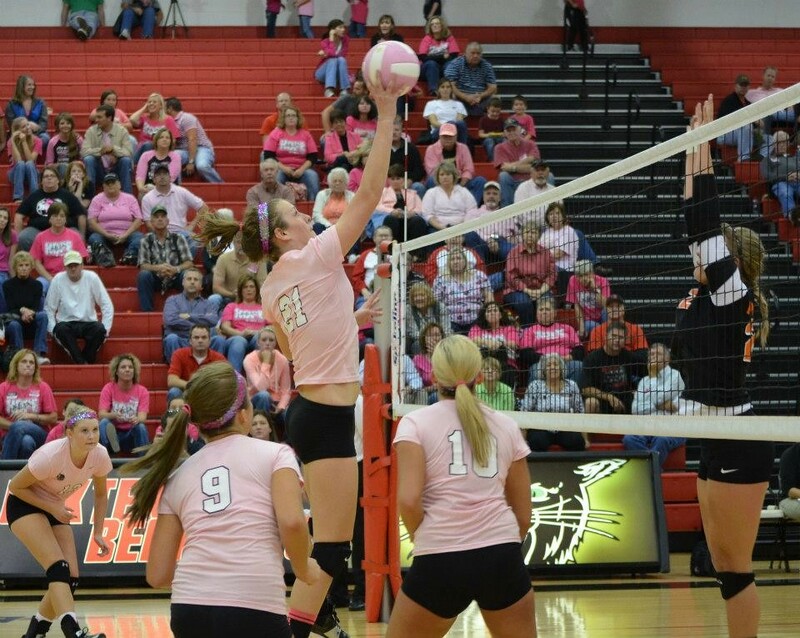 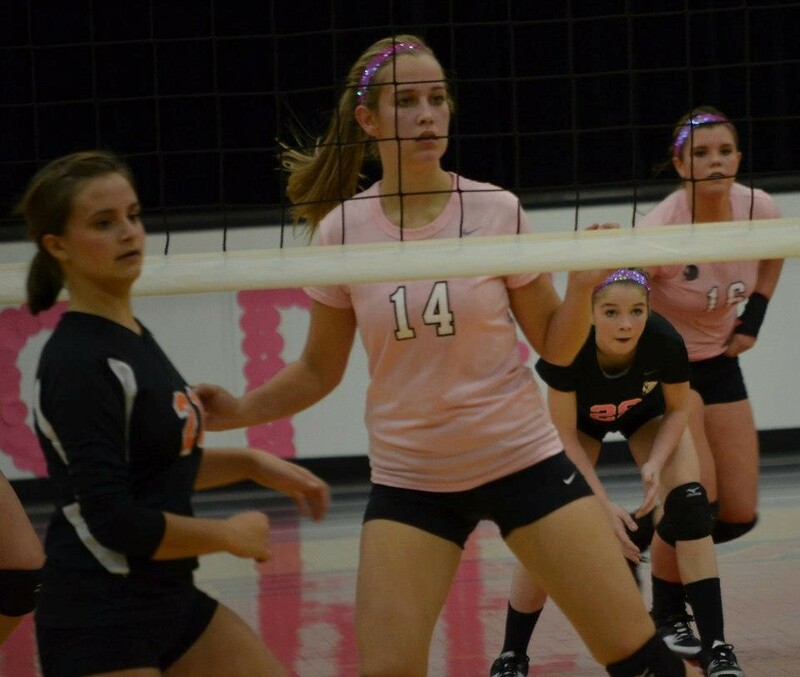 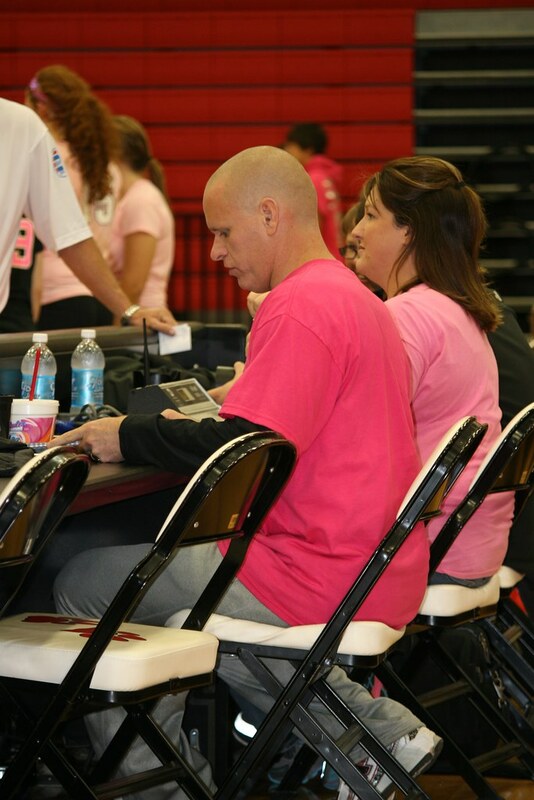 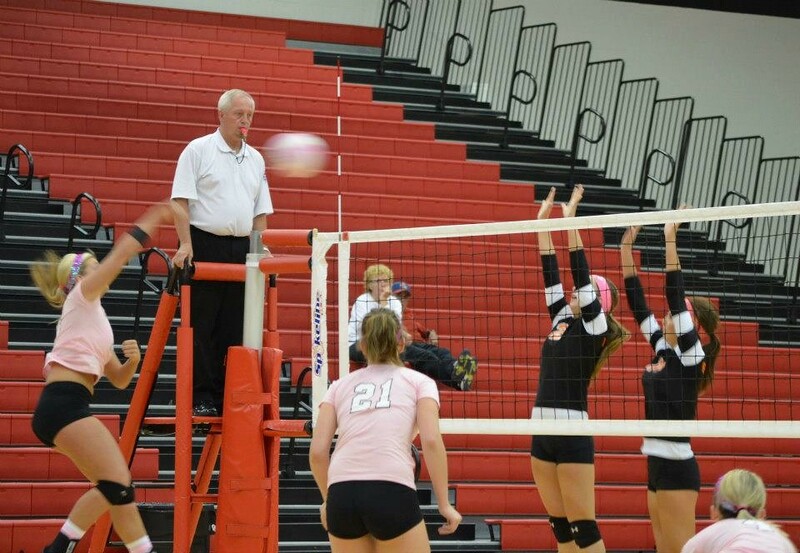 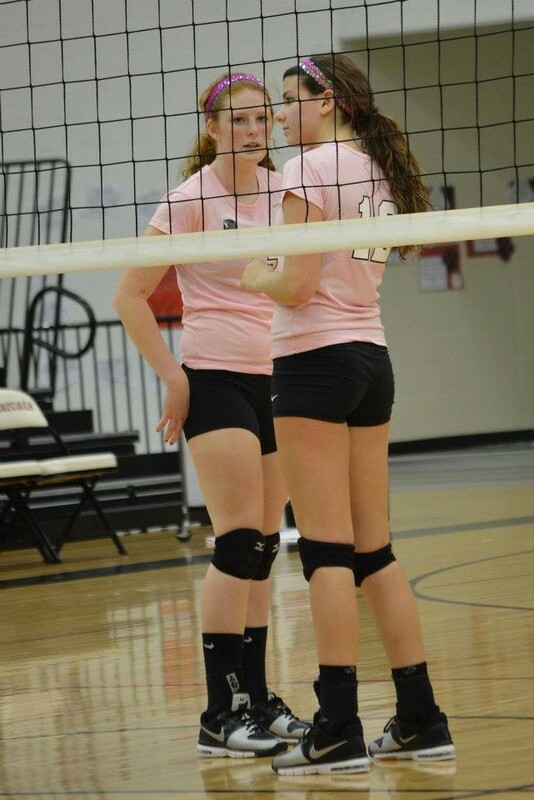 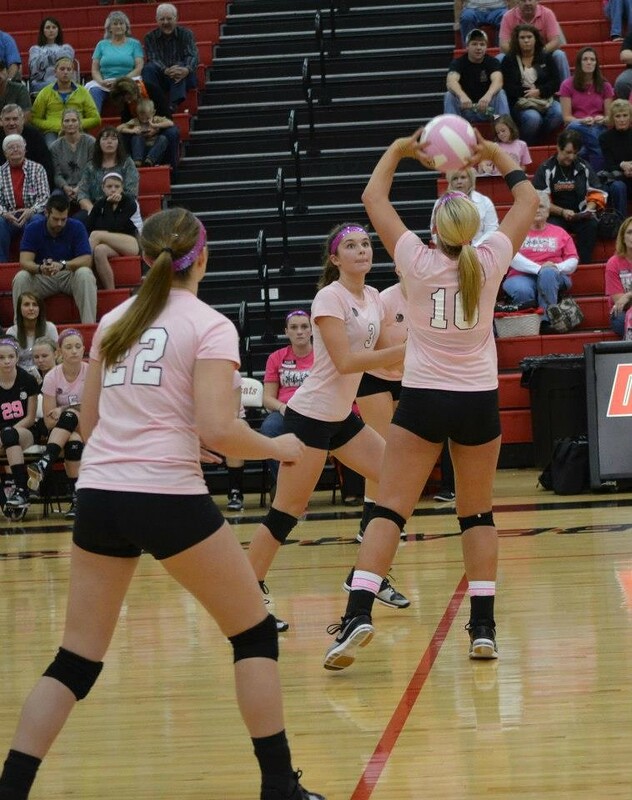 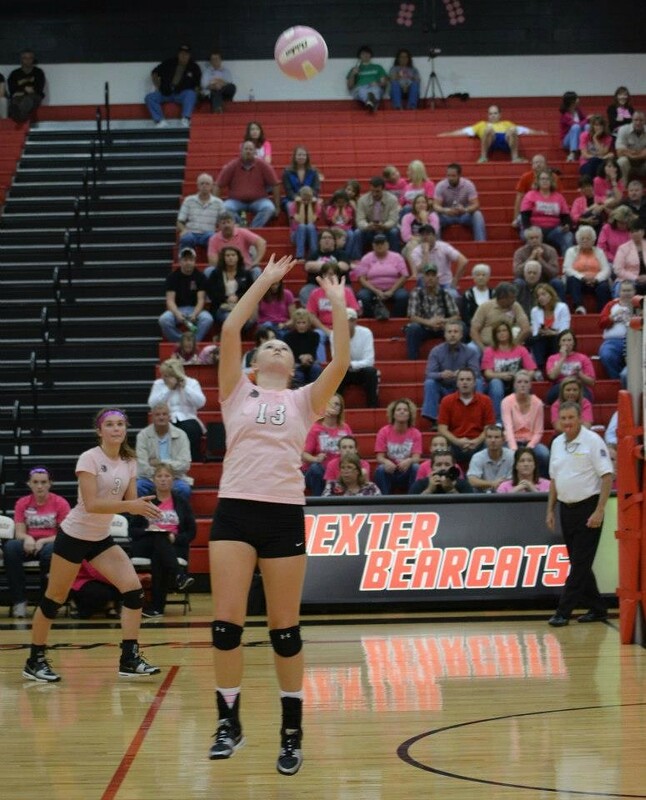 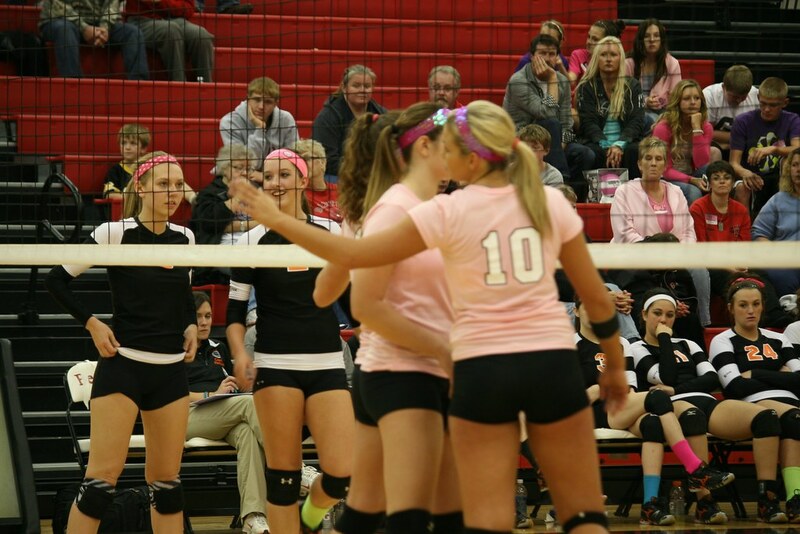 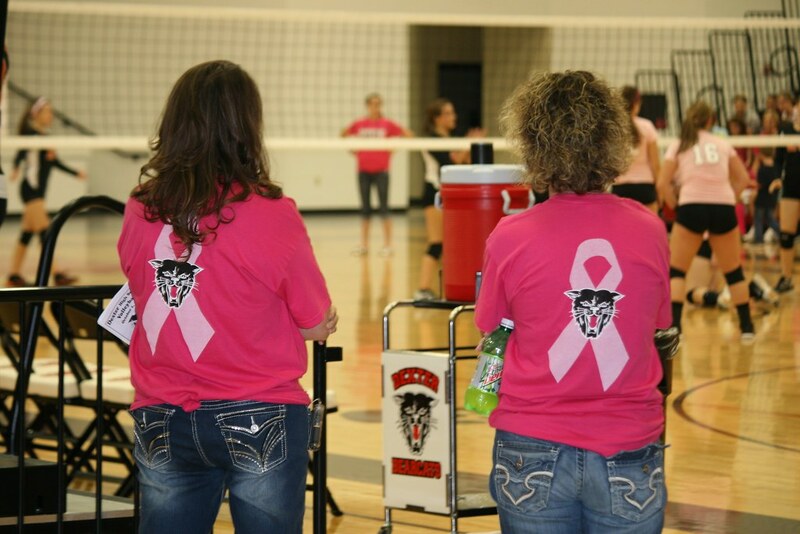 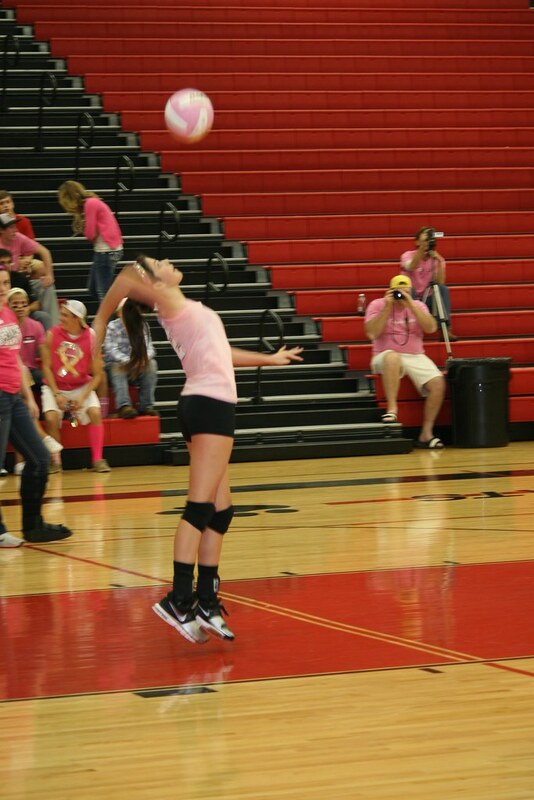 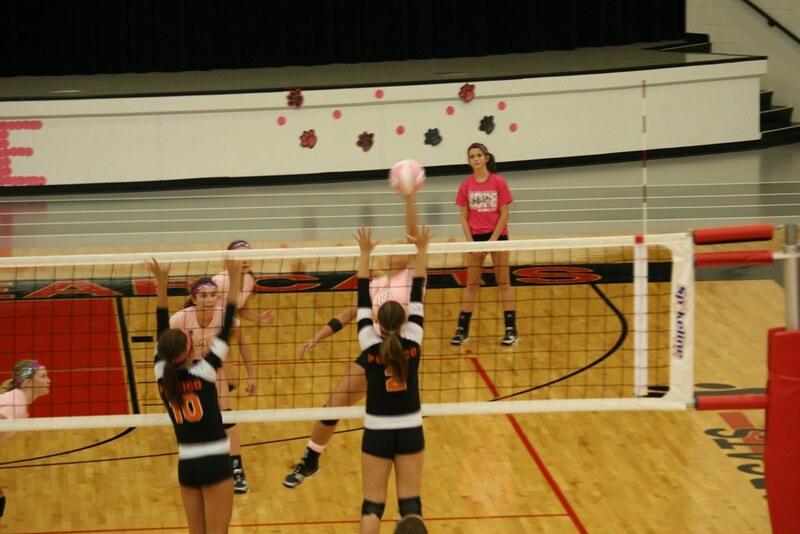 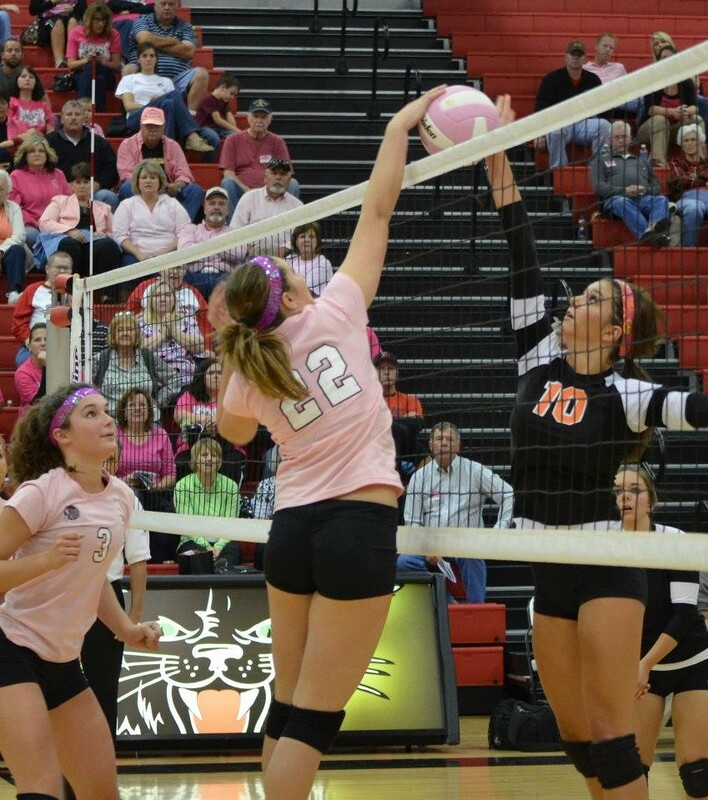 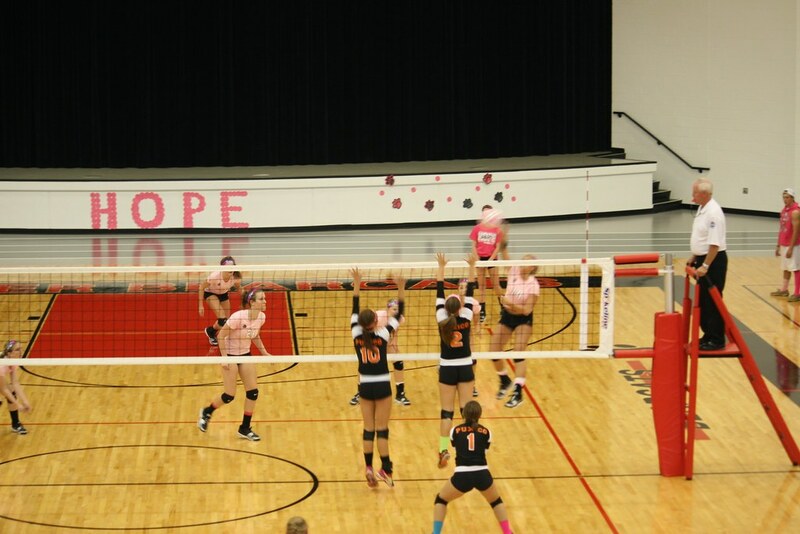 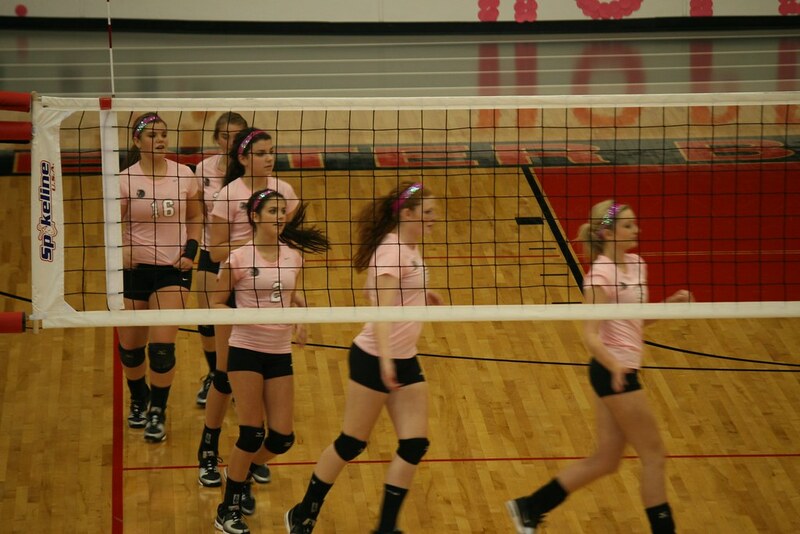 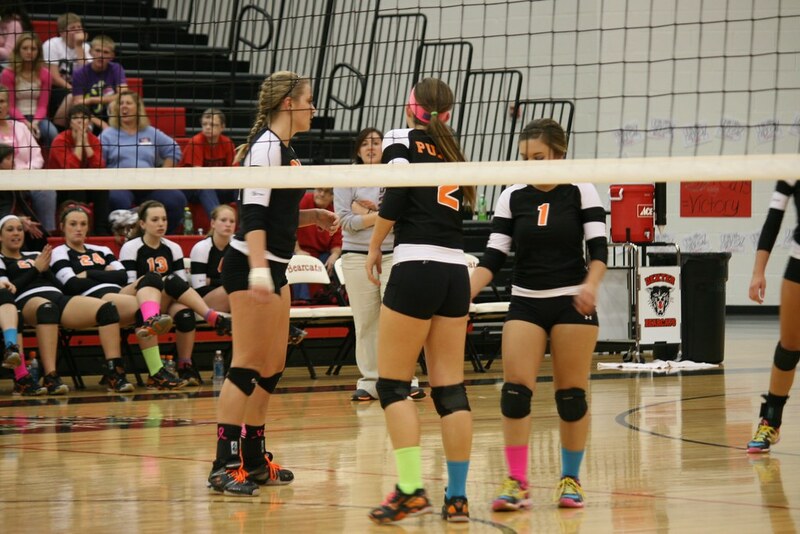 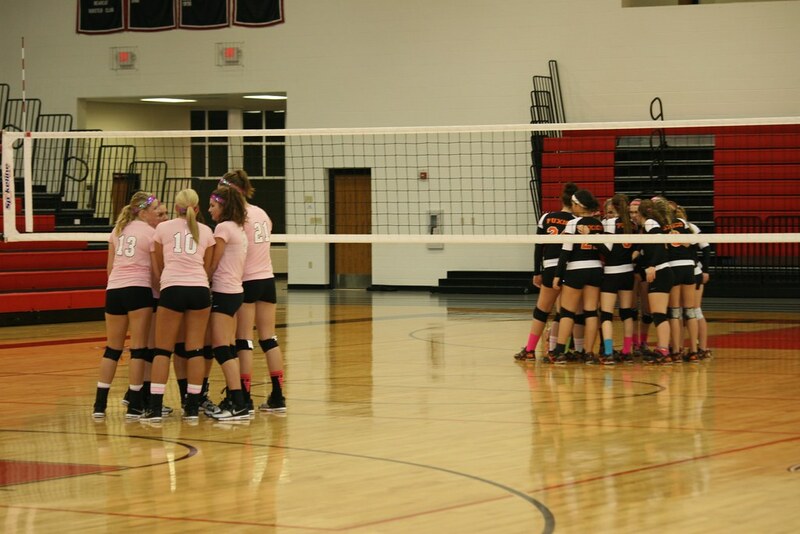 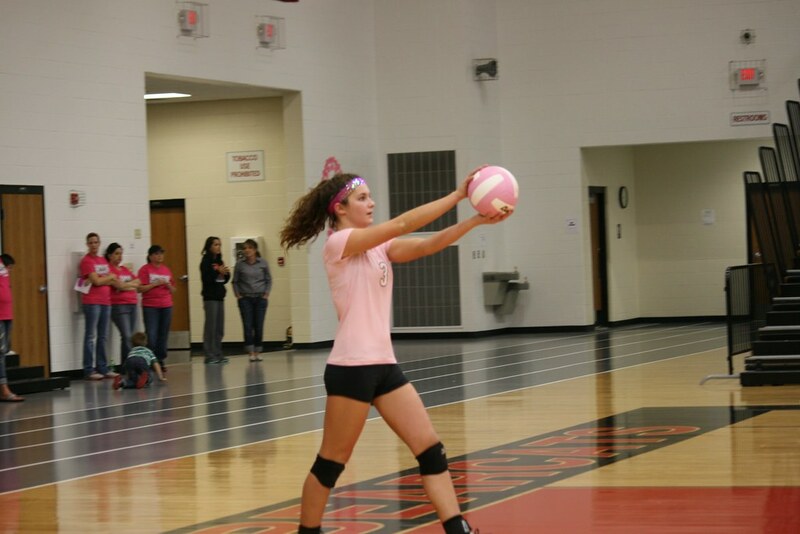 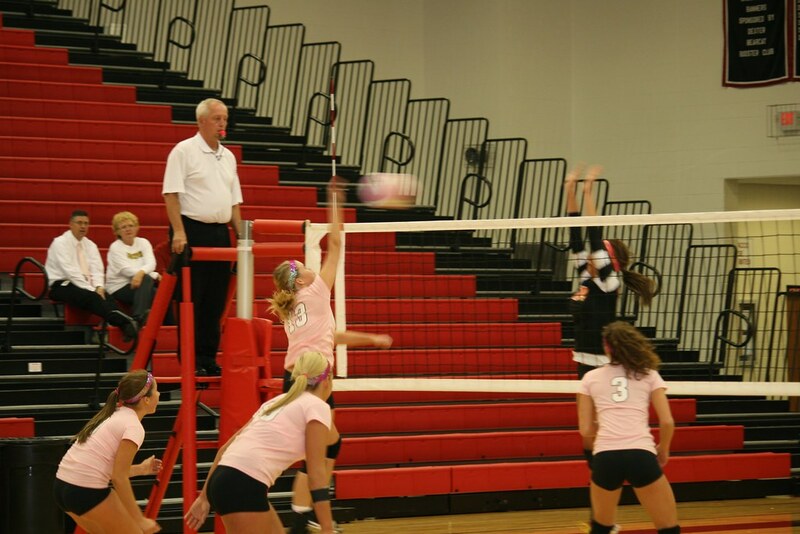 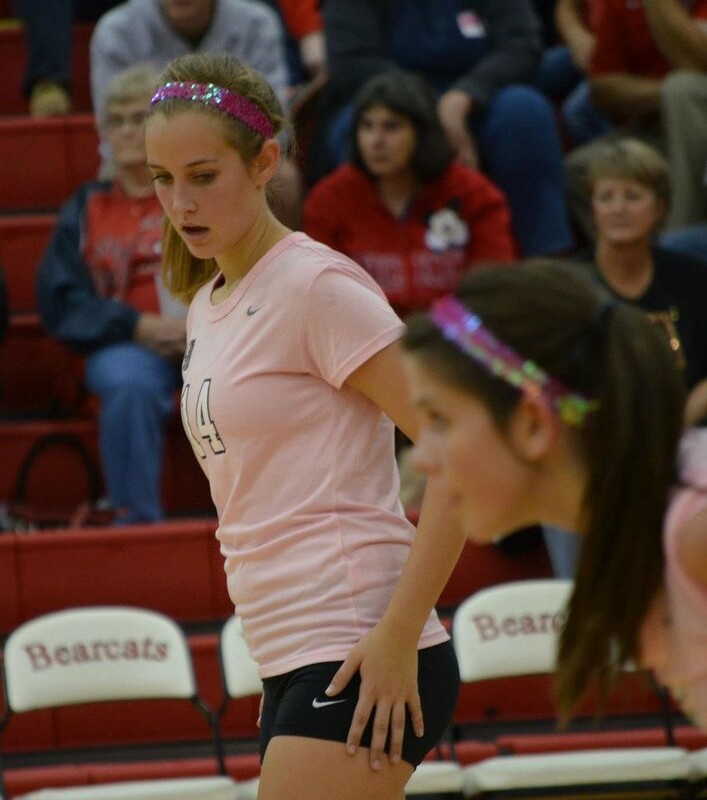 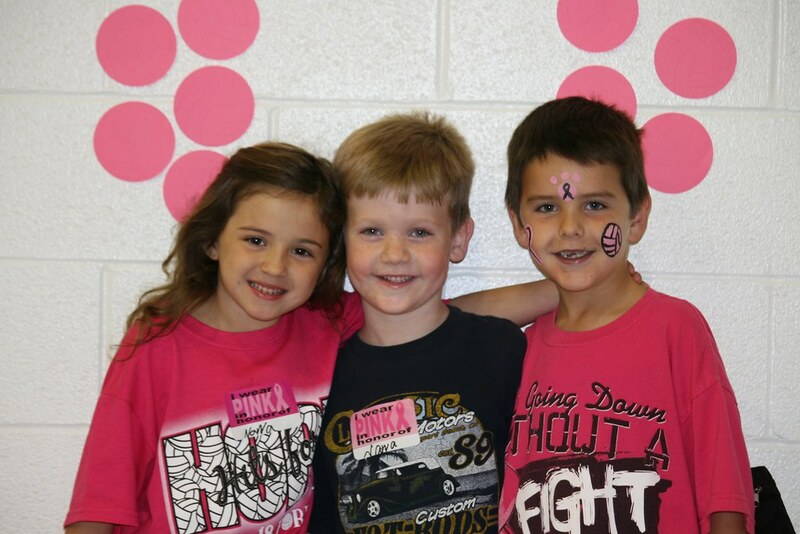 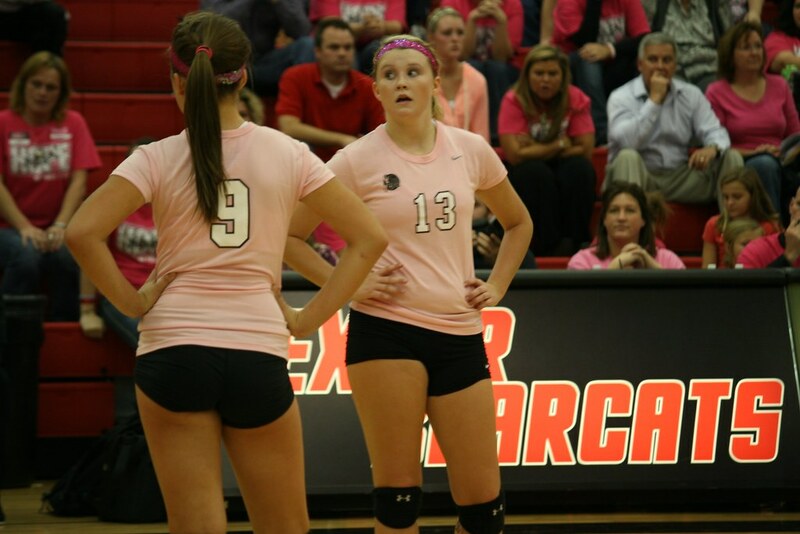 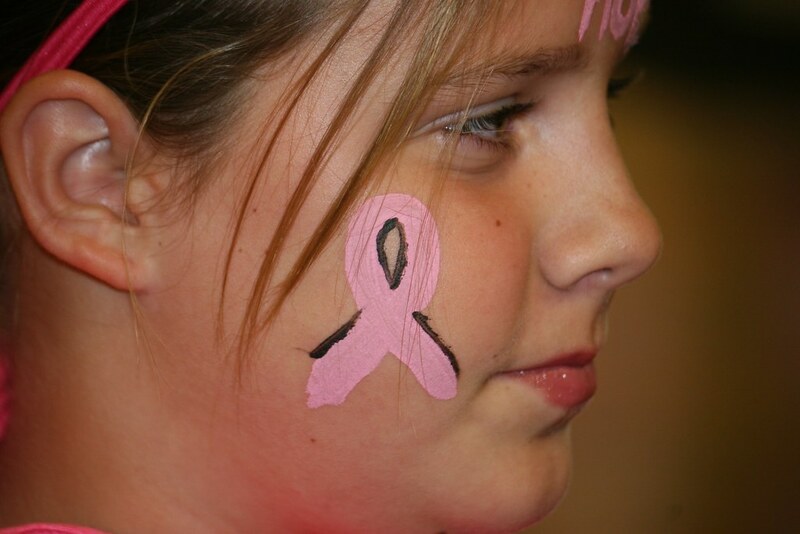 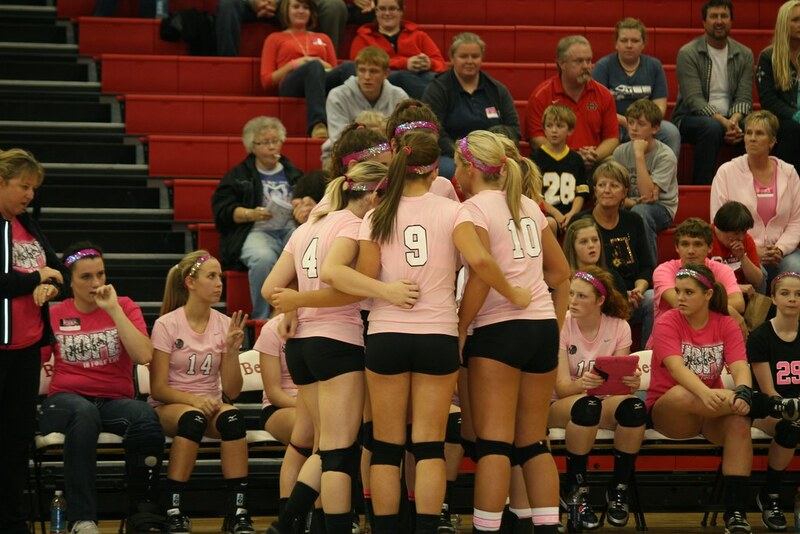 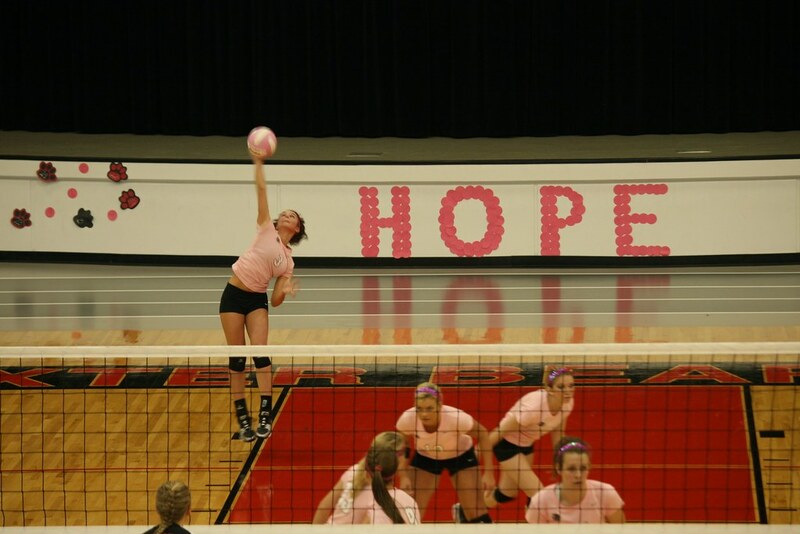 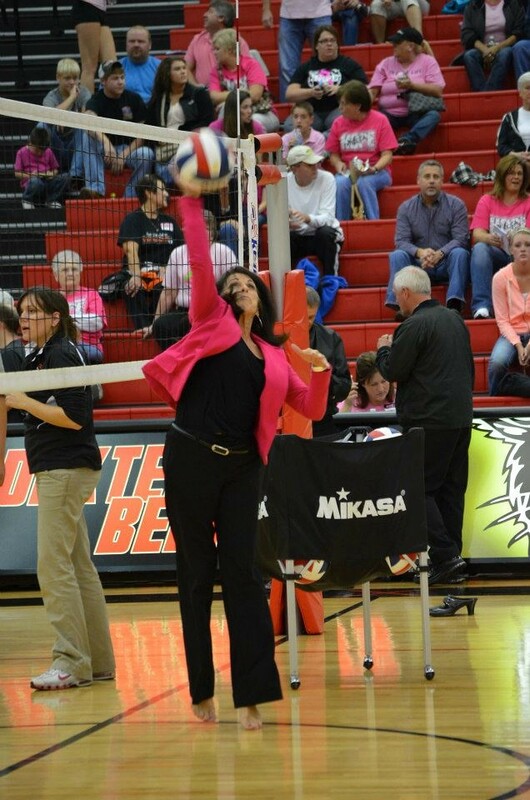 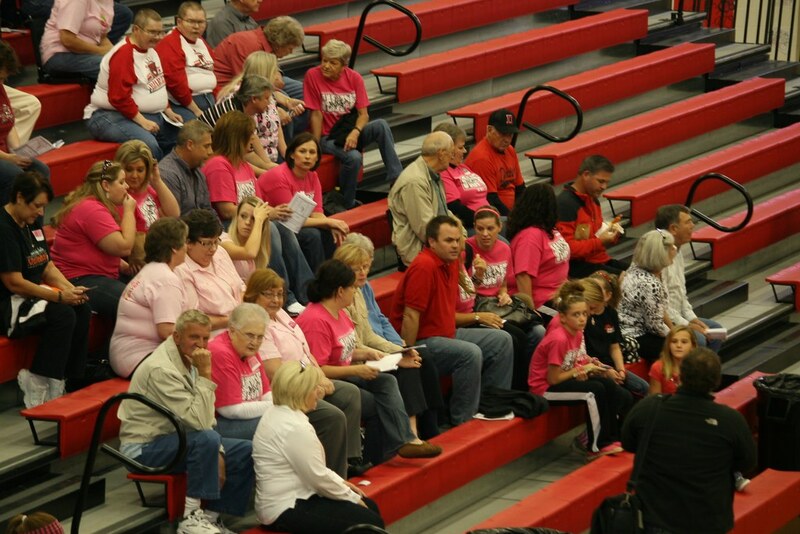 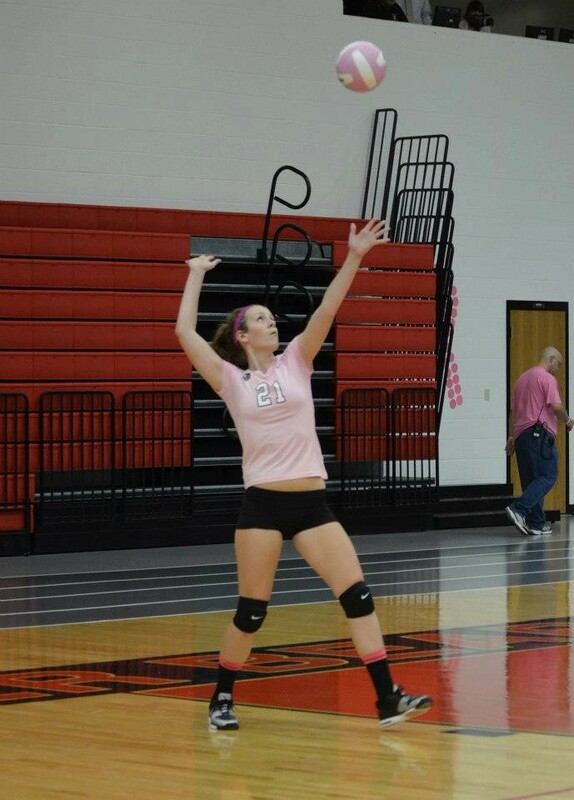 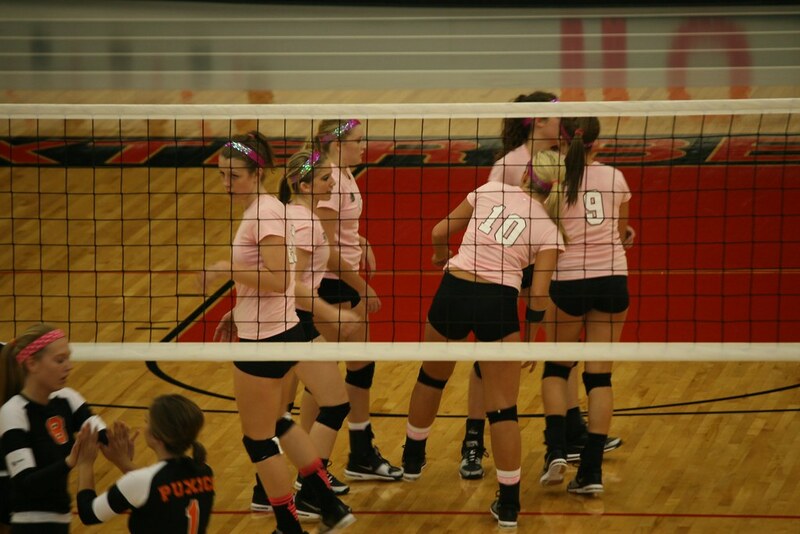 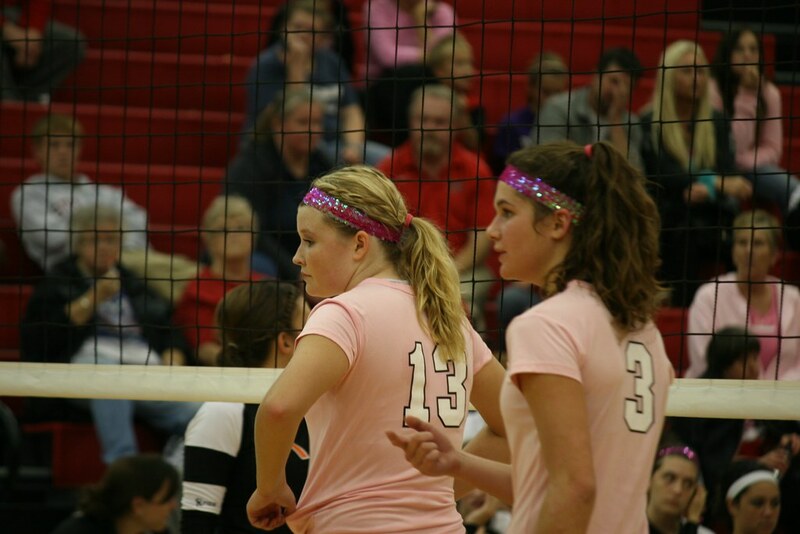 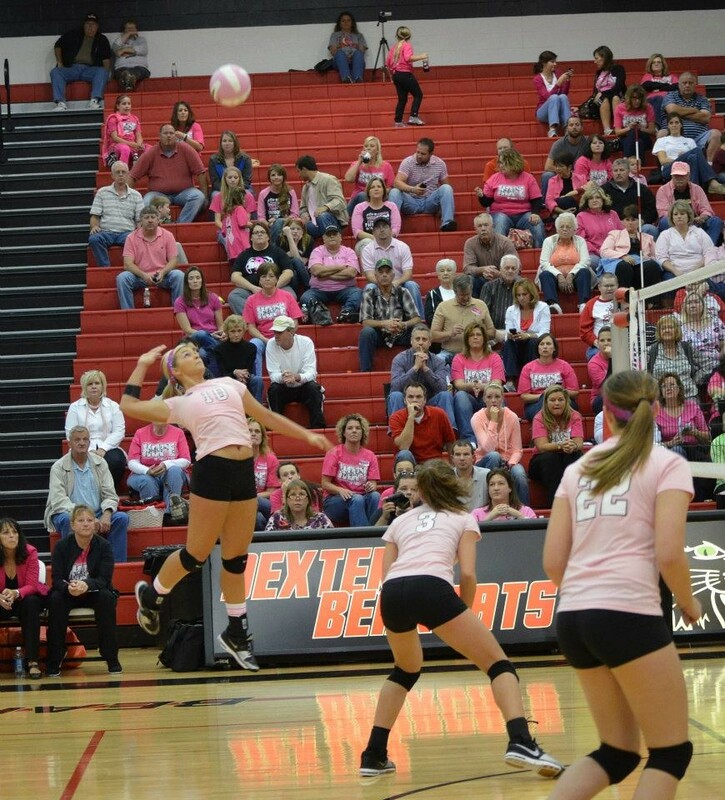 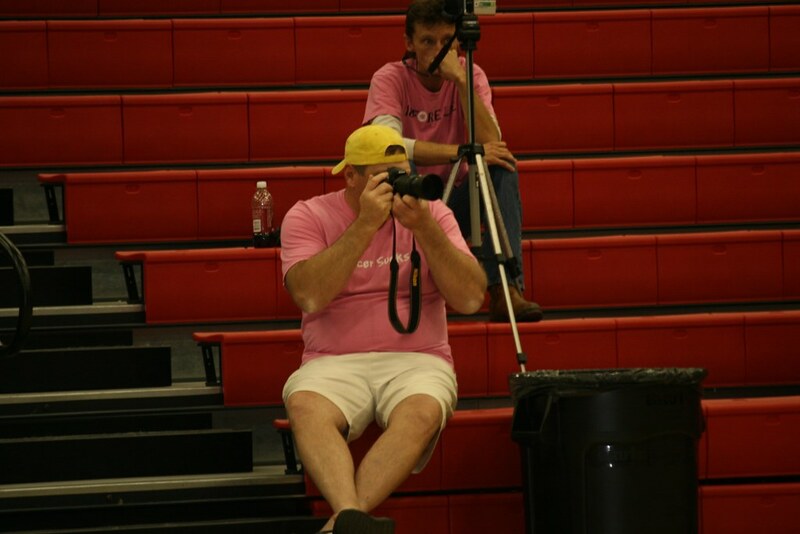 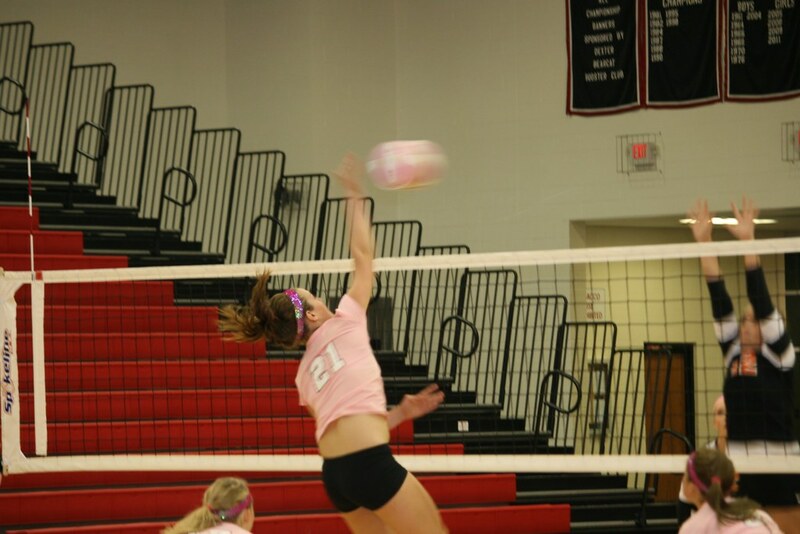 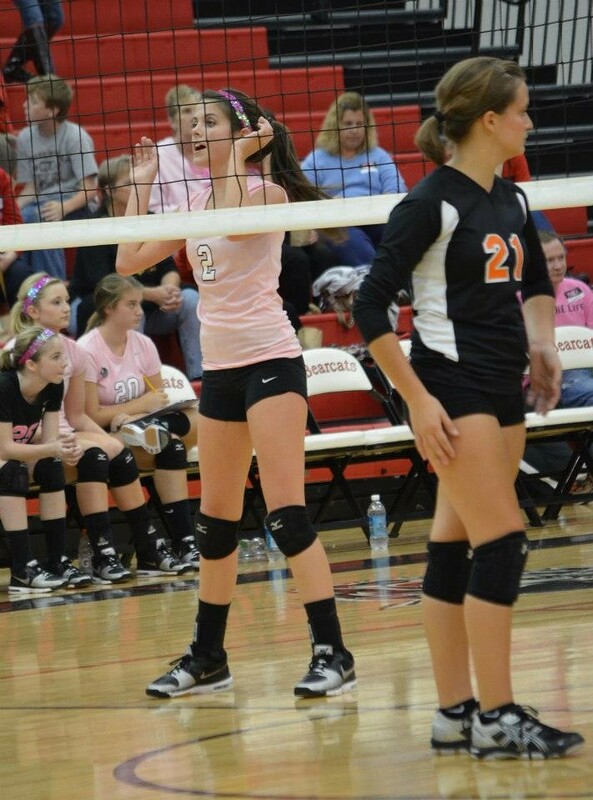 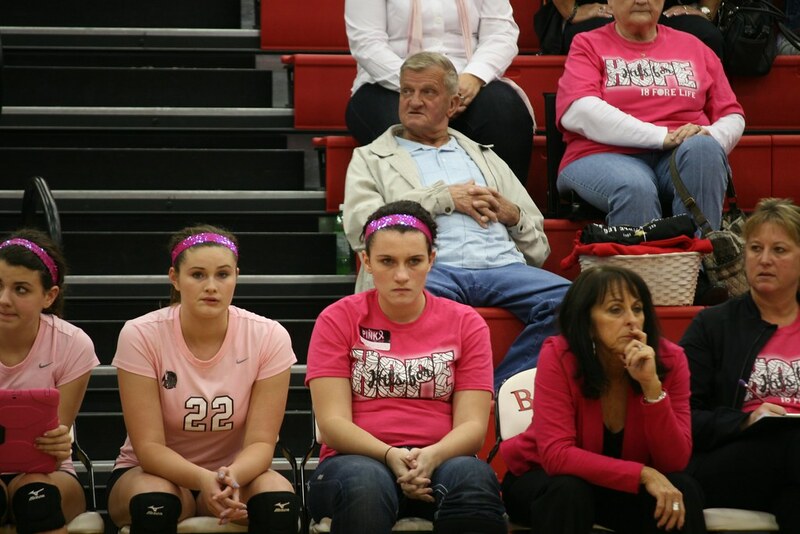 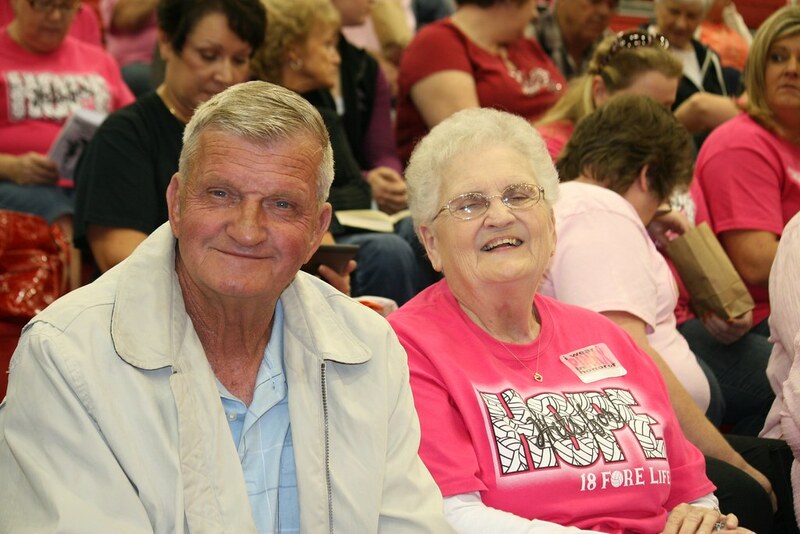 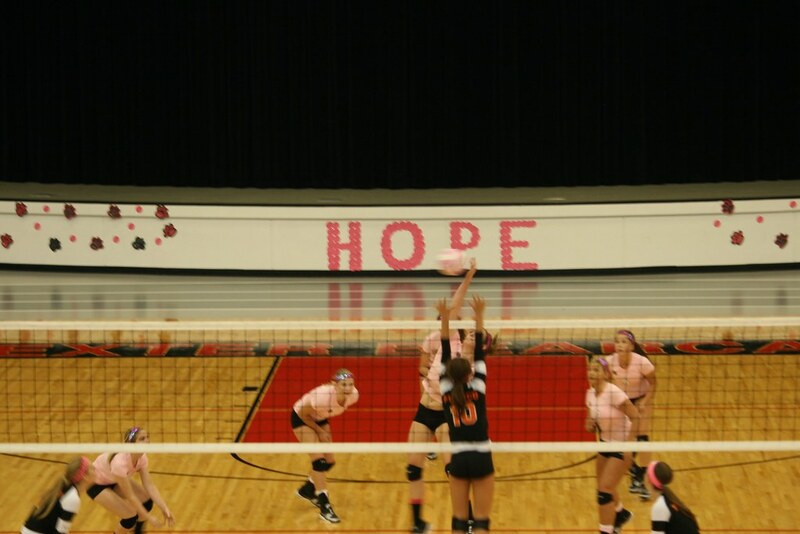 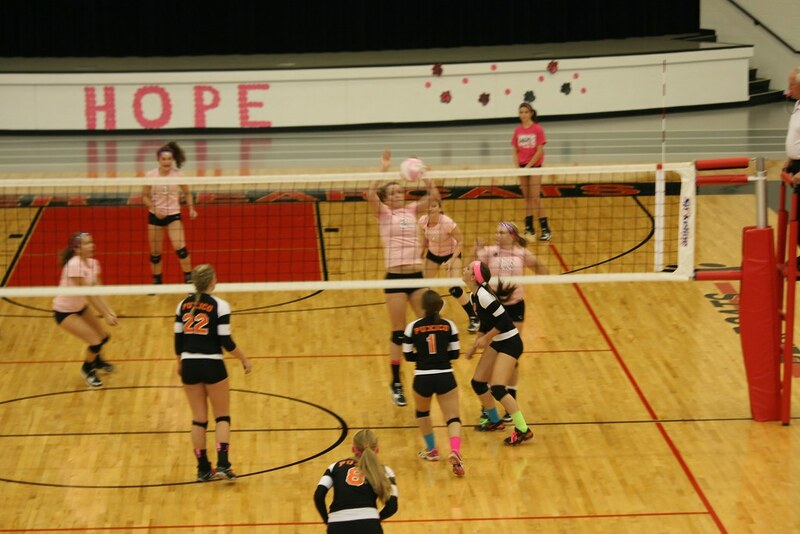 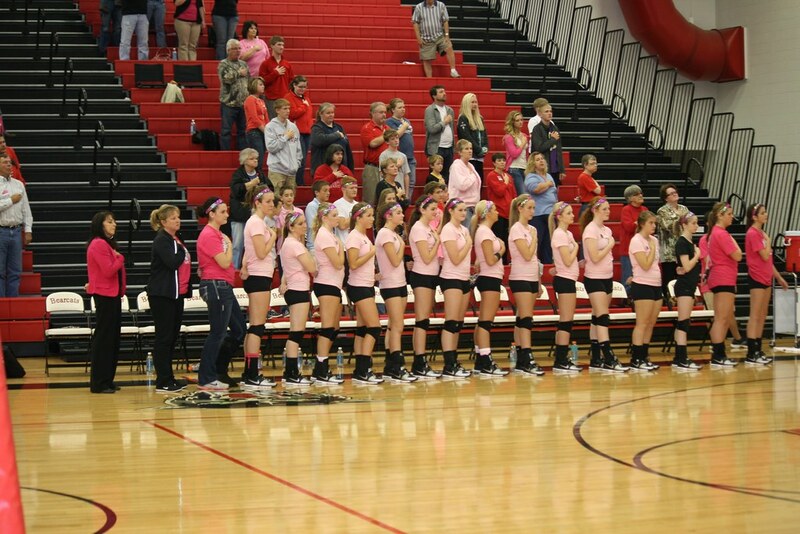 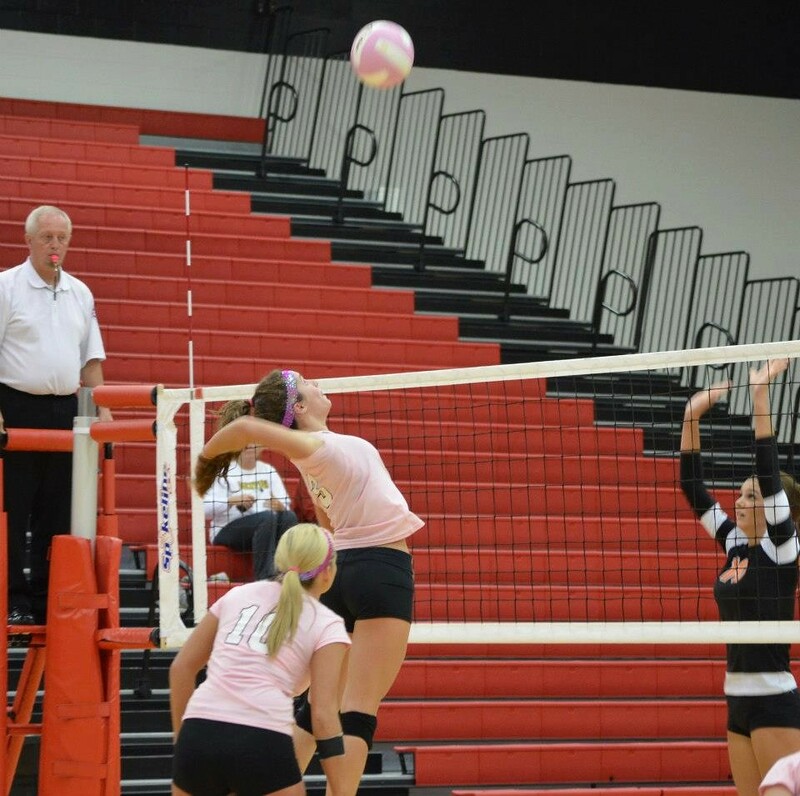 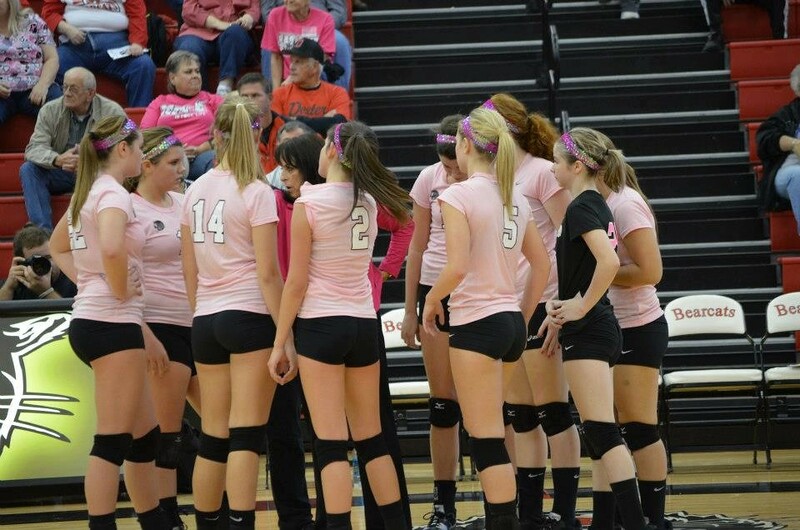 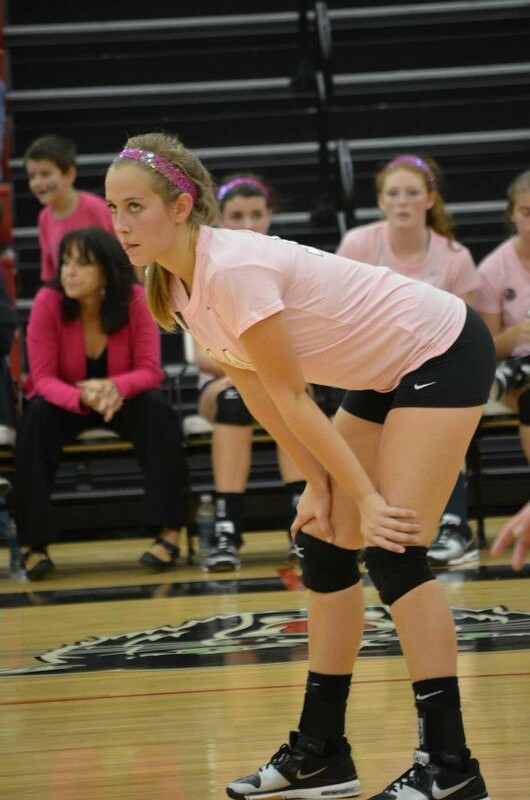 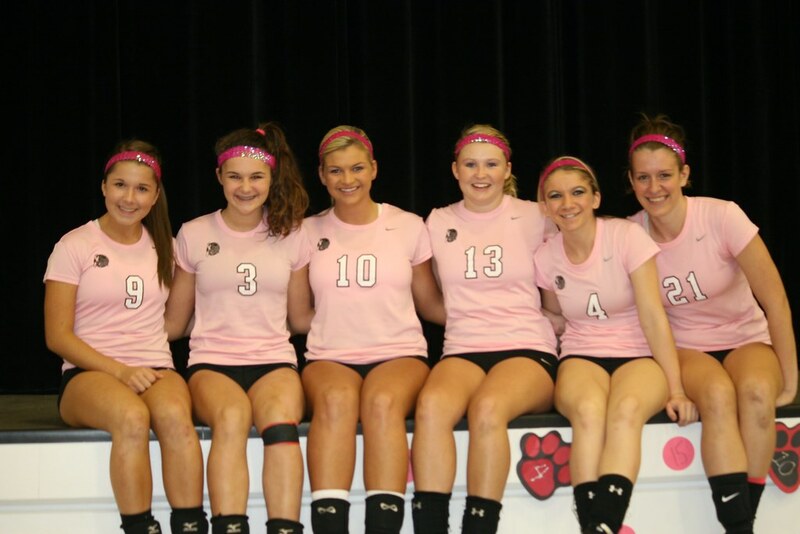 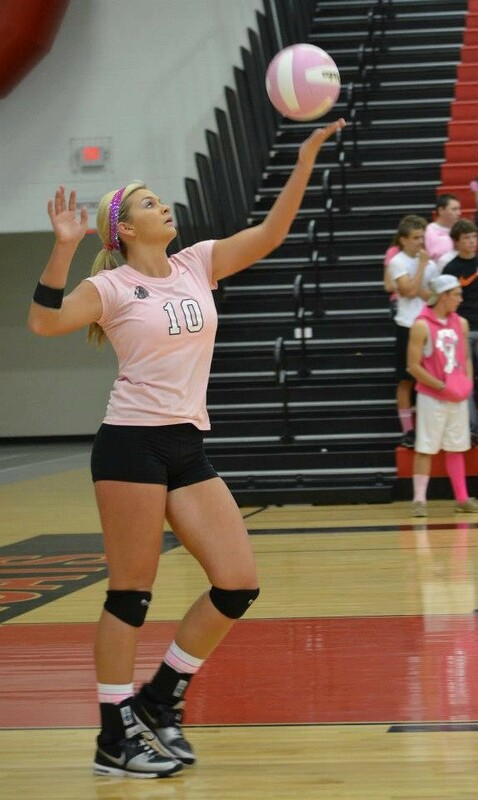 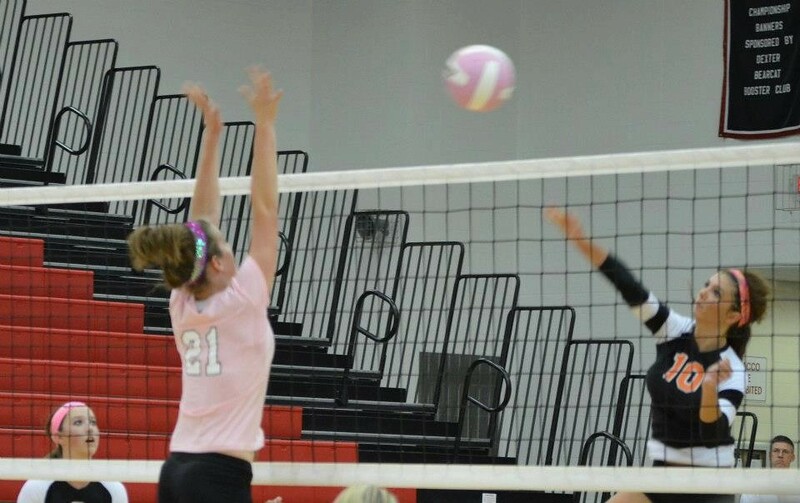 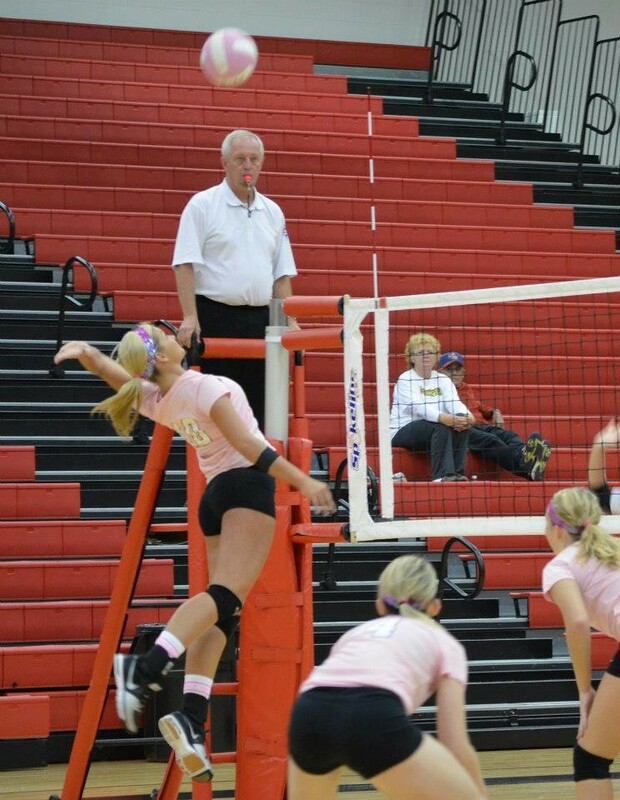 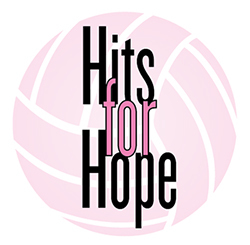 Several area volleyball teams, including Bernie, Bloomfield, and Richland have since hosted their own events, wearing the PINK uniforms and putting unique twists on the fundraising. 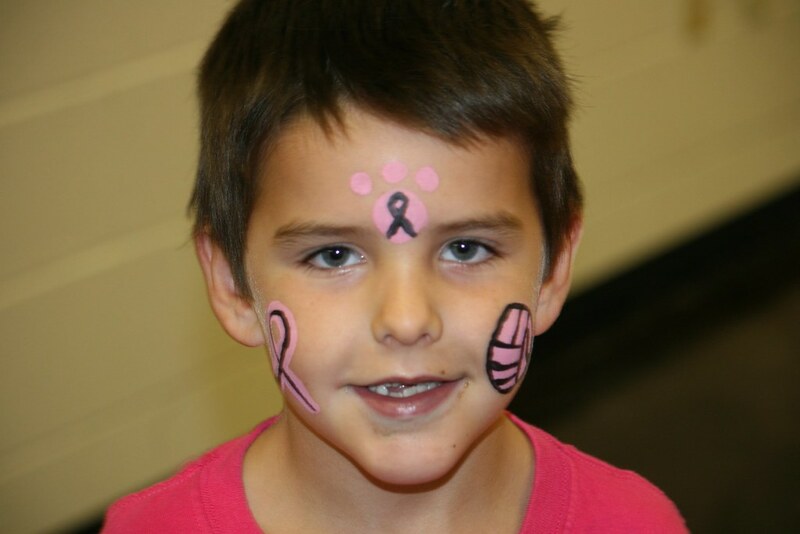 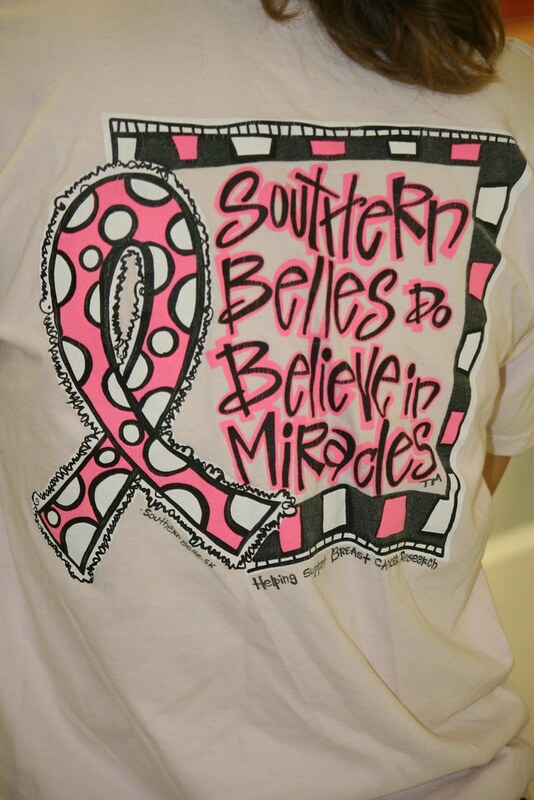 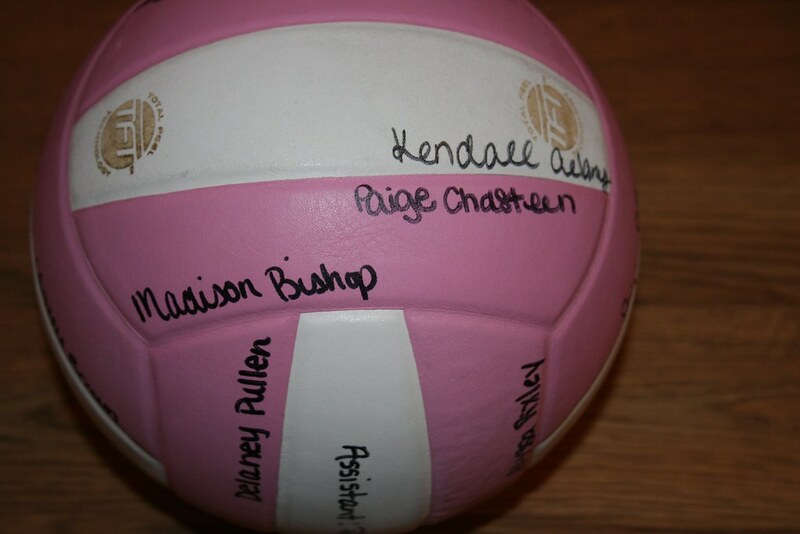 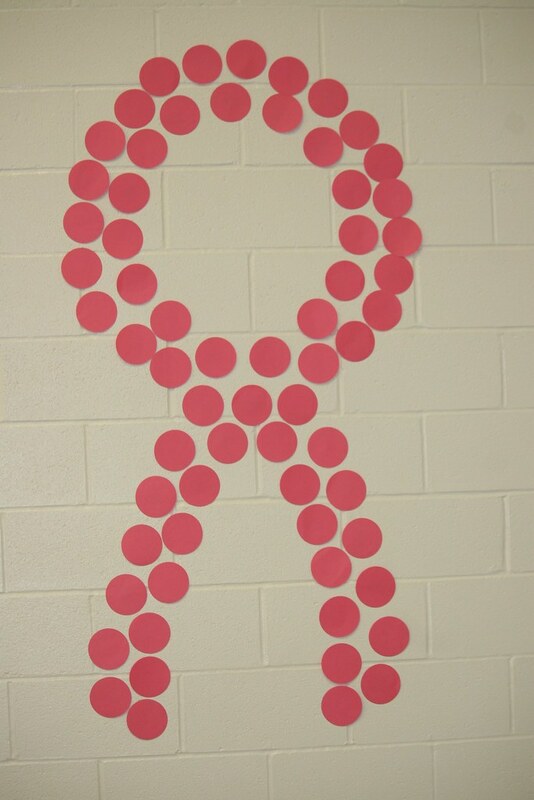 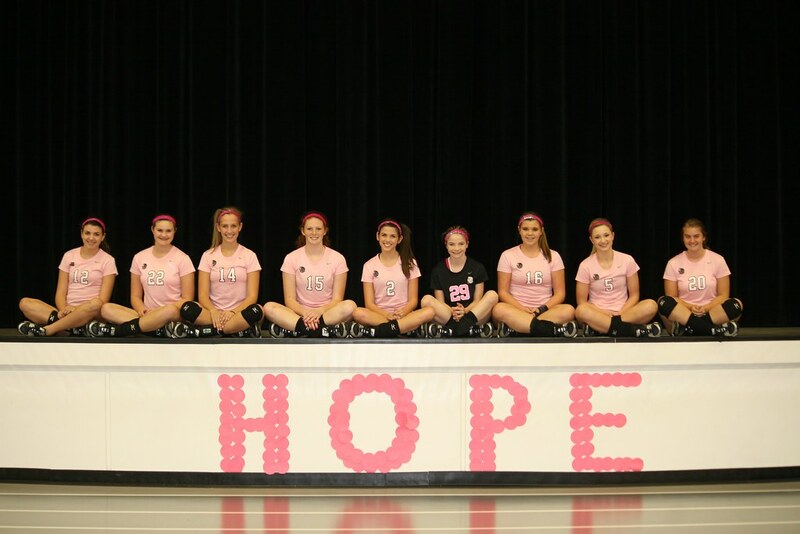 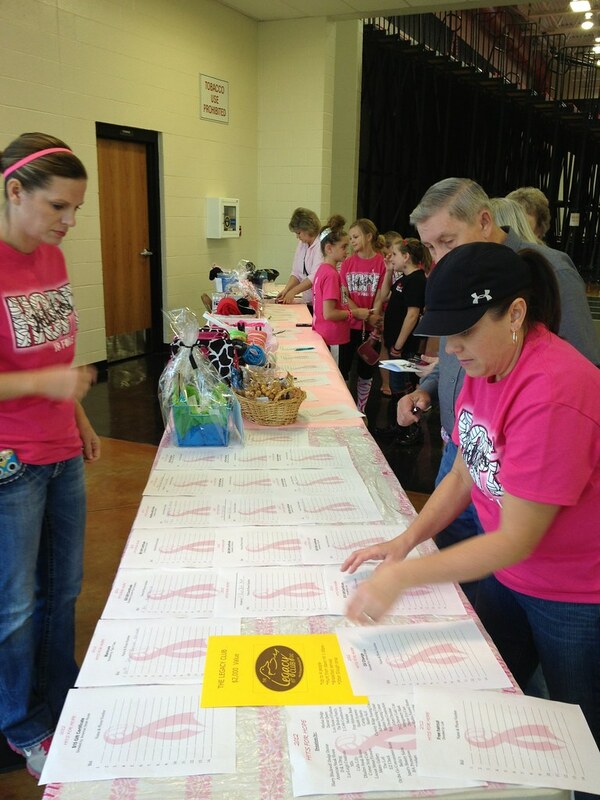 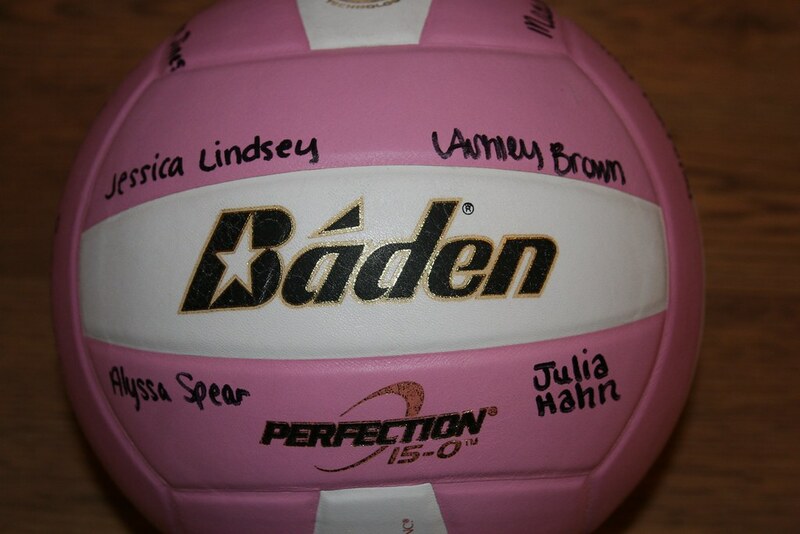 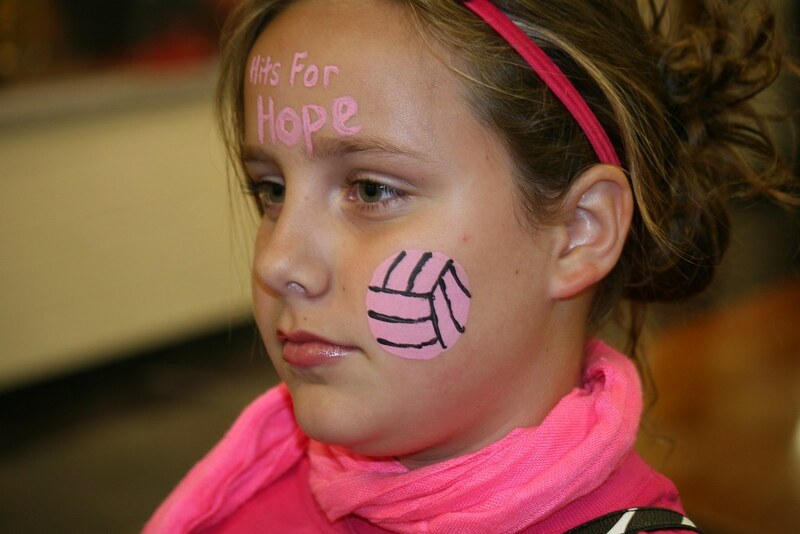 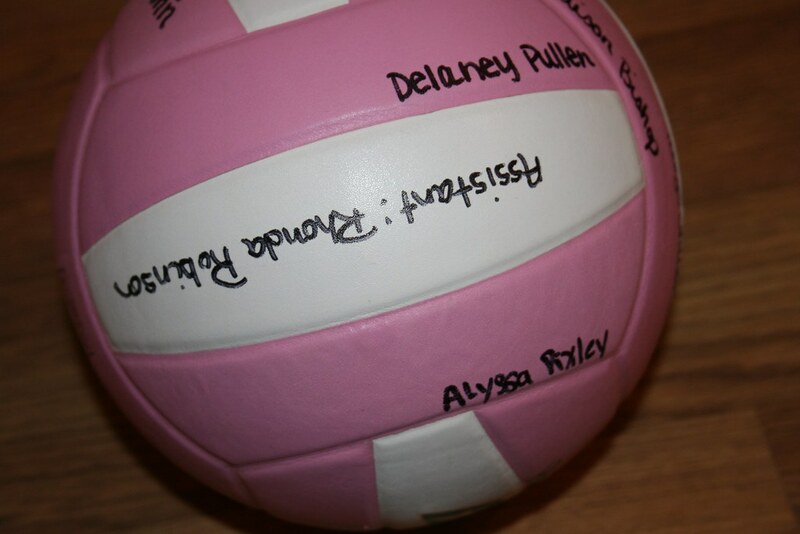 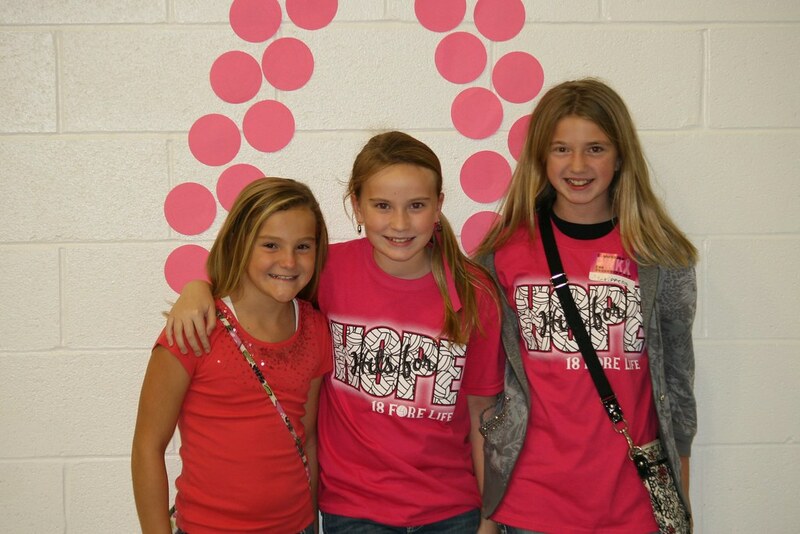 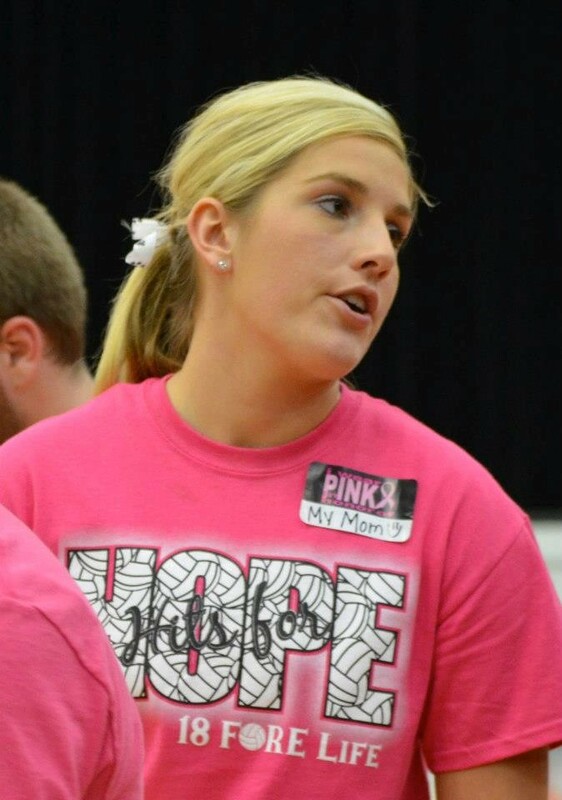 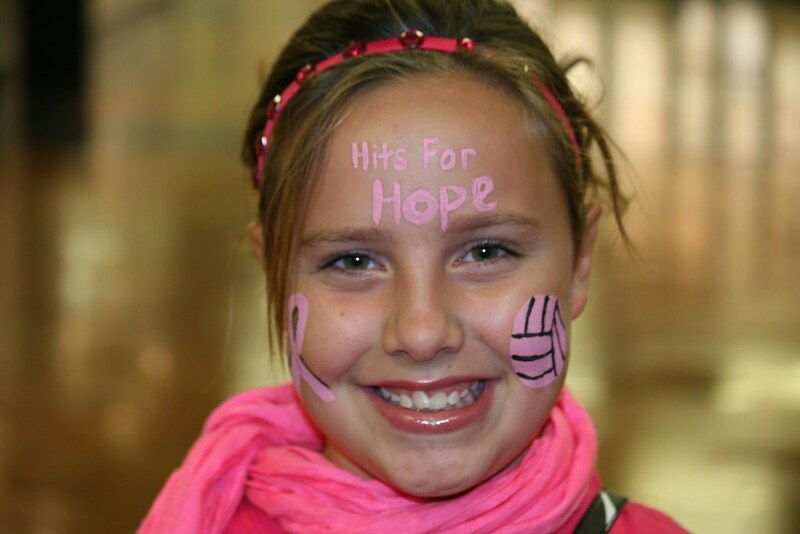 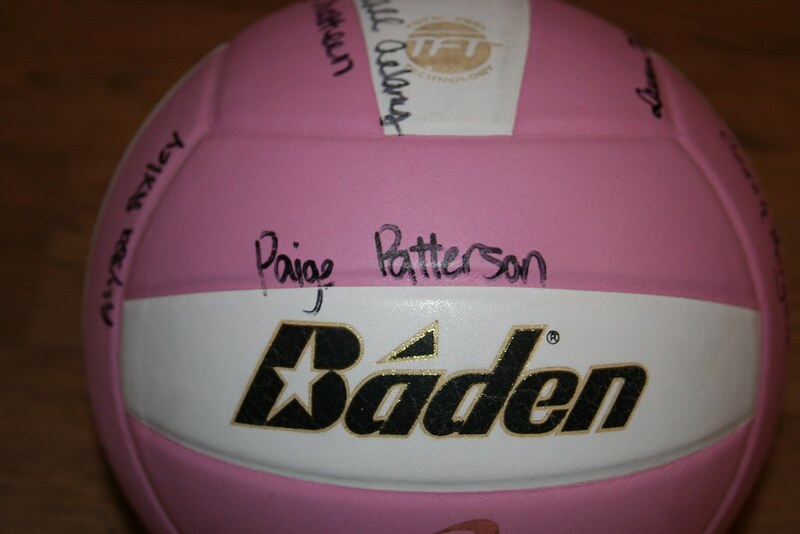 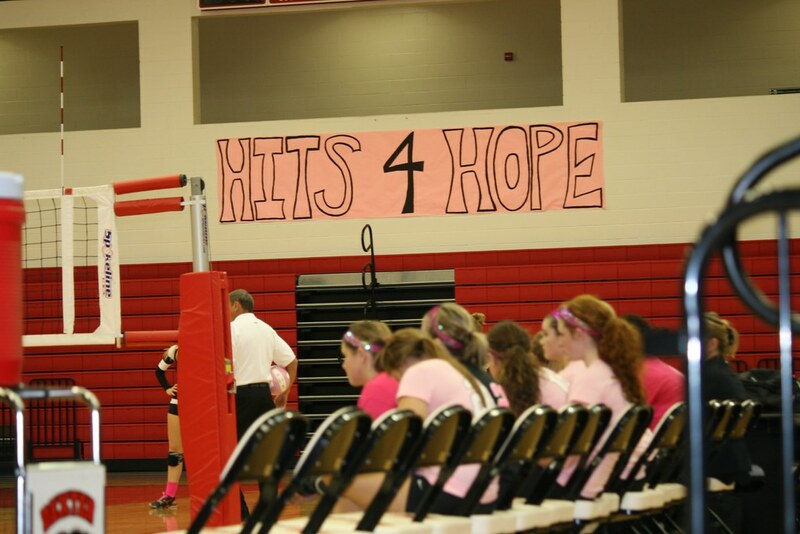 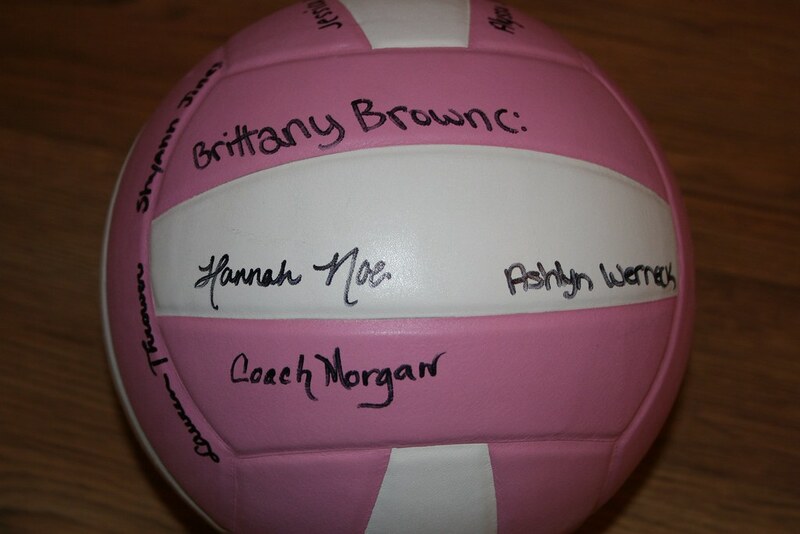 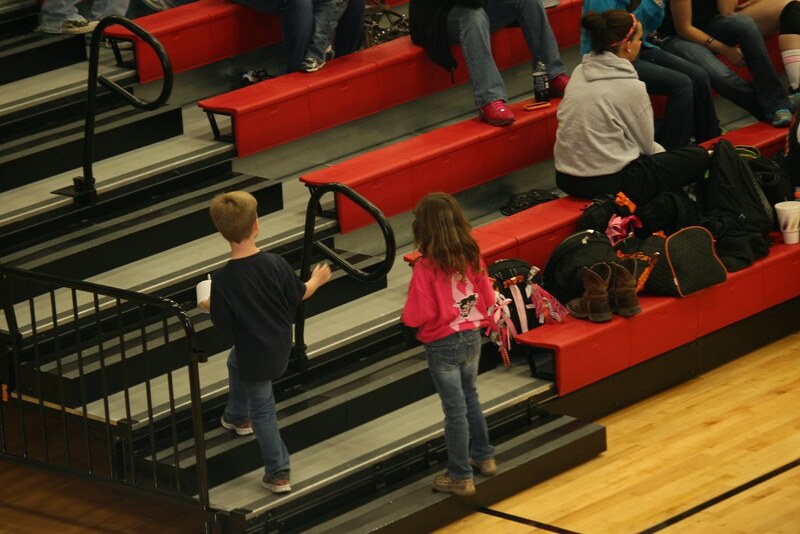 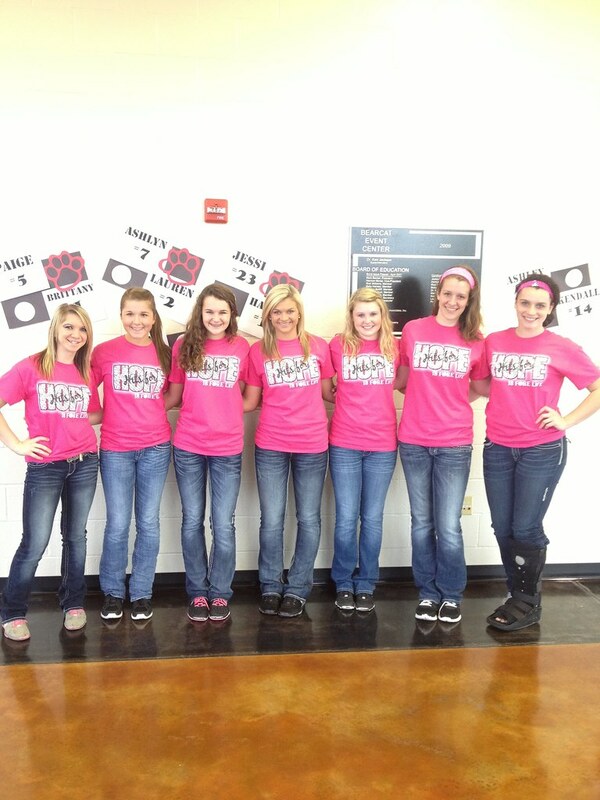 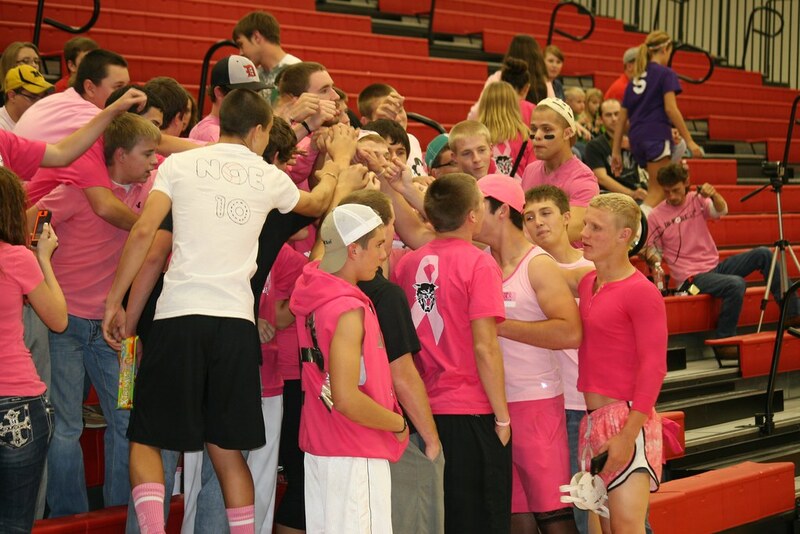 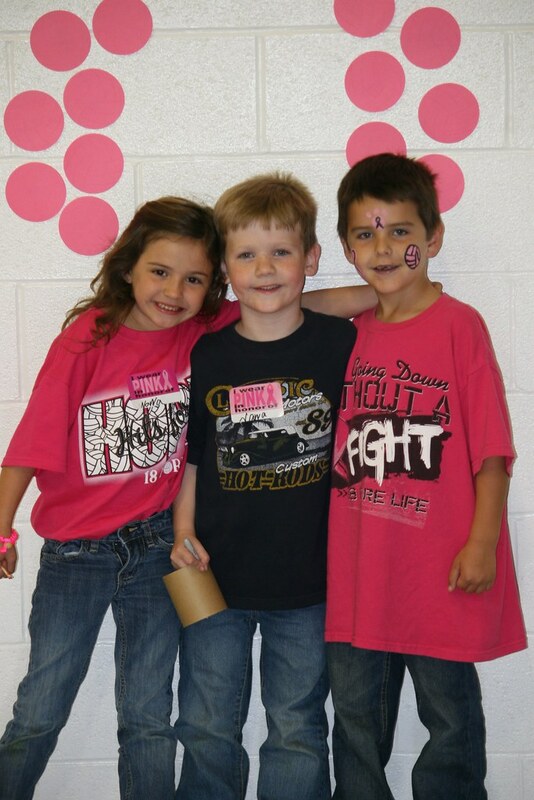 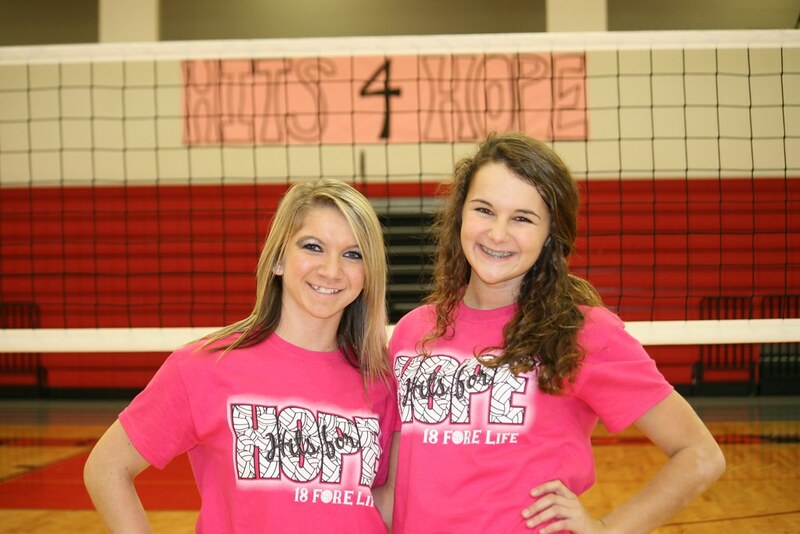 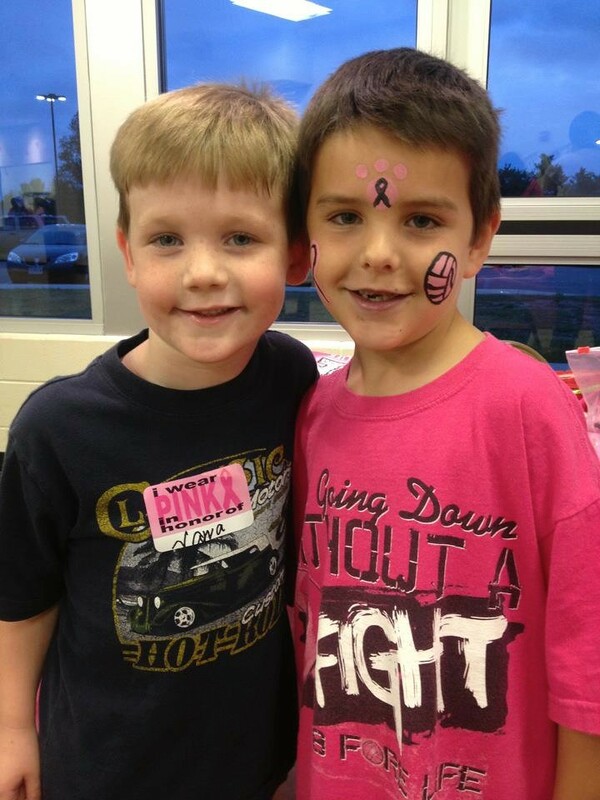 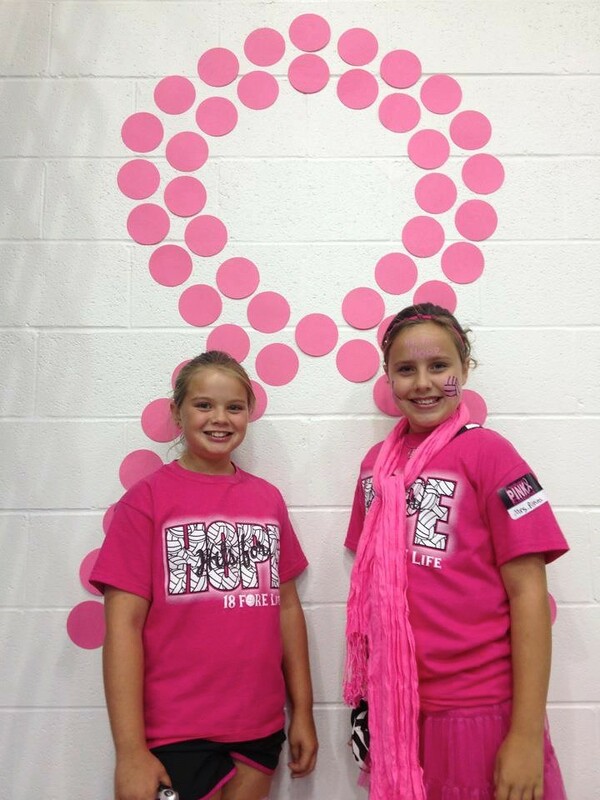 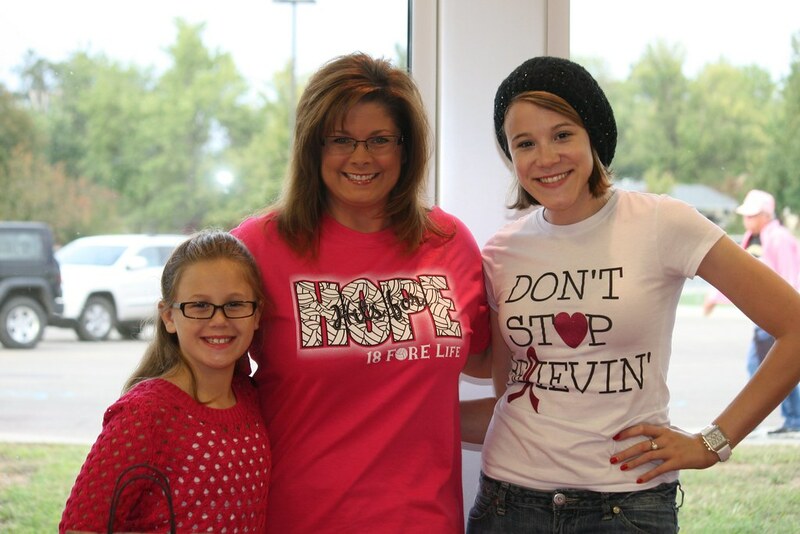 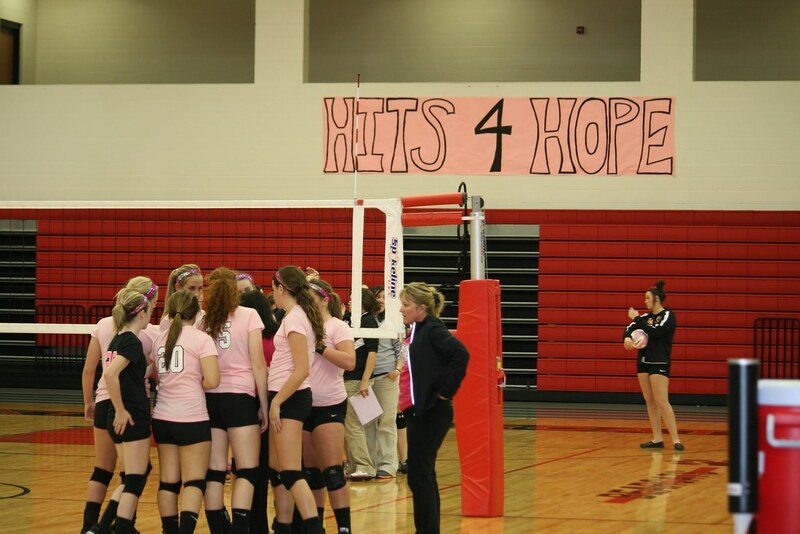 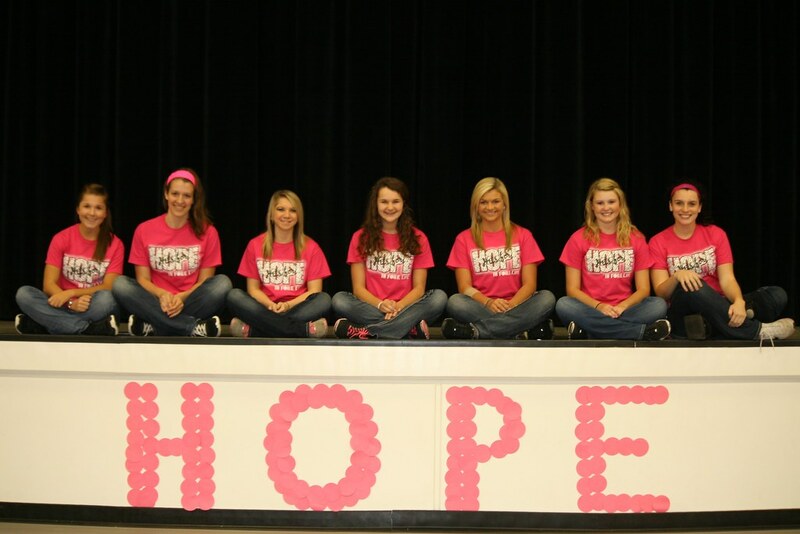 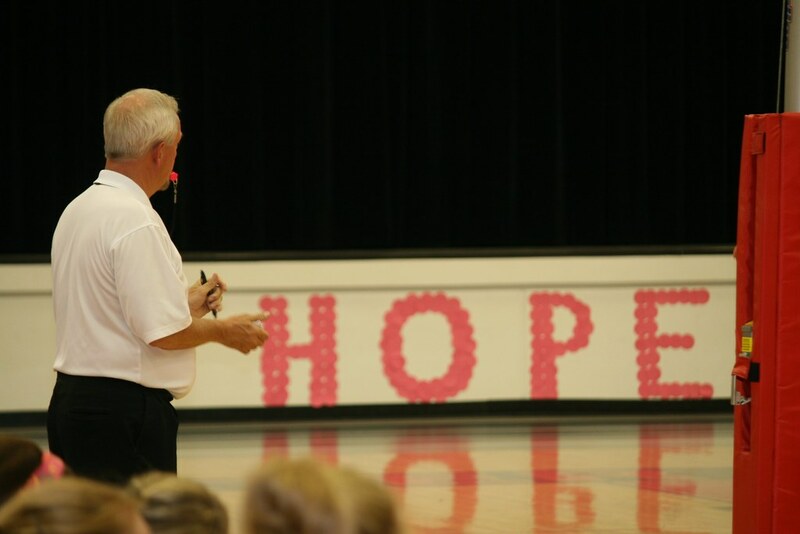 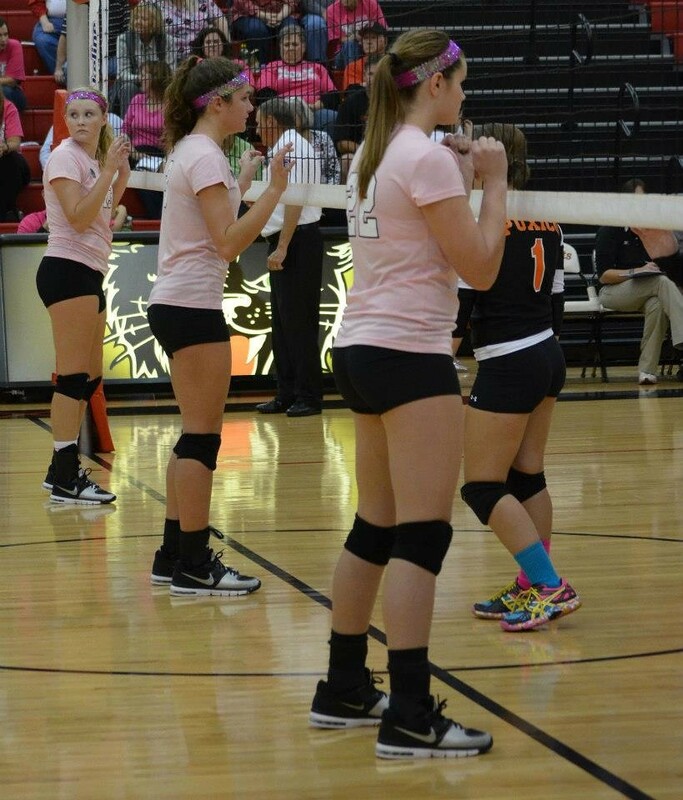 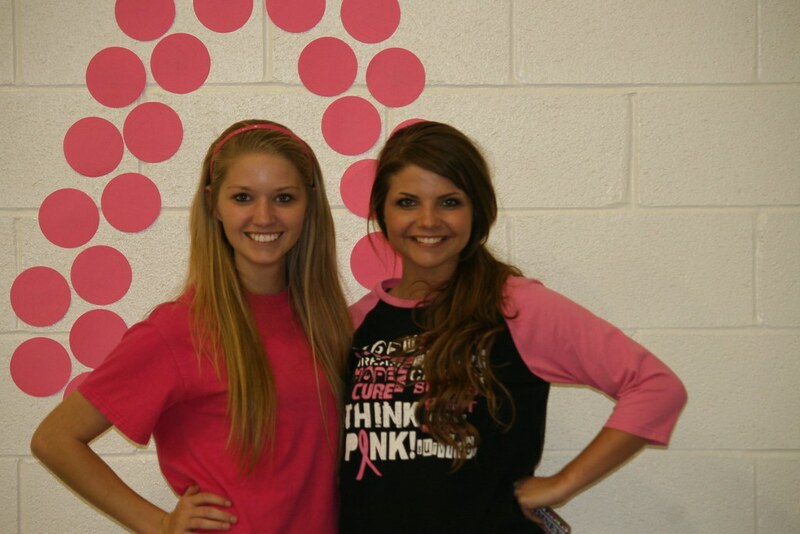 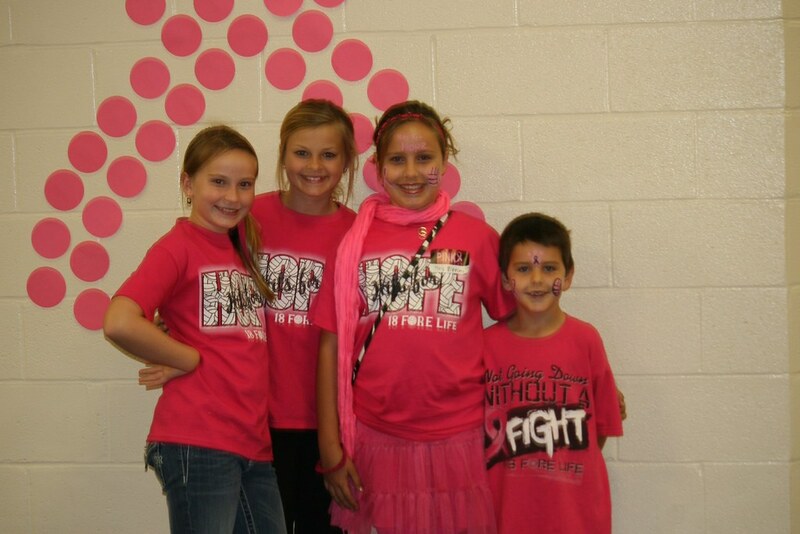 Each PINK volleyball is signed and given to a local cancer fighter as a token of love, hope, and encouragement.